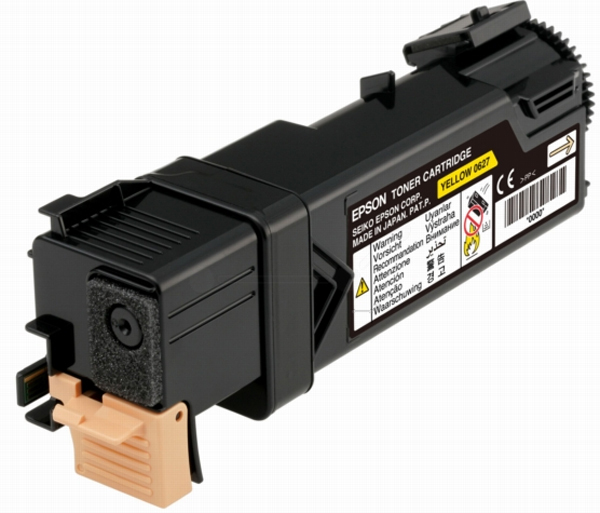 Toner Compatibile Nero per Epson Aculaser M2000DN, M2000DTN, M2000D, M2000DT. 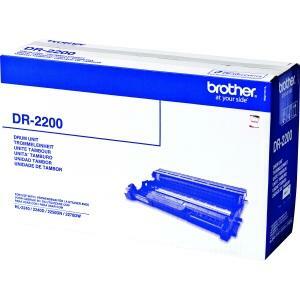 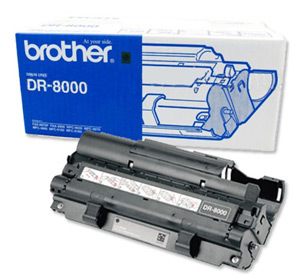 Toner Originale Nero per Epson Aculaser M2000DN, M2000DTN, M2000D, M2000DT. 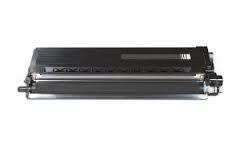 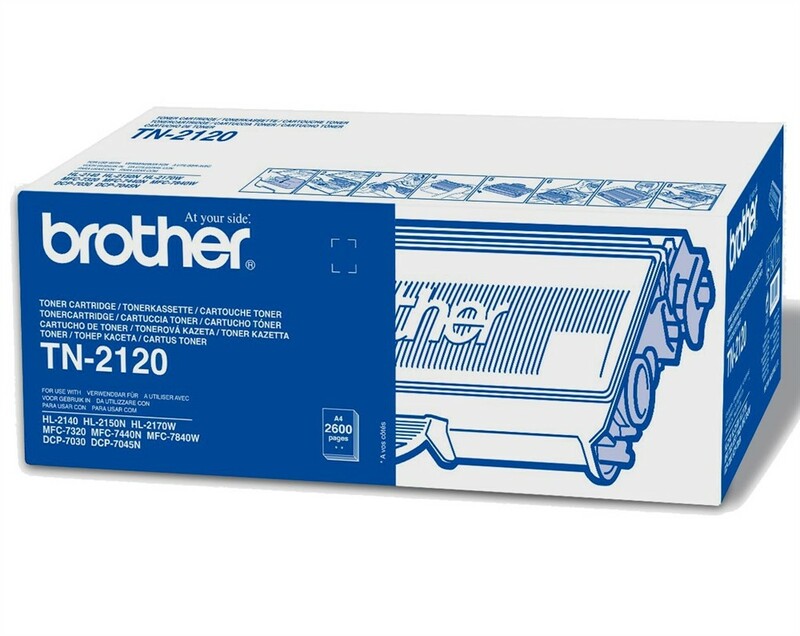 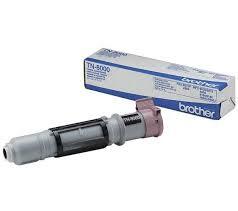 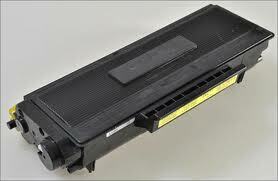 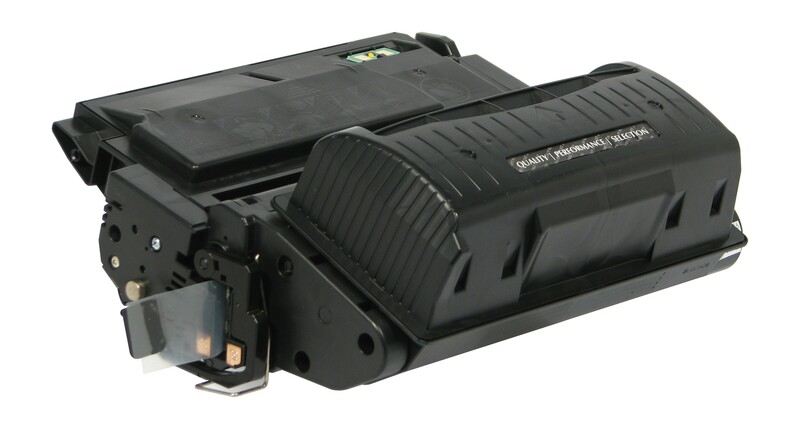 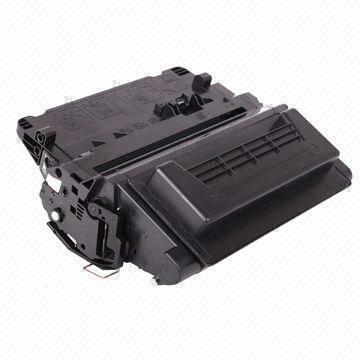 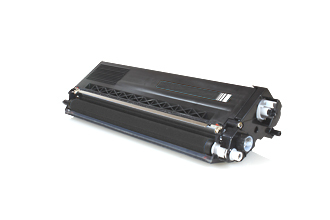 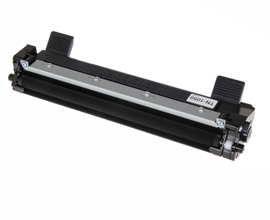 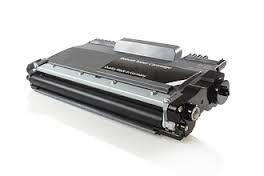 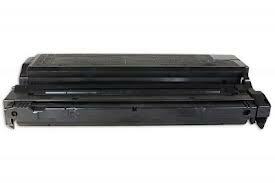 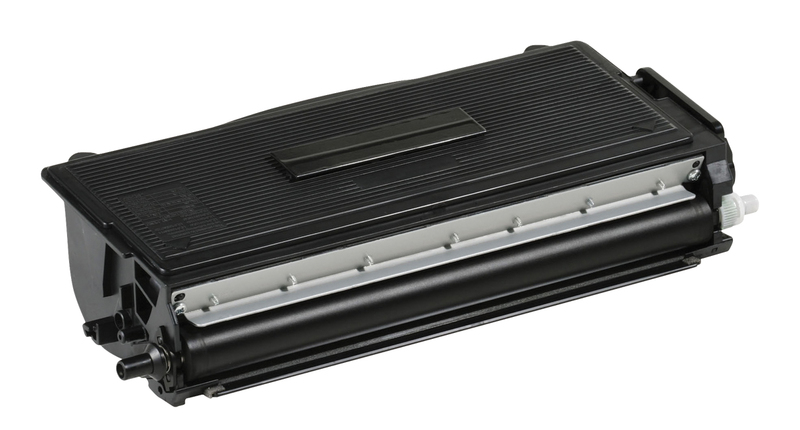 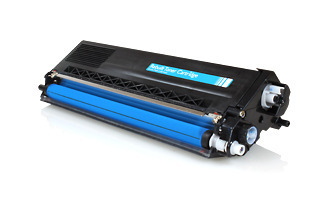 Toner Originale Nero per Epson Aculaser M1200. 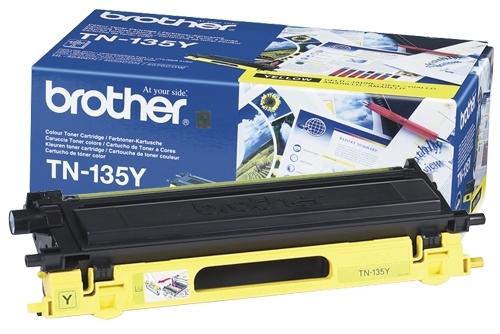 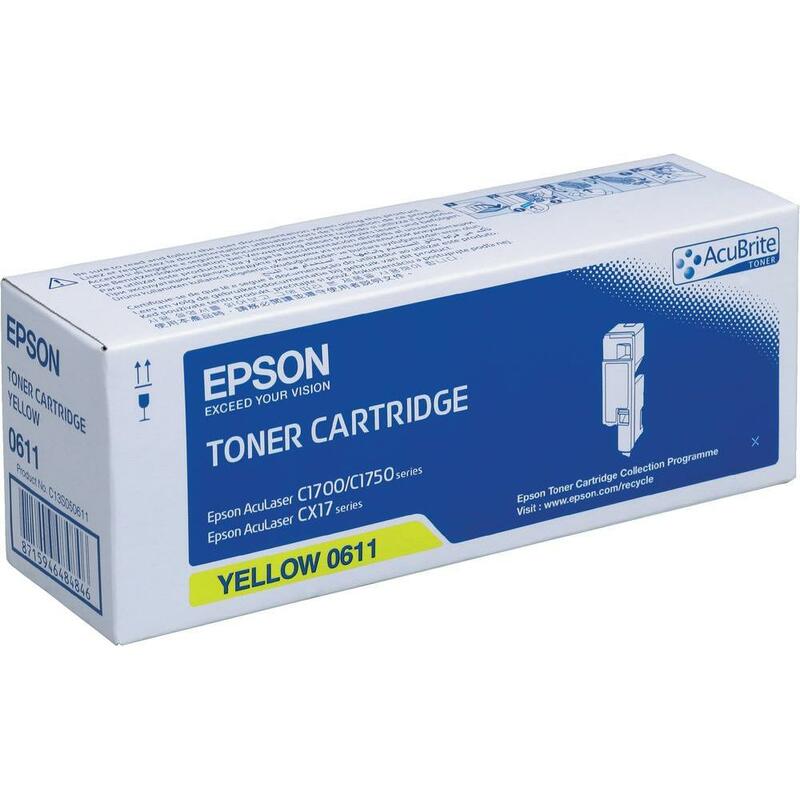 Toner Compatibile Giallo per Epson Aculaser CX16, CX16NF, CX16DNF, CX16DTNF, C1600. 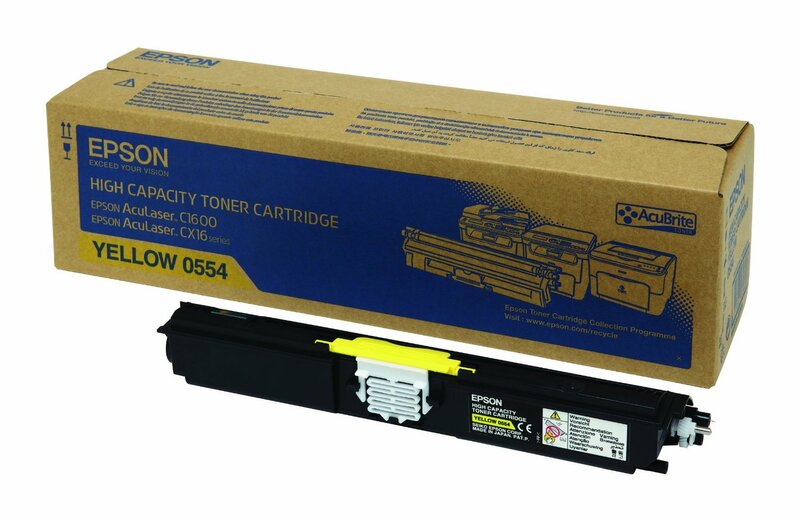 Toner Originale Giallo per Epson Aculaser CX16, CX16NF, CX16DNF, CX16DTNF, C1600. 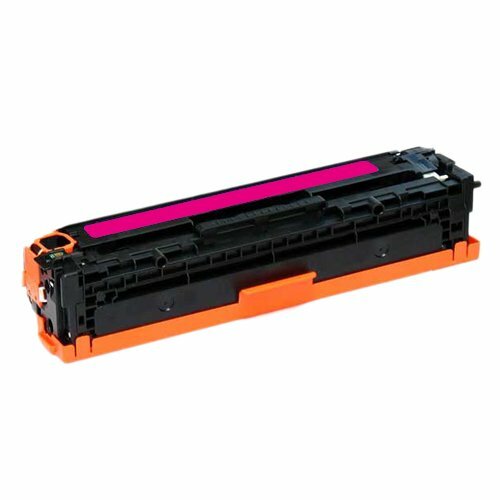 Toner Compatibile Magenta per Epson Aculaser CX16, CX16NF, CX16DNF, CX16DTNF, C1600. 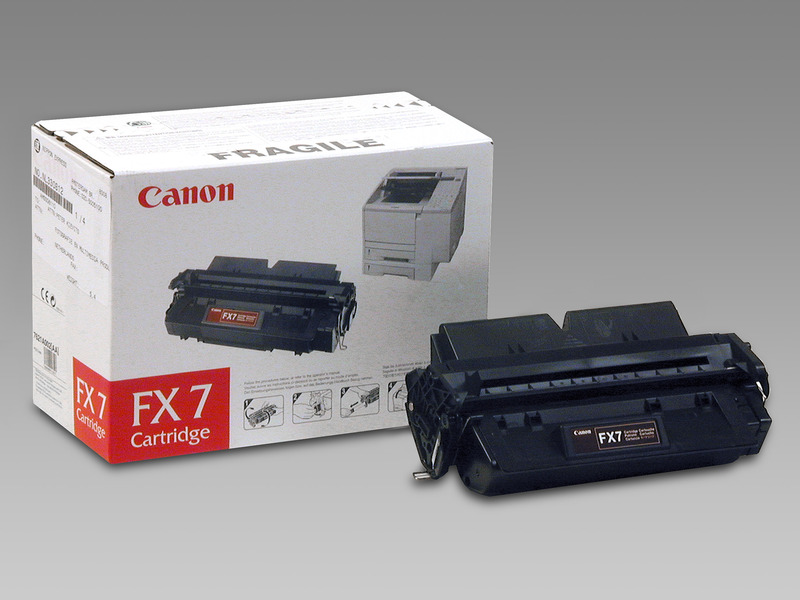 Toner Originale Magenta per Epson Aculaser CX16, CX16NF, CX16DNF, CX16DTNF, C1600. 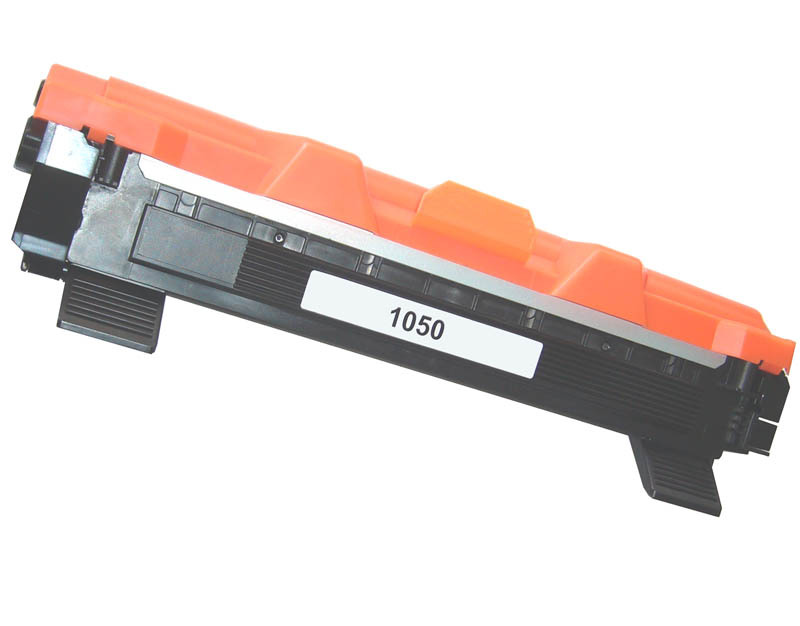 Toner Compatibile Ciano per Epson Aculaser CX16, CX16NF, CX16DNF, CX16DTNF, C1600. 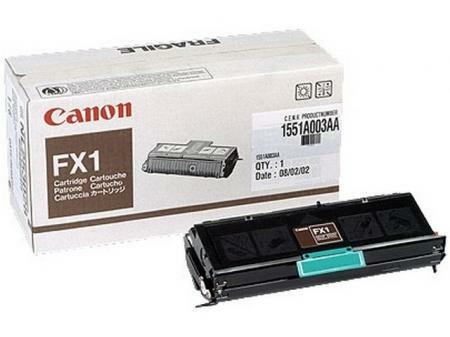 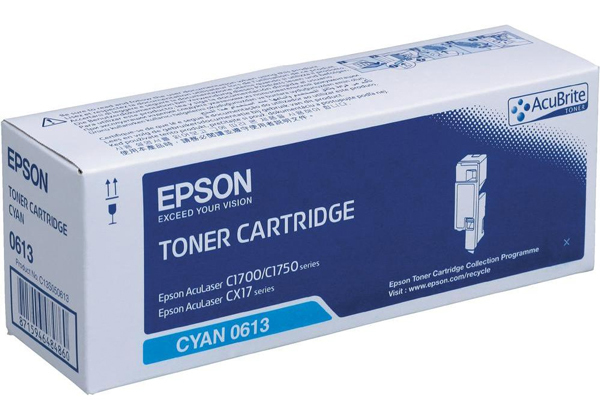 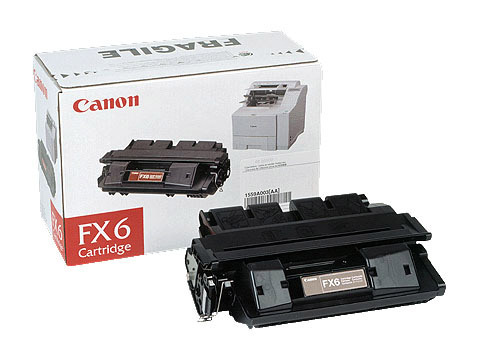 Toner Originale Ciano per Epson Aculaser CX16, CX16NF, CX16DNF, CX16DTNF, C1600. 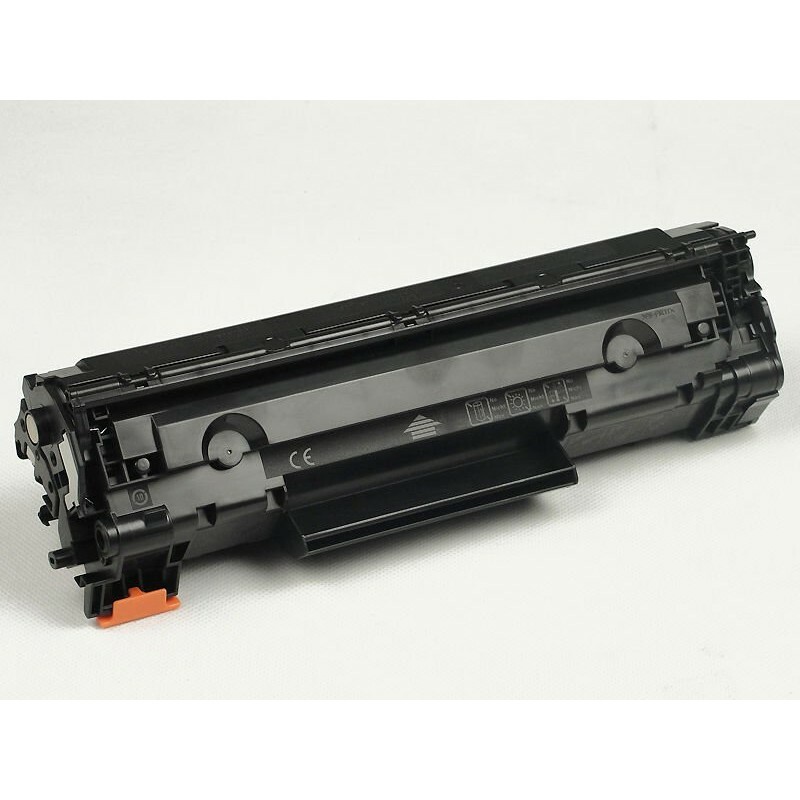 Toner Compatibile Nero per Epson Aculaser CX16, CX16NF, CX16DNF, CX16DTNF, C1600. 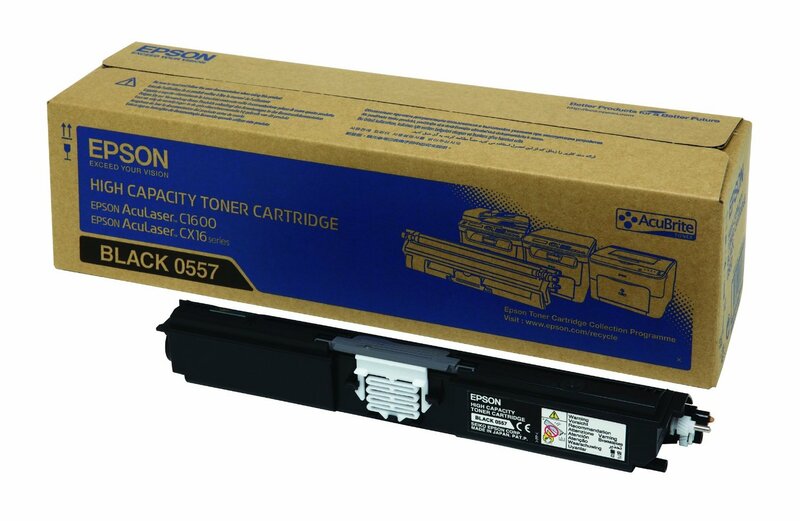 Toner Originale Nero per Epson Aculaser CX16, CX16NF, CX16DNF, CX16DTNF, C1600. 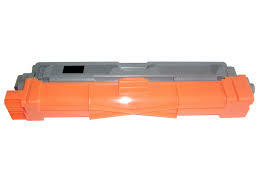 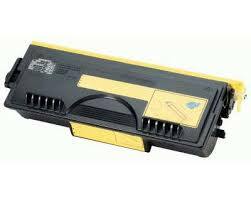 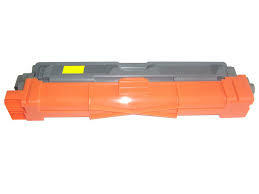 Toner Compatibile Giallo per Epson Aculaser C1700, C1750N, C1750W. 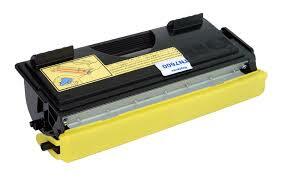 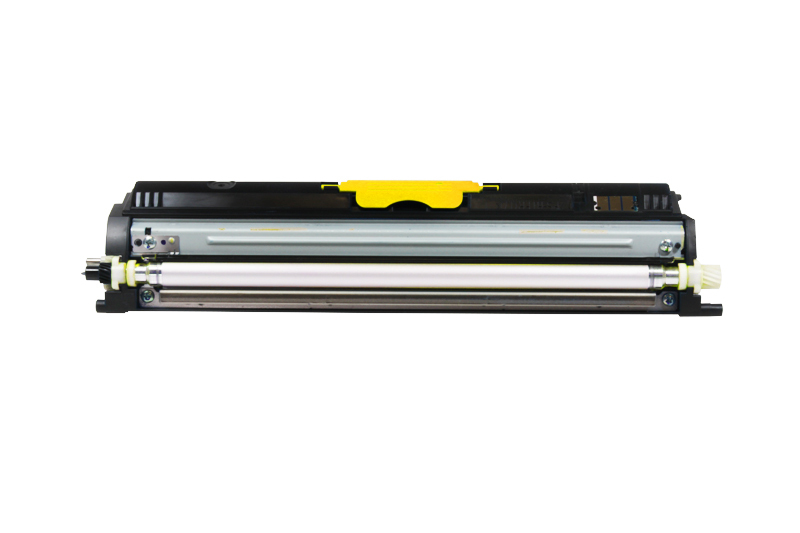 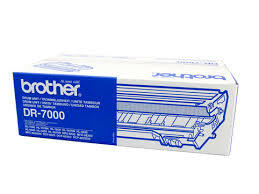 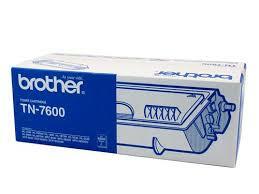 Toner Originale Giallo per Epson Aculaser C1700, C1750N, C1750W. 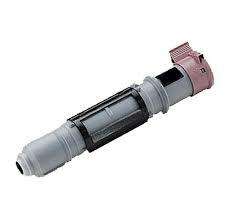 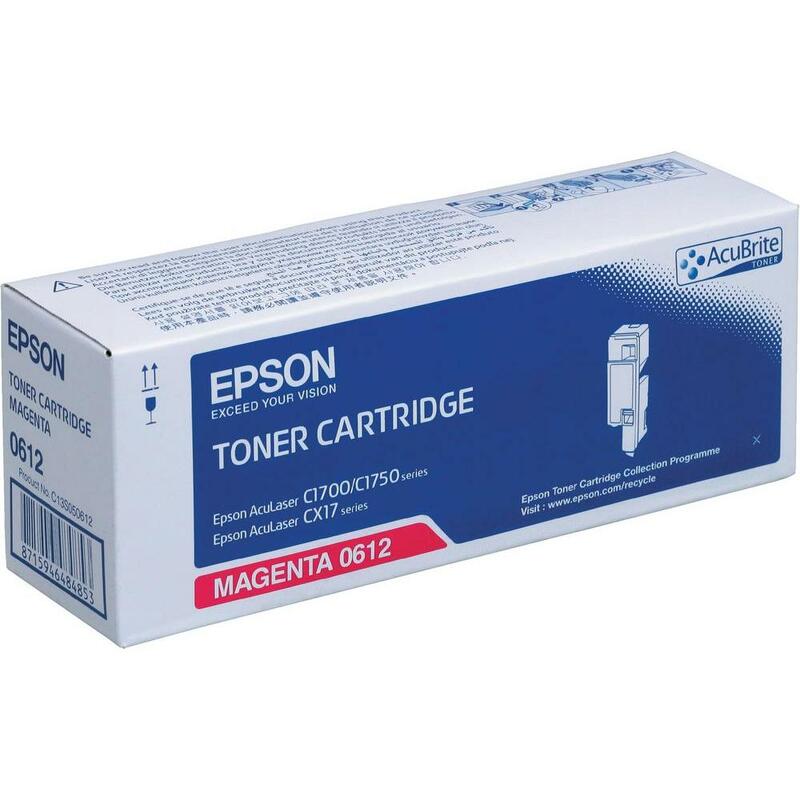 Toner Compatibile Magenta per Epson Aculaser C1700, C1750N, C1750W. 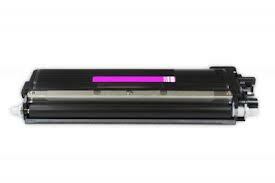 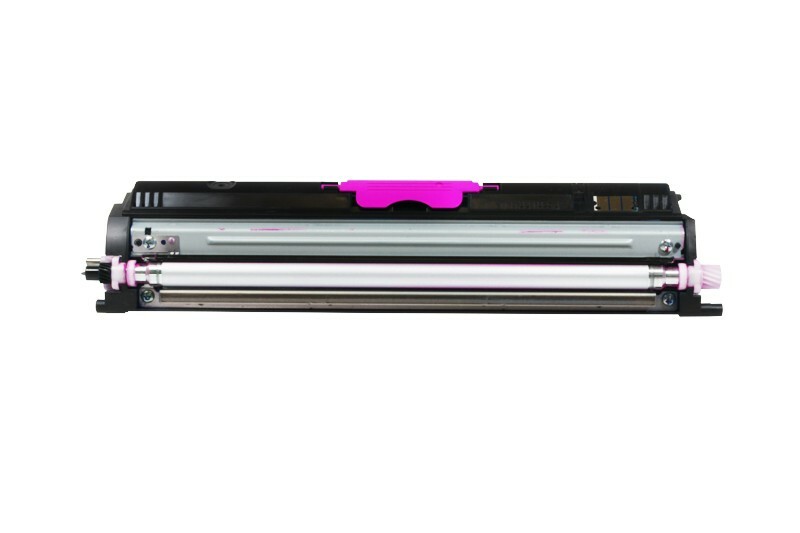 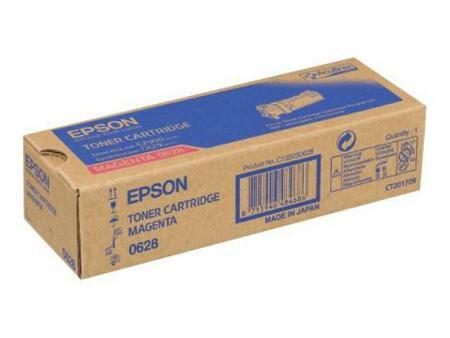 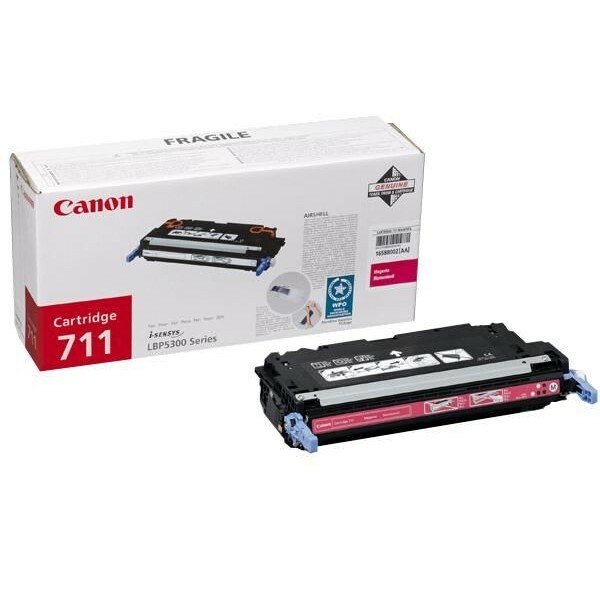 Toner Originale Magenta per Epson Aculaser C1700, C1750N, C1750W. 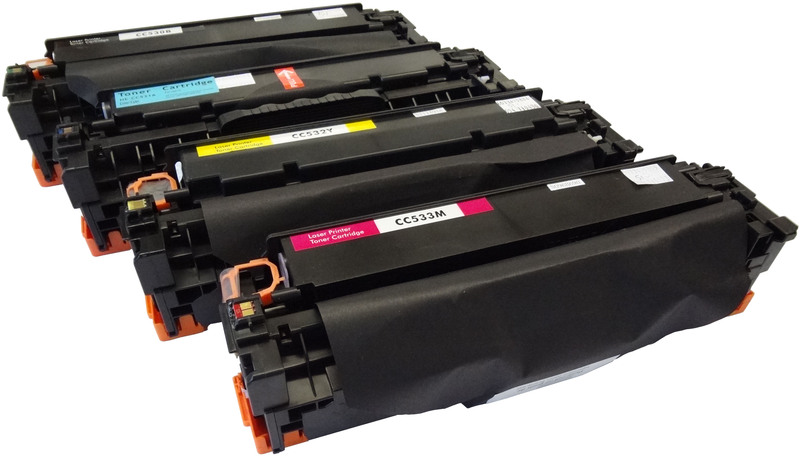 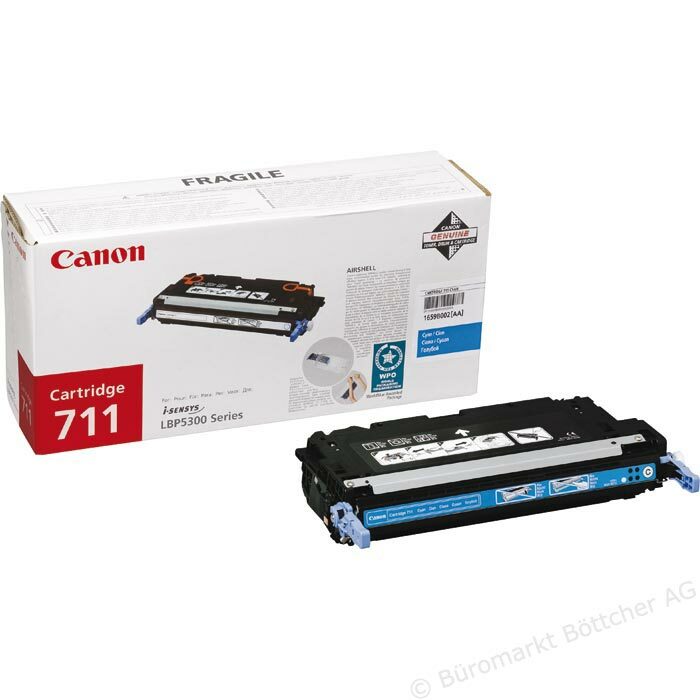 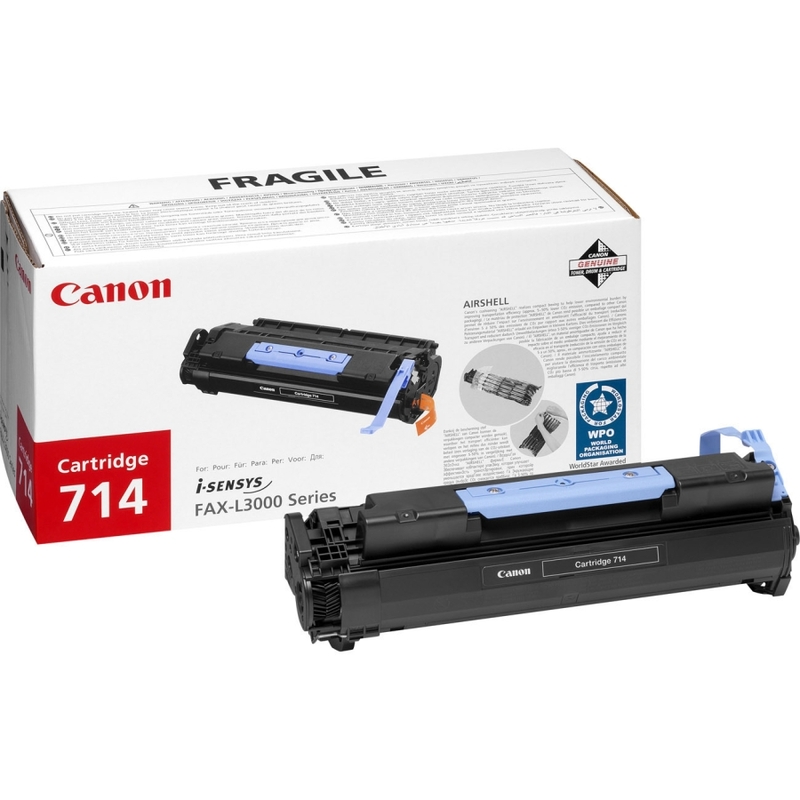 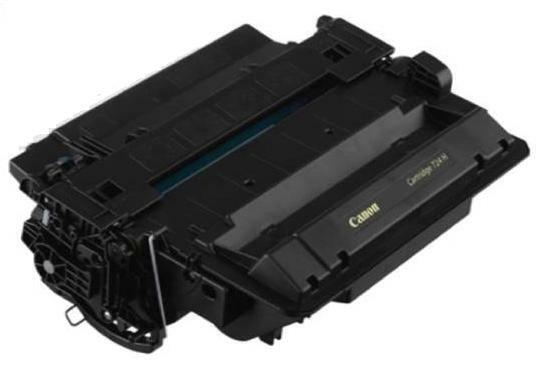 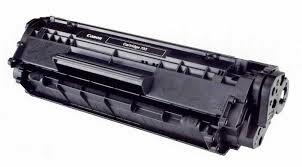 Toner Compatibile Ciano per Epson Aculaser C1700, C1750N, C1750W. 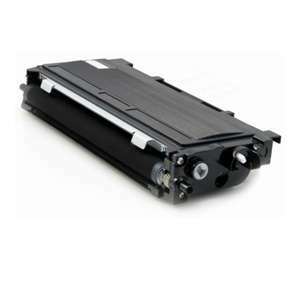 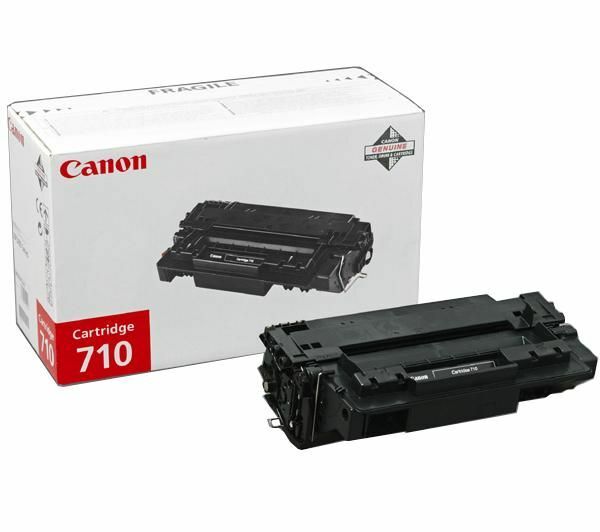 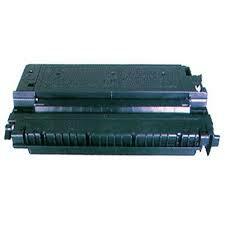 Toner Originale Ciano per Epson Aculaser C1700, C1750N, C1750W. 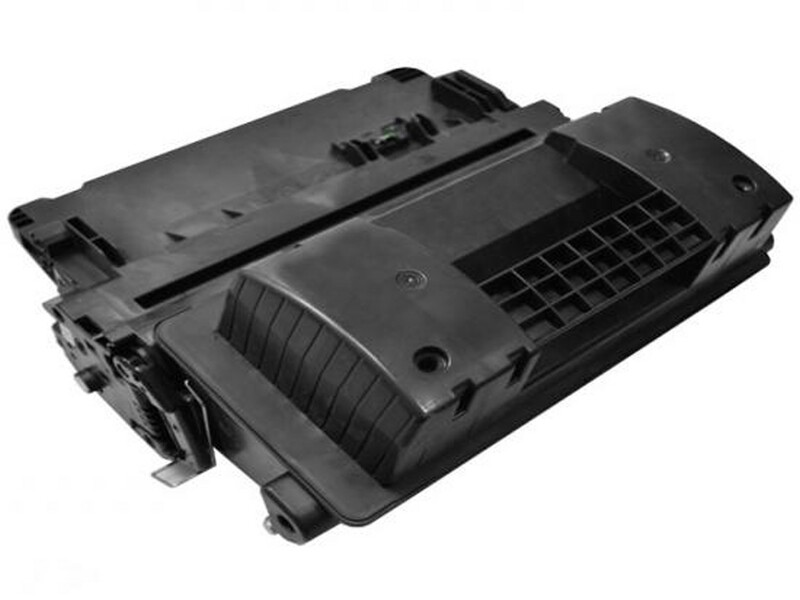 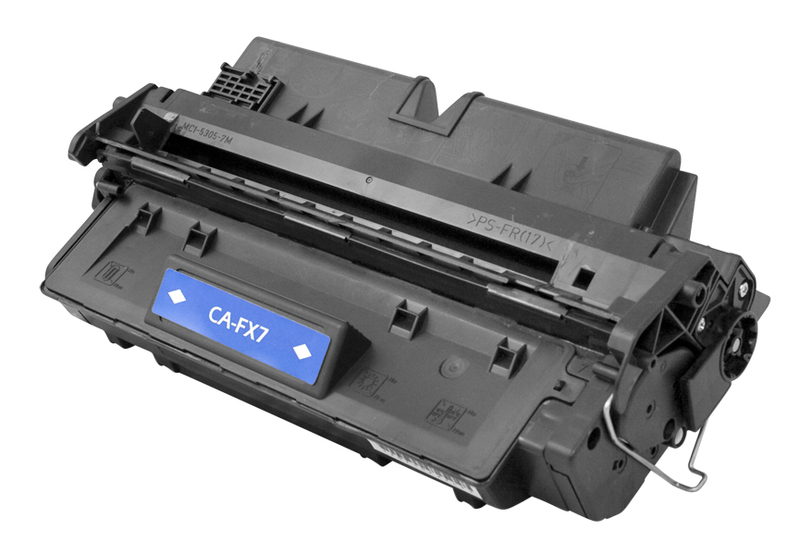 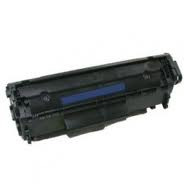 Toner Compatibile Nero per Epson Aculaser C1700, C1750N, C1750W. 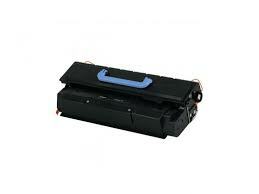 Toner Originale Nero per Epson Aculaser C1700, C1750N, C1750W. 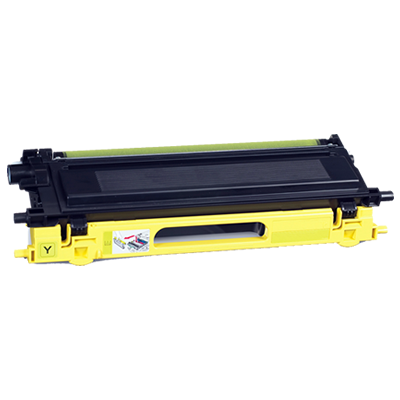 Toner Compatibile Giallo per Epson Aculaser C2900N, C2900DN, CX29NF, CX29DNF. 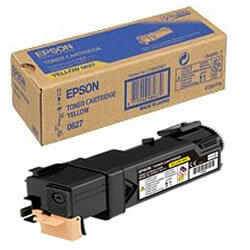 Toner Originale Giallo per Epson Aculaser C2900N, C2900DN, CX29NF, CX29DNF. 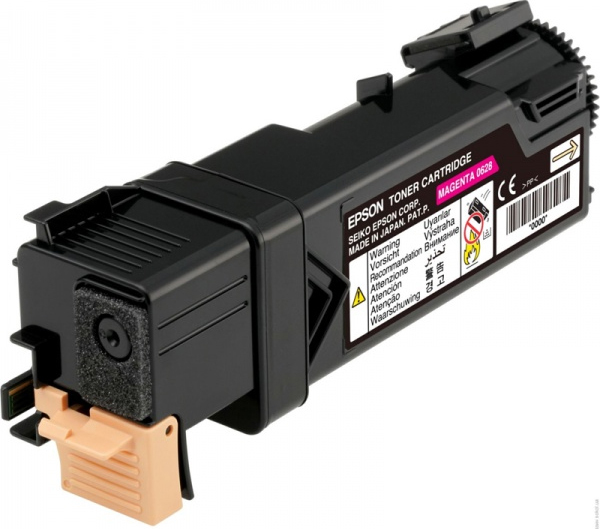 Toner Compatibile Magenta per Epson Aculaser C2900N, C2900DN, CX29NF, CX29DNF. 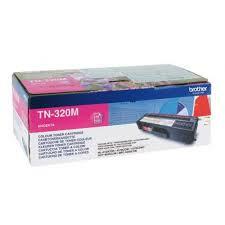 Toner Originale Magenta per Epson Aculaser C2900N, C2900DN, CX29NF, CX29DNF. 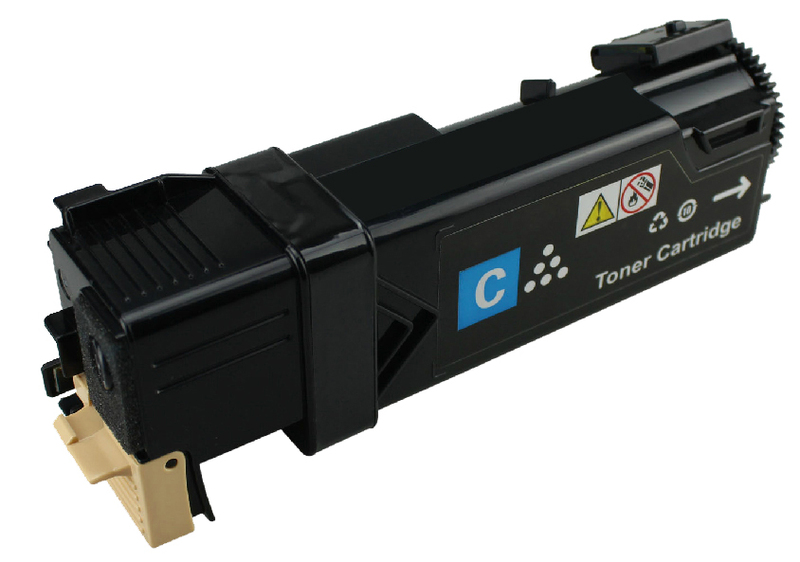 Toner Compatibile Ciano per Epson Aculaser C2900N, C2900DN, CX29NF, CX29DNF. 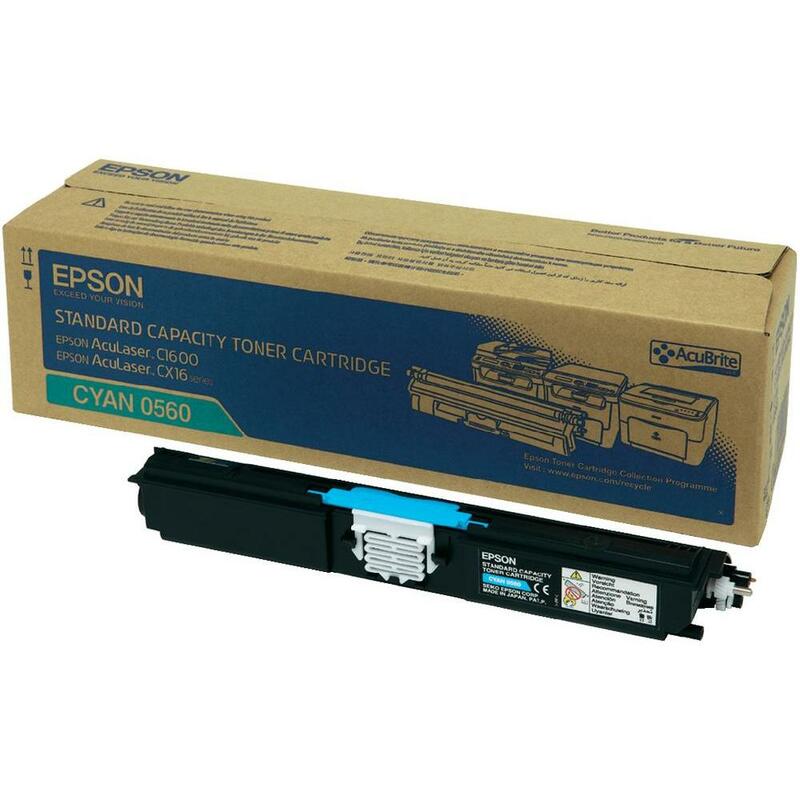 Toner Originale Ciano per Epson Aculaser C2900N, C2900DN, CX29NF, CX29DNF. 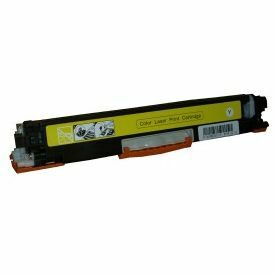 Toner Compatibile Nero per Epson Aculaser C2900N, C2900DN, CX29NF, CX29DNF. 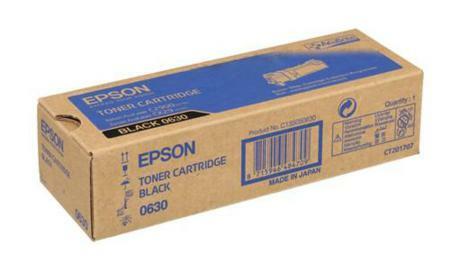 Toner Originale Nero per Epson Aculaser C2900N, C2900DN, CX29NF, CX29DNF. 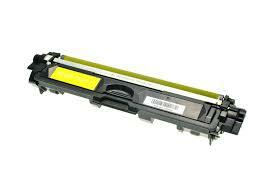 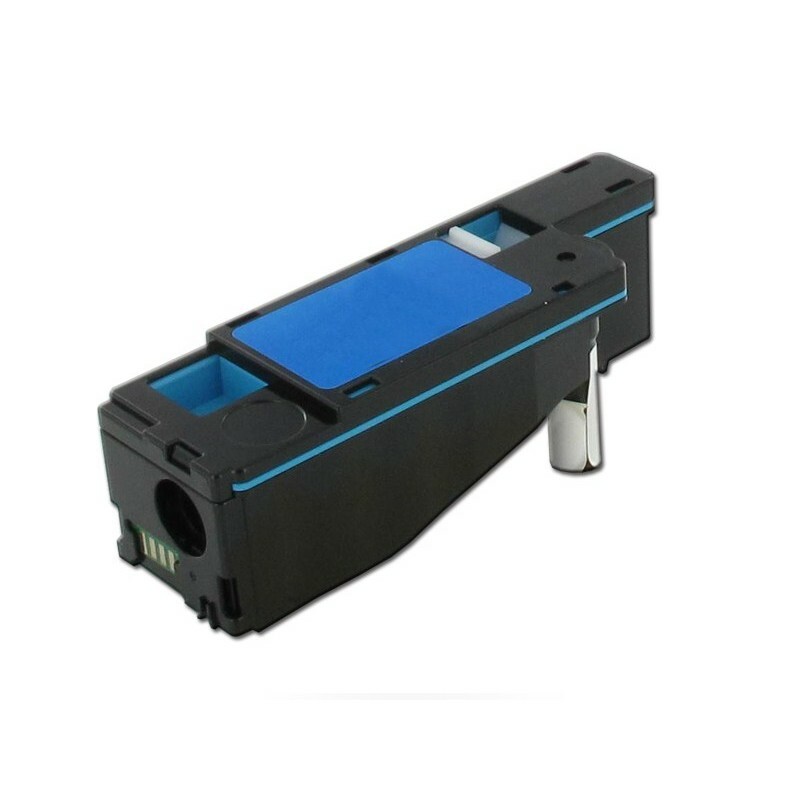 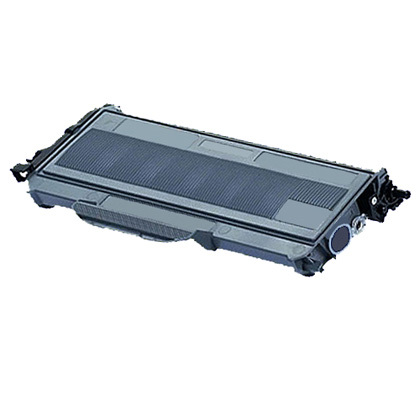 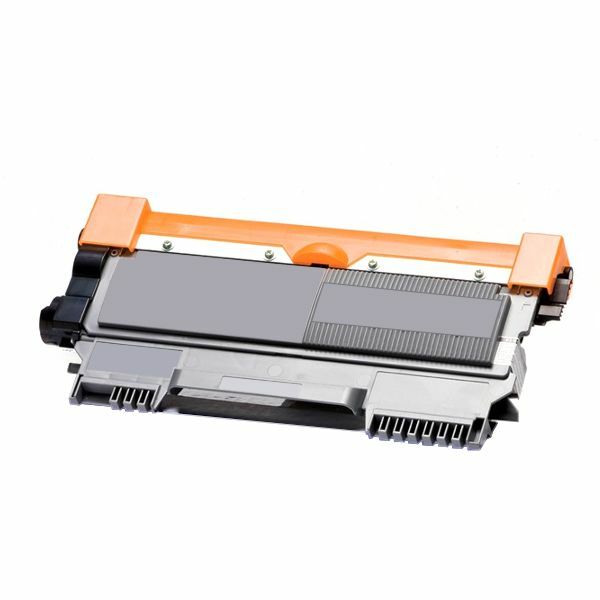 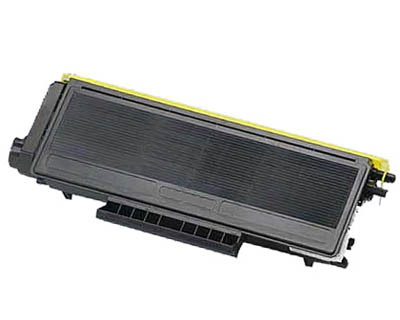 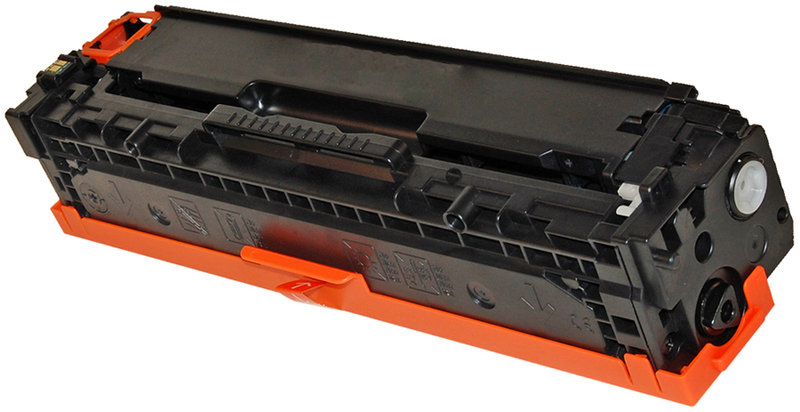 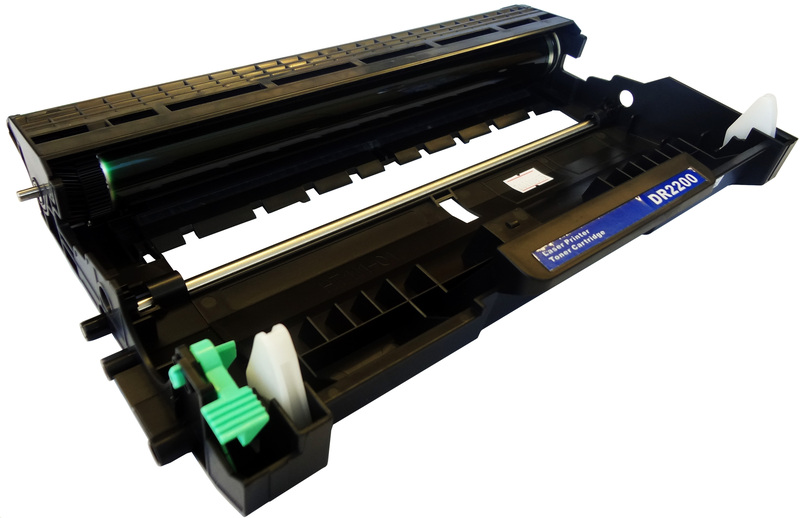 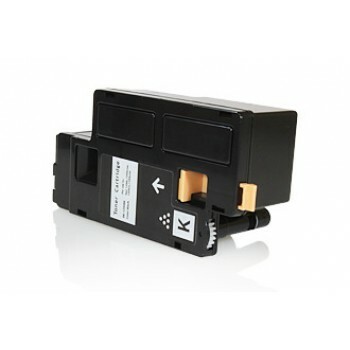 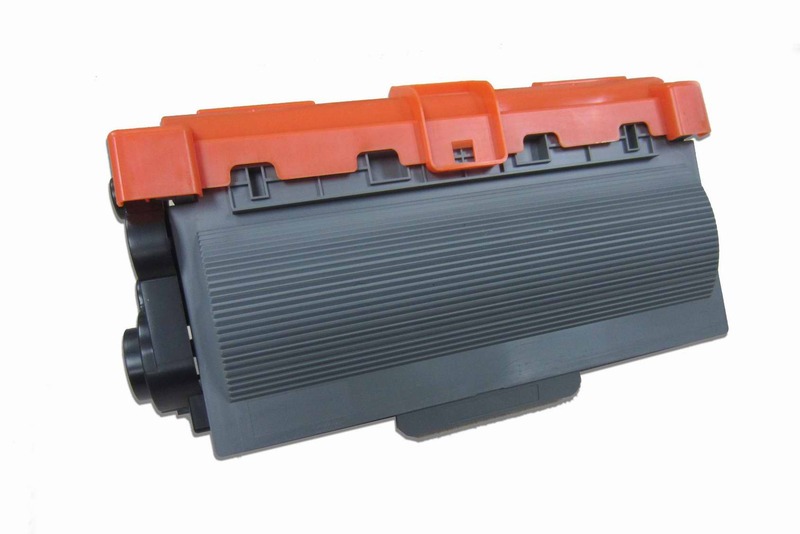 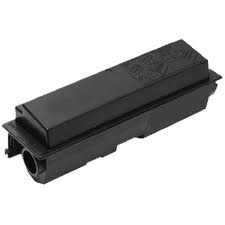 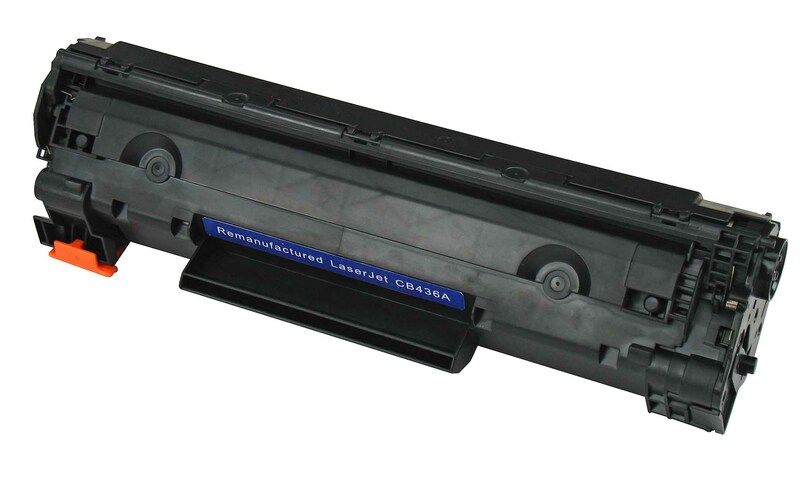 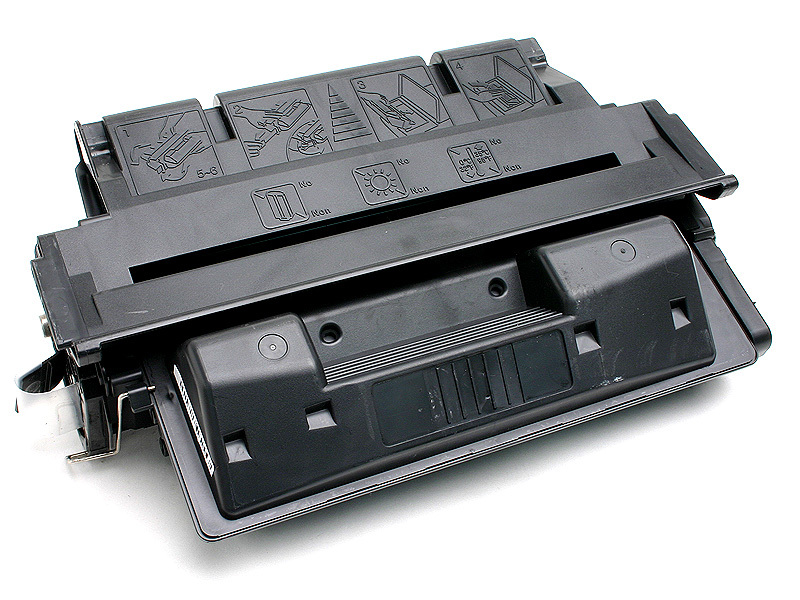 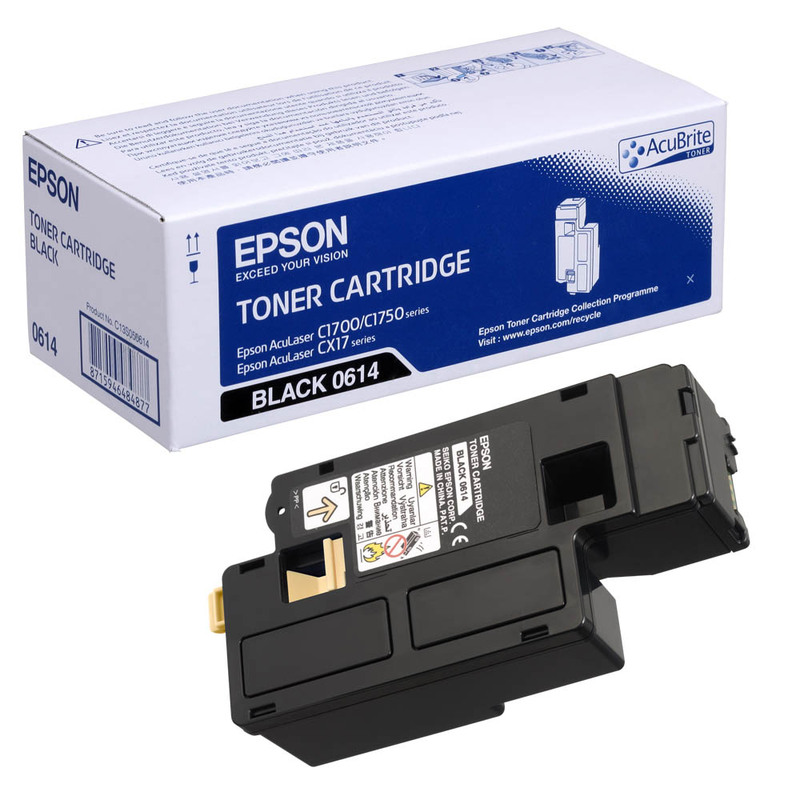 Toner Compatibile Nero per Epson Aculaser M1400, MX14, MX14NF. 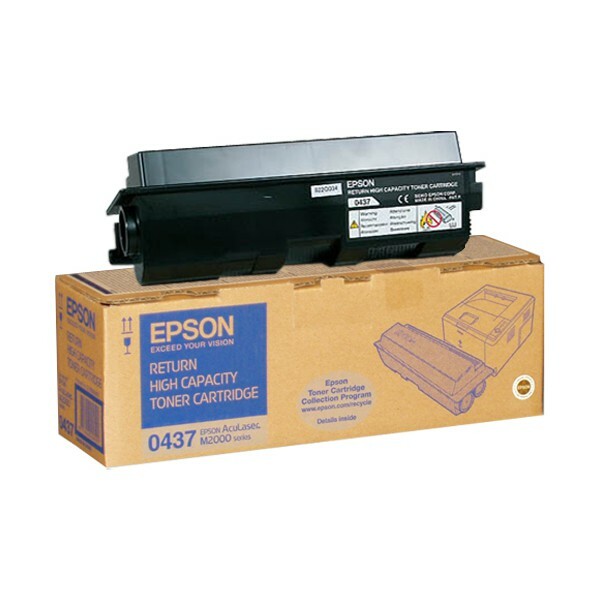 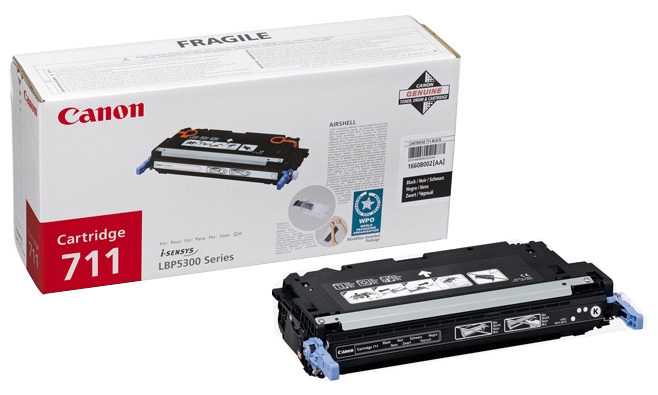 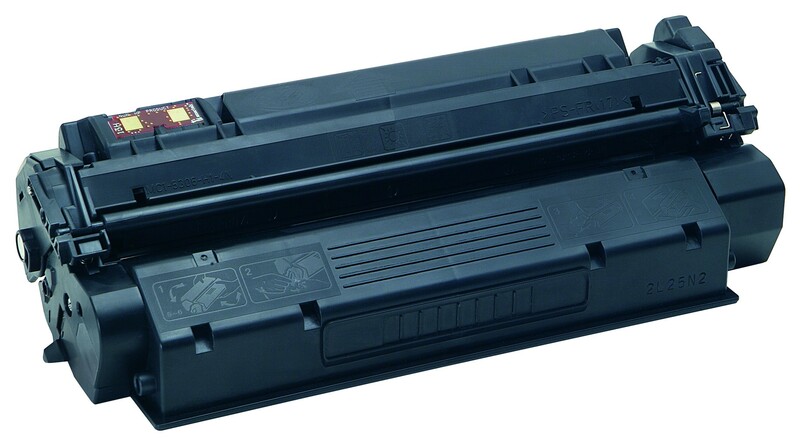 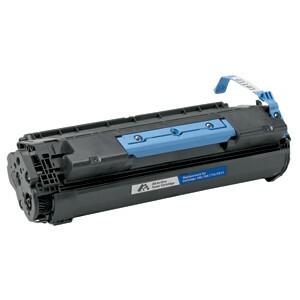 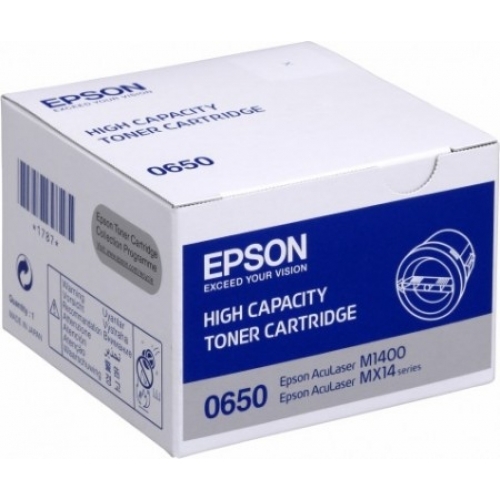 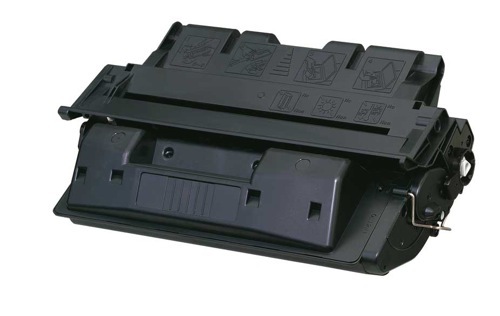 Toner Originale Nero per Epson Aculaser M1400, MX14, MX14NF. 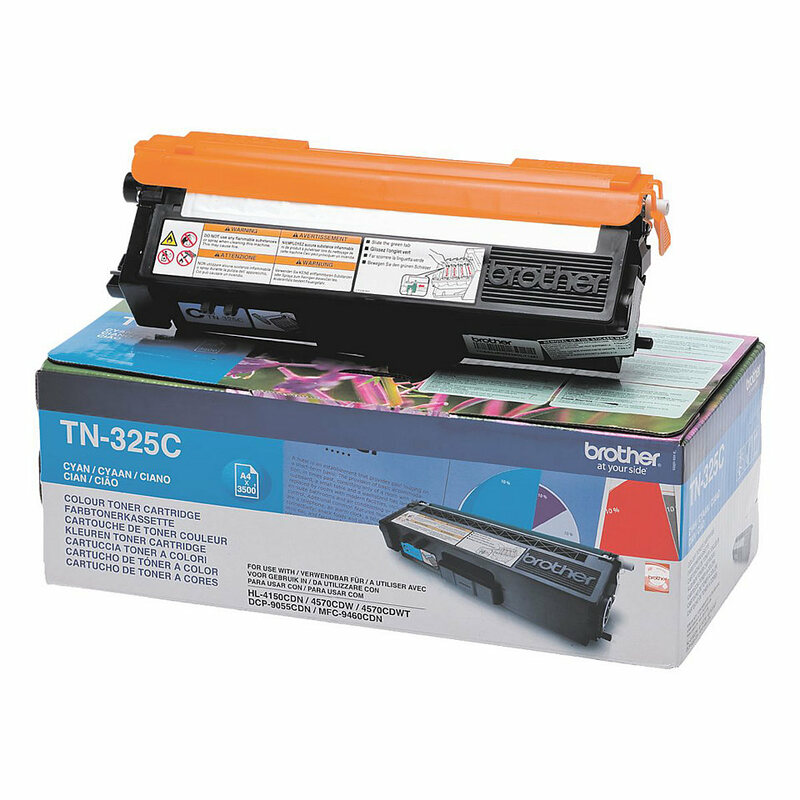 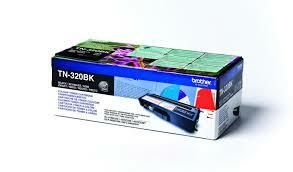 Toner Compatibile Nero per Epson Epl N3000, N3000D, N3000DTS. 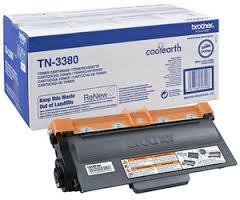 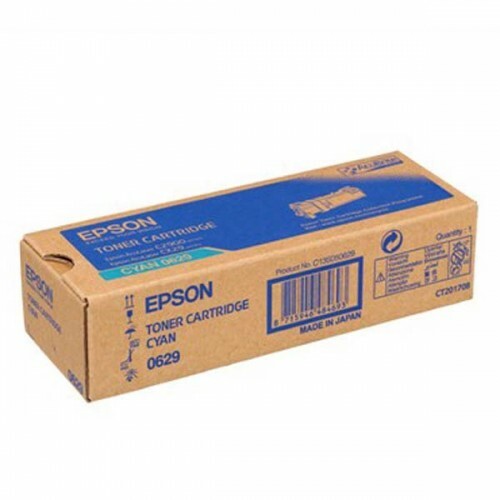 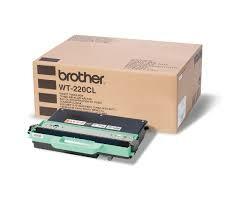 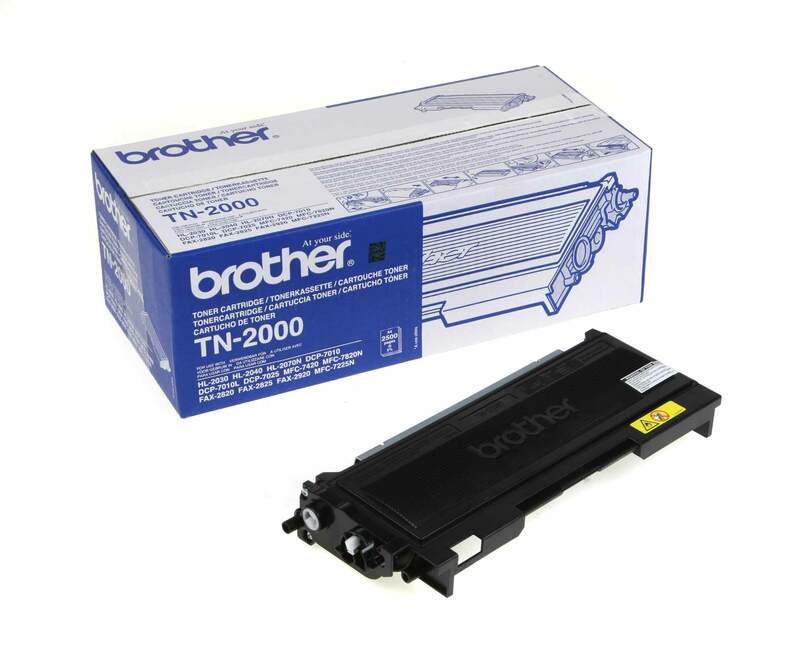 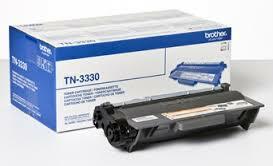 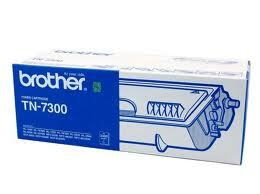 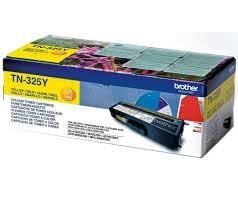 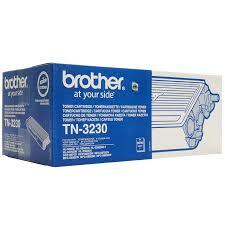 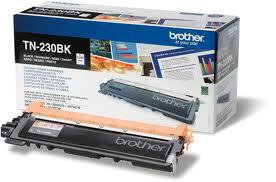 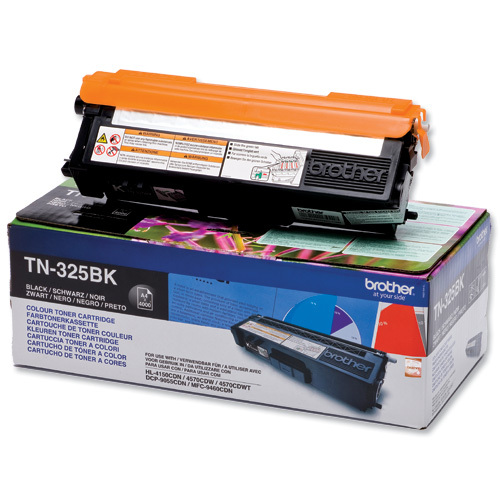 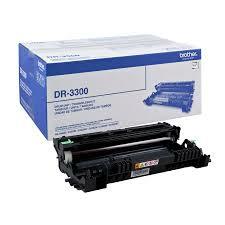 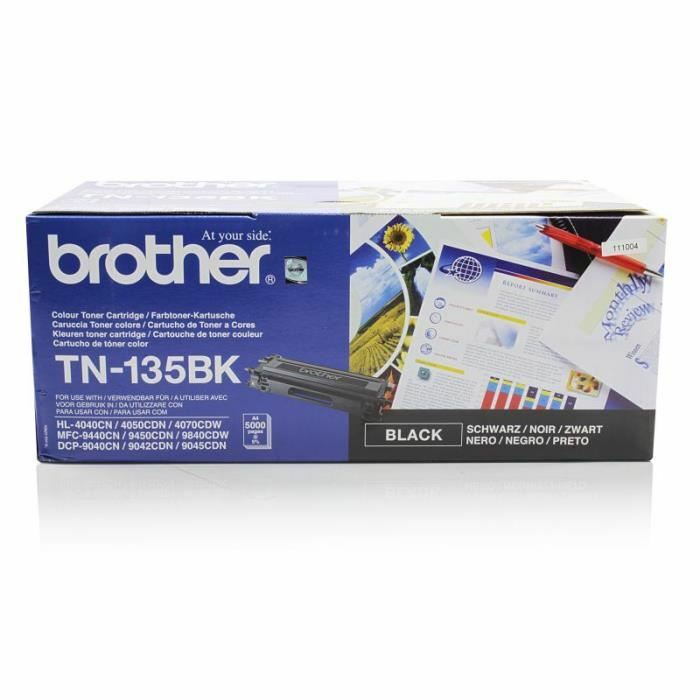 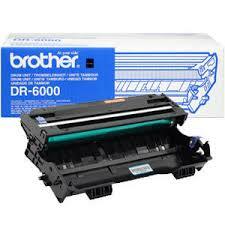 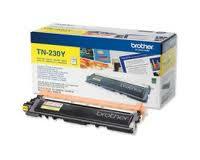 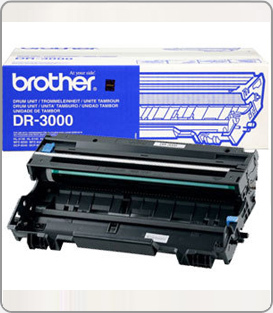 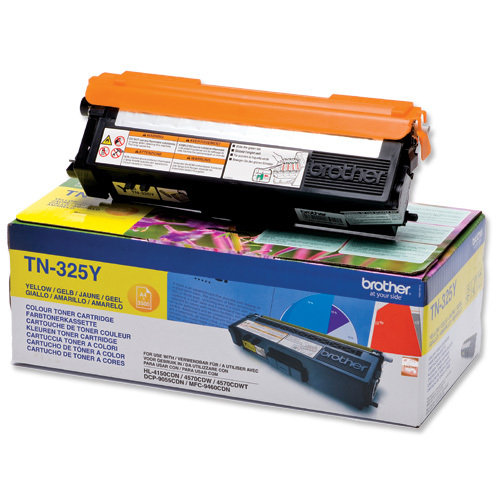 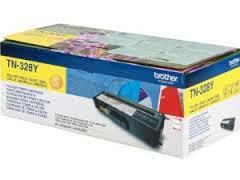 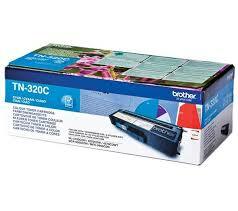 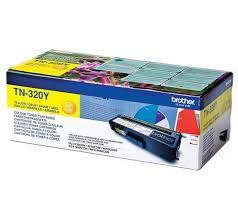 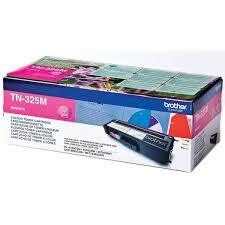 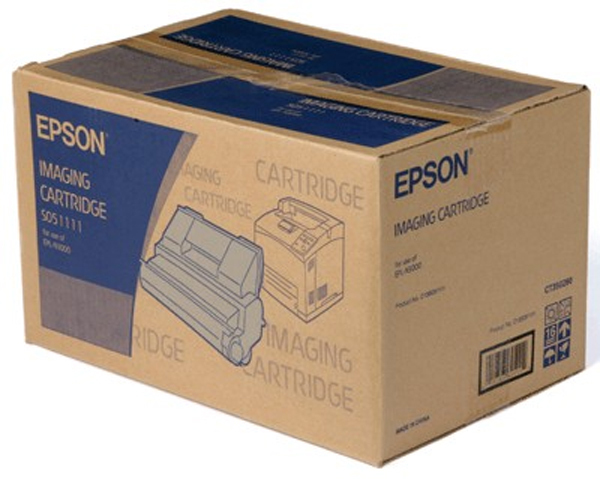 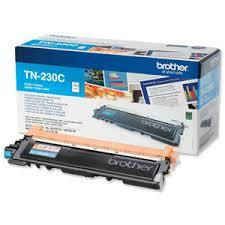 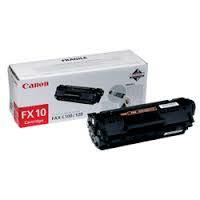 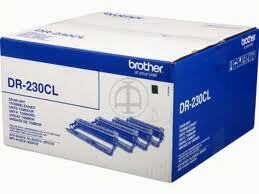 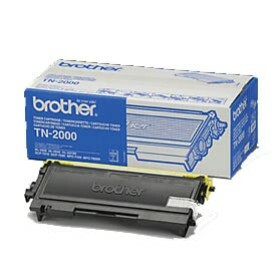 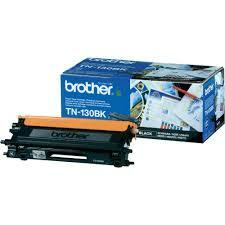 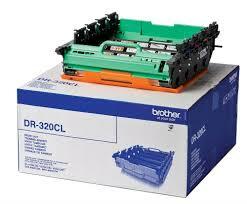 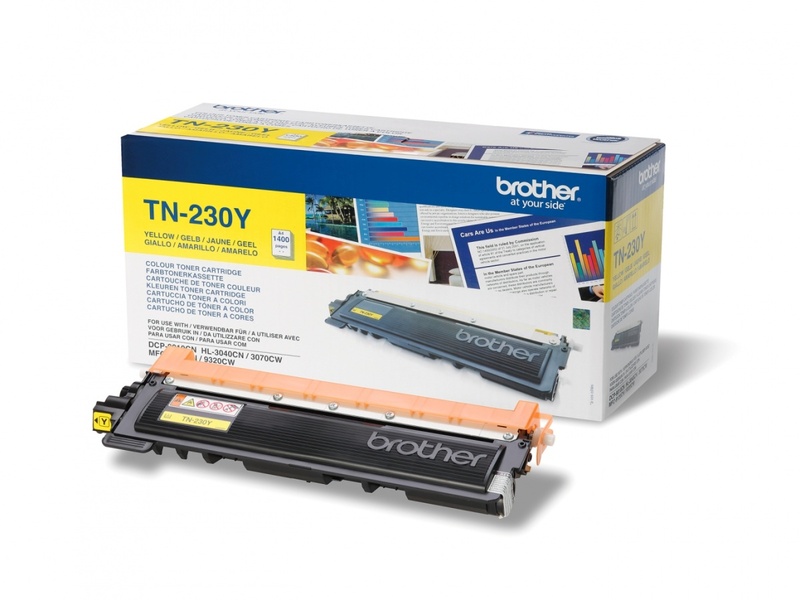 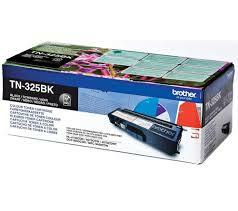 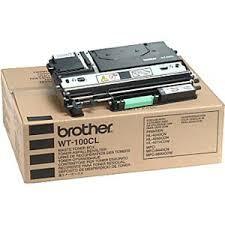 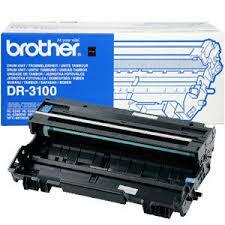 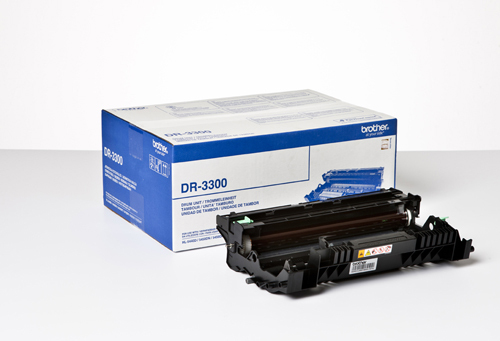 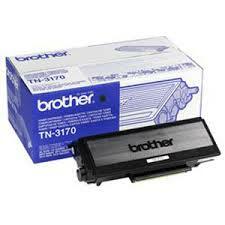 Toner Originale Nero per Epson Epl N3000, N3000D, N3000DTS. 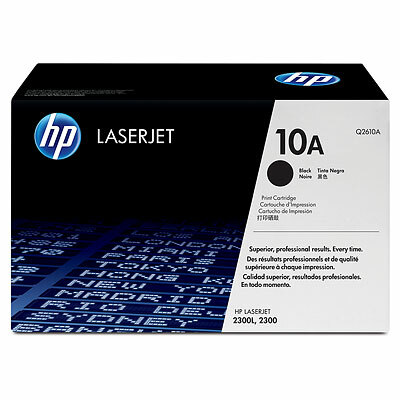 Toner Compatibile Nero per HP Laserjet 1100/1100A/3200. 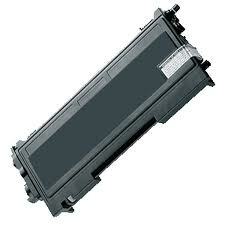 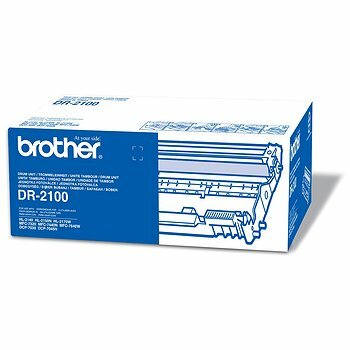 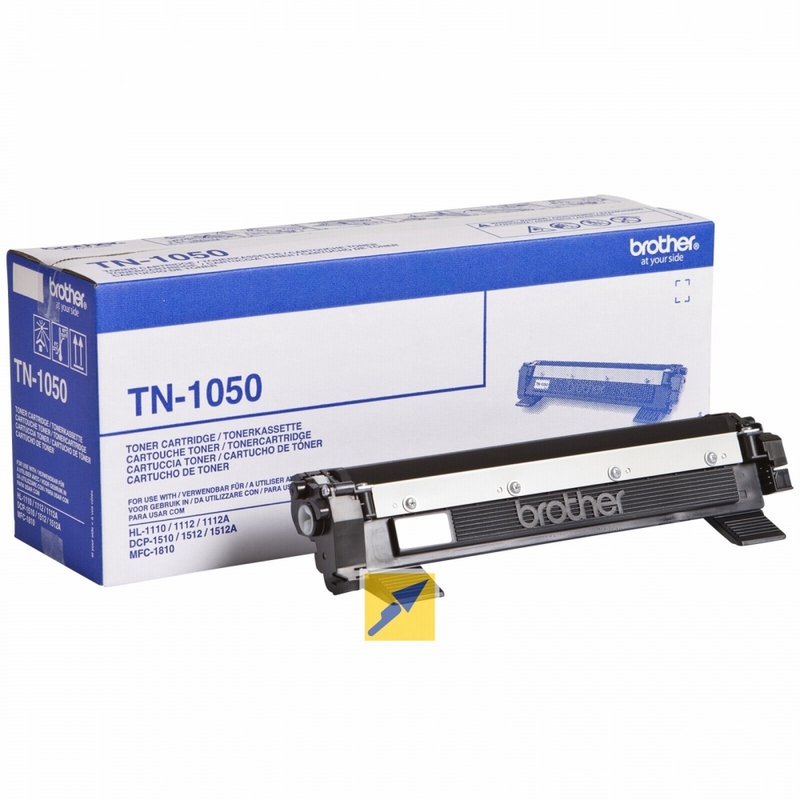 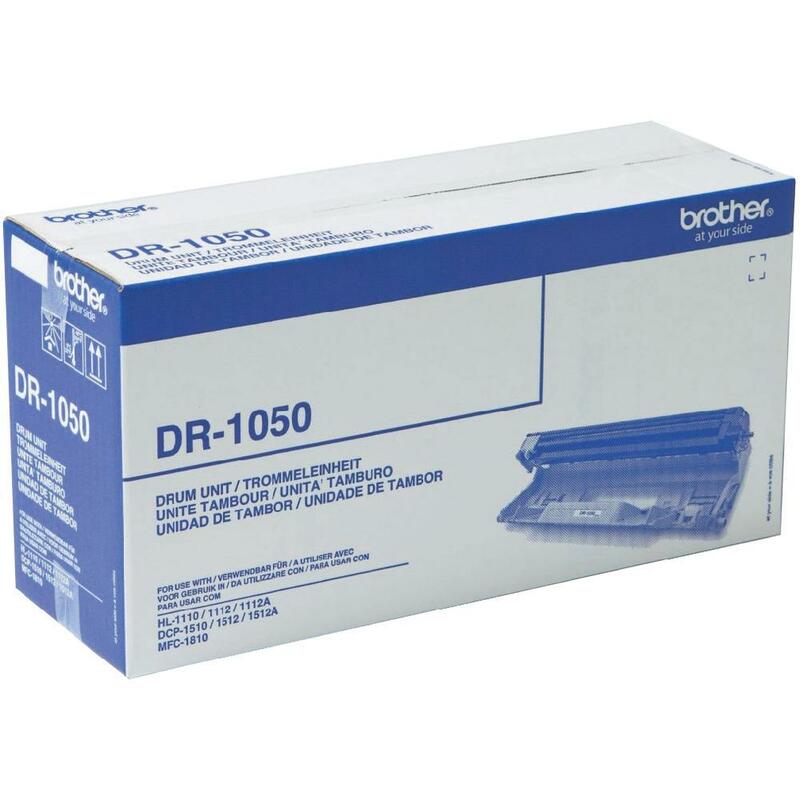 Toner Originale Nero per HP Laserjet 1100/1100A/3200. 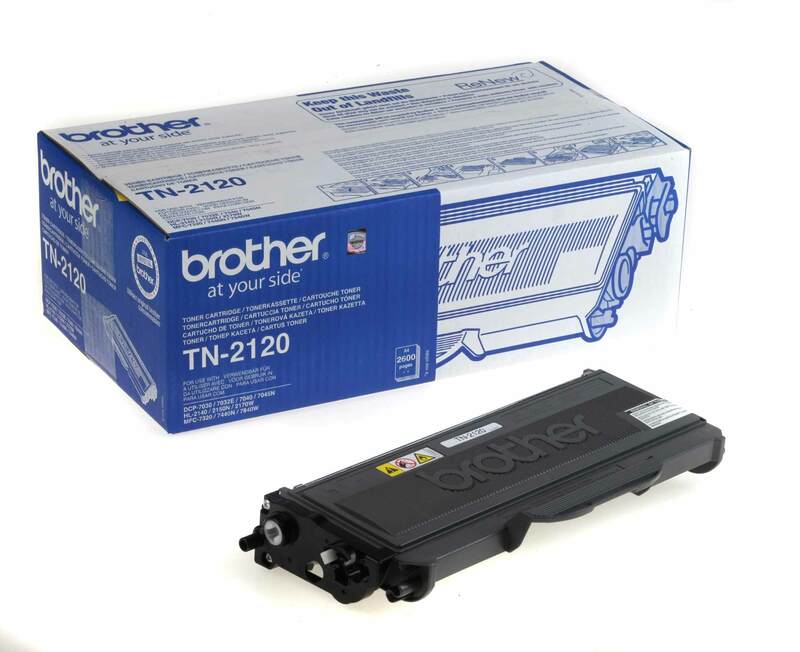 Toner Compatibile Nero per HP Laserjet 2100, 2200, 2100M, 2200D. 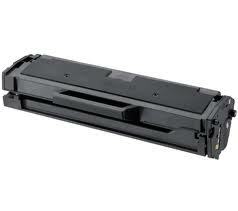 Toner Originale Nero per HP Laserjet 2100, 2200, 2100M, 2200D. 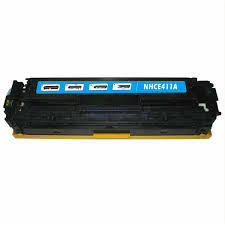 Toner Compatibile Nero per HP Laserjet 4000, 4000N, 4000T, 4000TN, 4050, 4050 N, 4050 T, 4050TN. 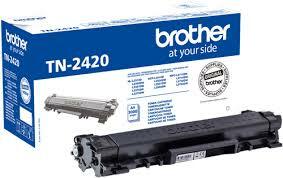 Toner Originale Nero per HP Laserjet 4000, 4000N, 4000T, 4000TN, 4050, 4050 N, 4050 T, 4050TN. 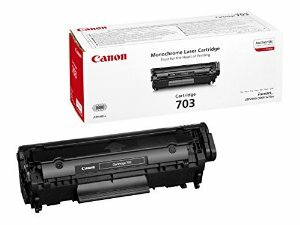 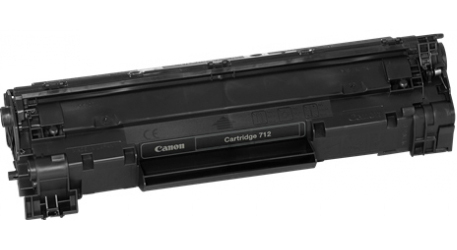 Cartuccia Compatibile Nero per Canon Lbp 1210, HP Laserjet 1000/1005/1200/1220/3300/3310/3320. 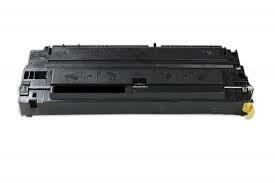 Cartuccia Originale Nero per Canon Lbp 1210, HP Laserjet 1000/1005/1200/1220/3300/3310/3320. 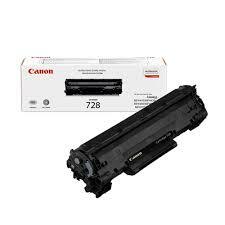 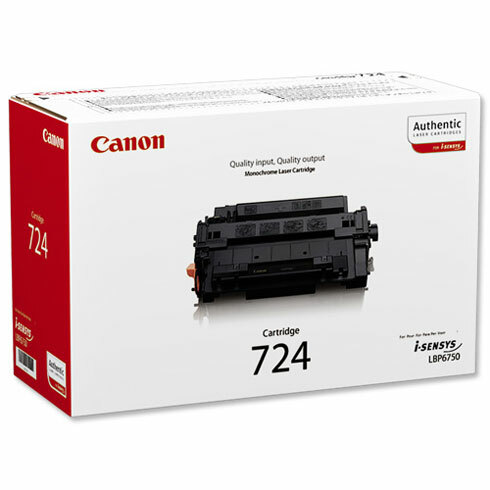 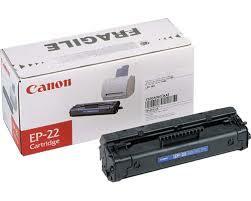 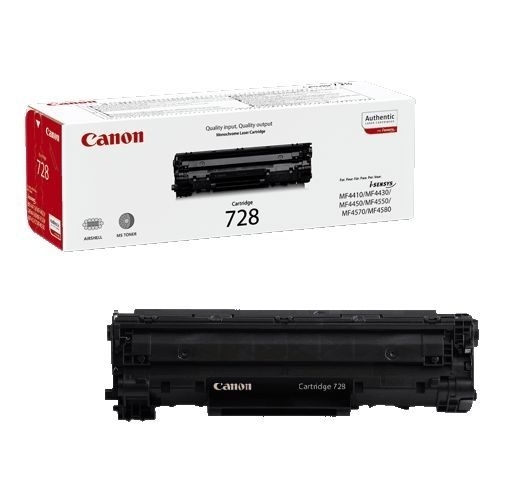 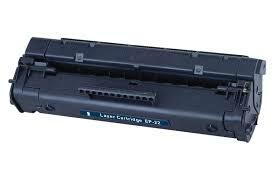 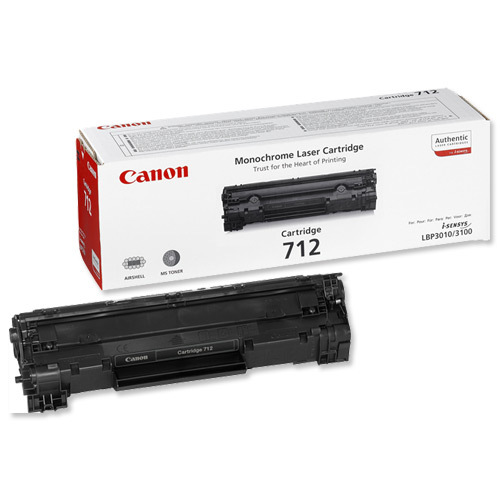 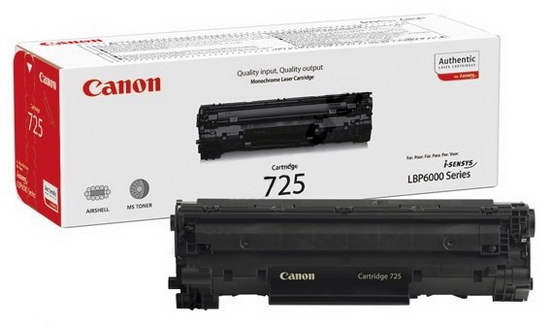 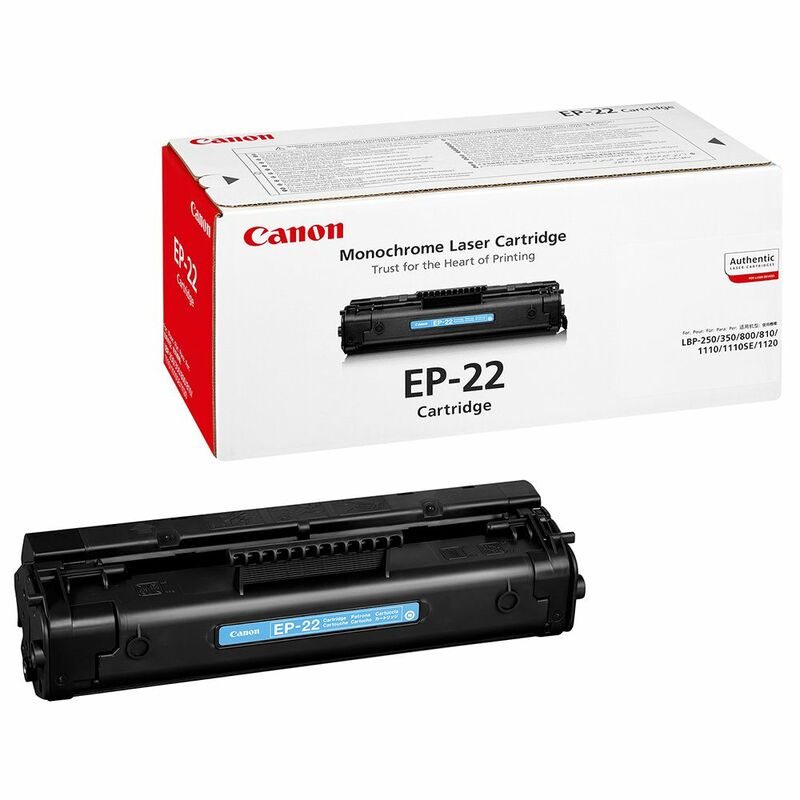 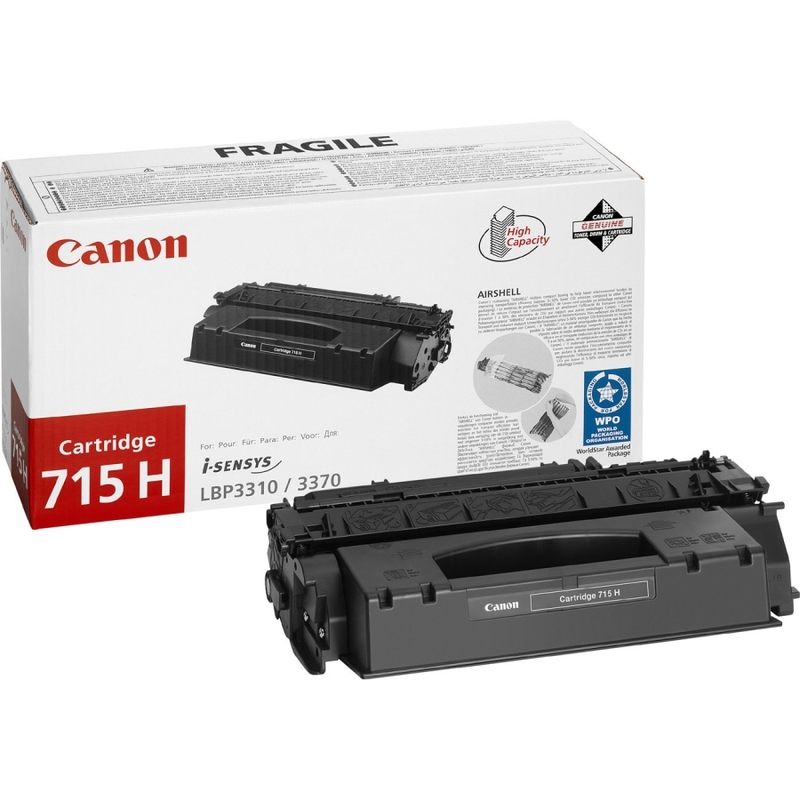 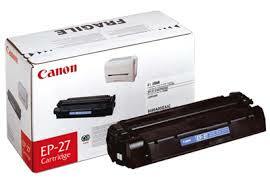 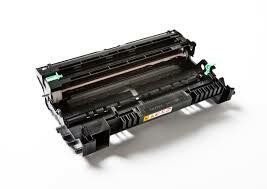 Cartuccia Compatibile Nero per Canon Lbp 1210, HP Laserjet 1000/1200/1220/3300/3310/3320. 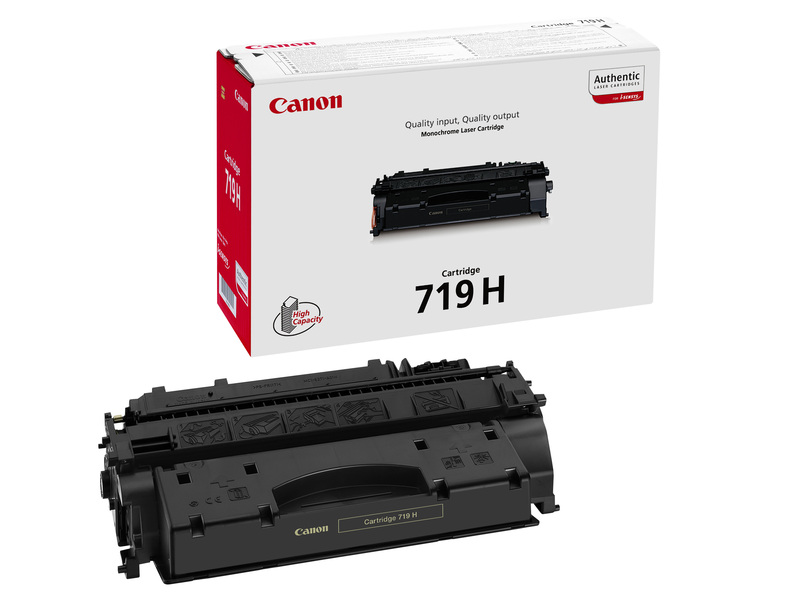 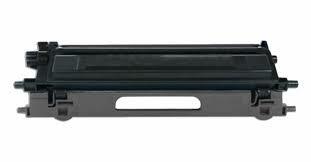 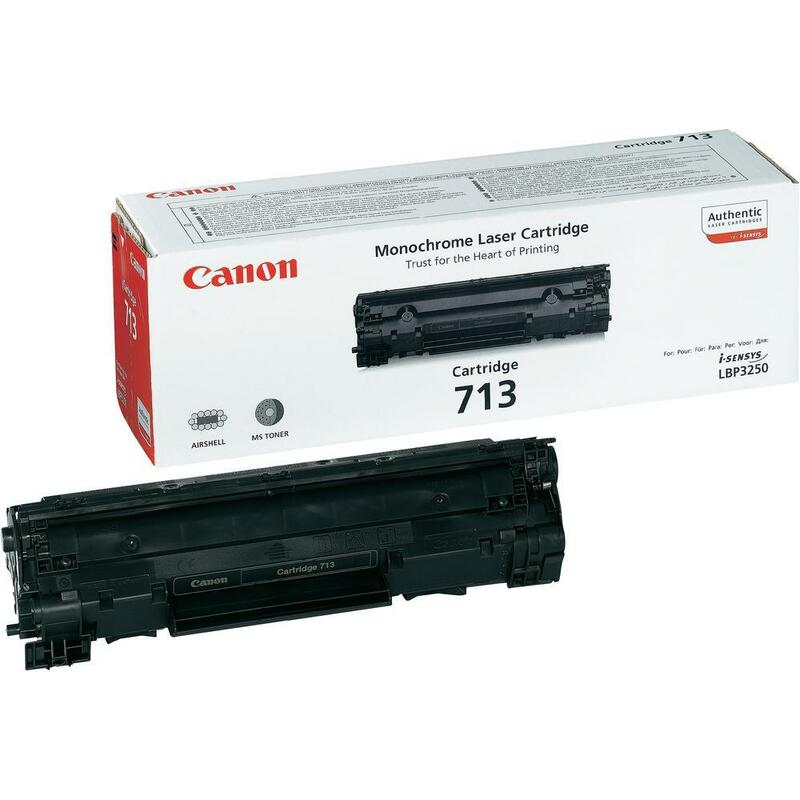 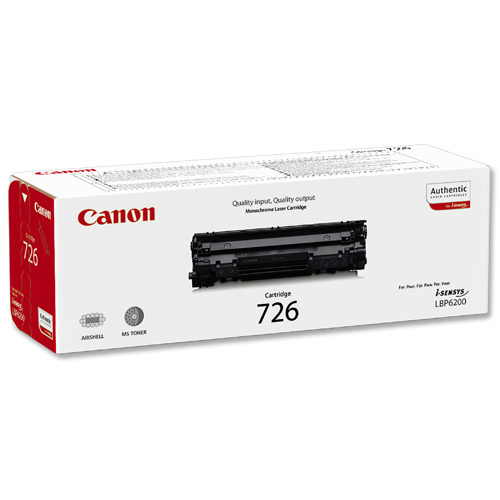 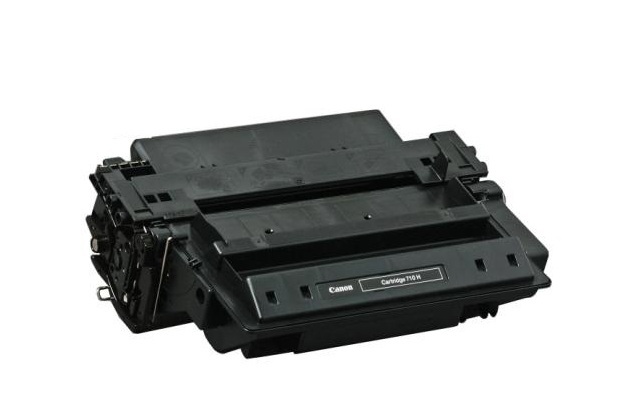 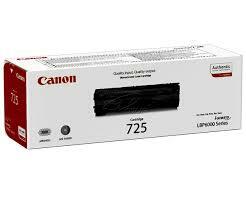 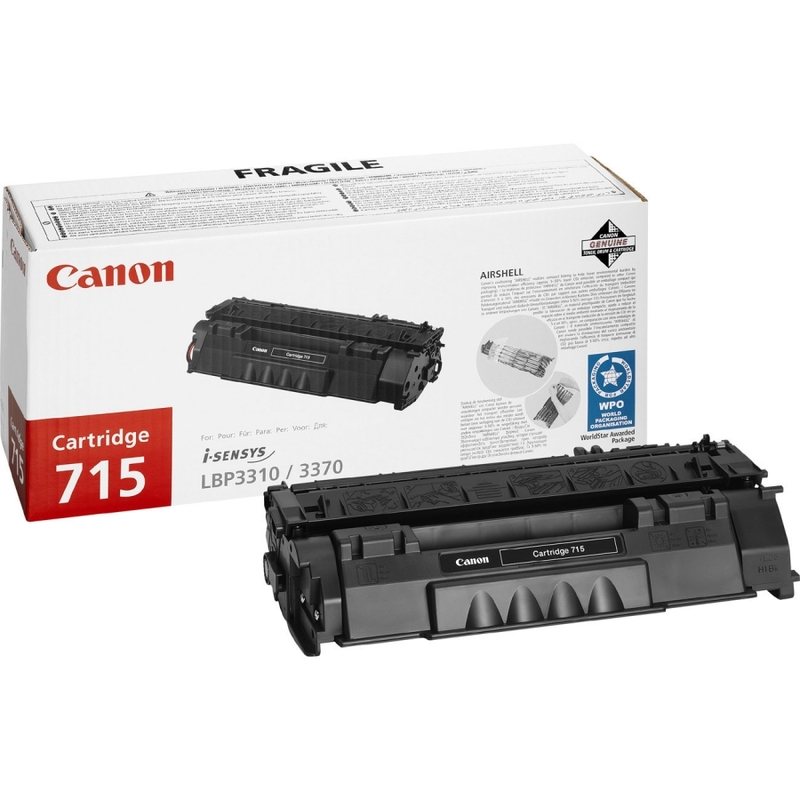 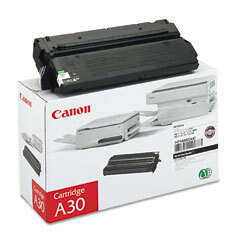 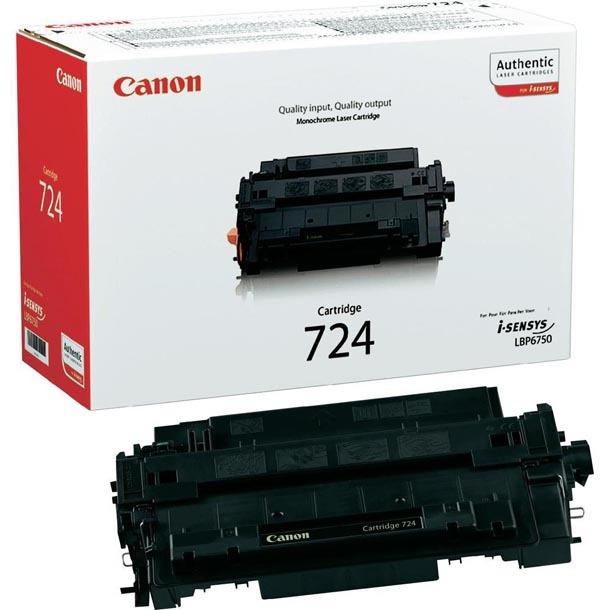 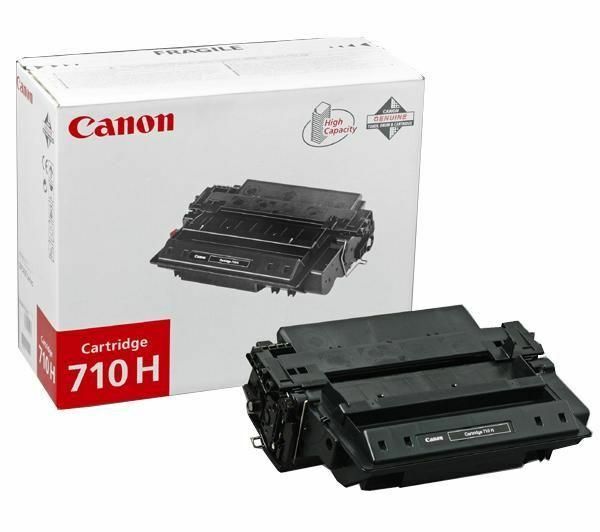 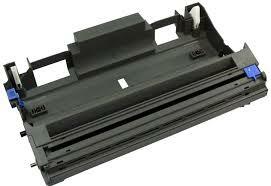 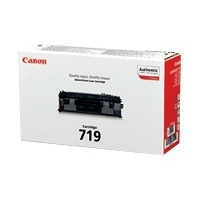 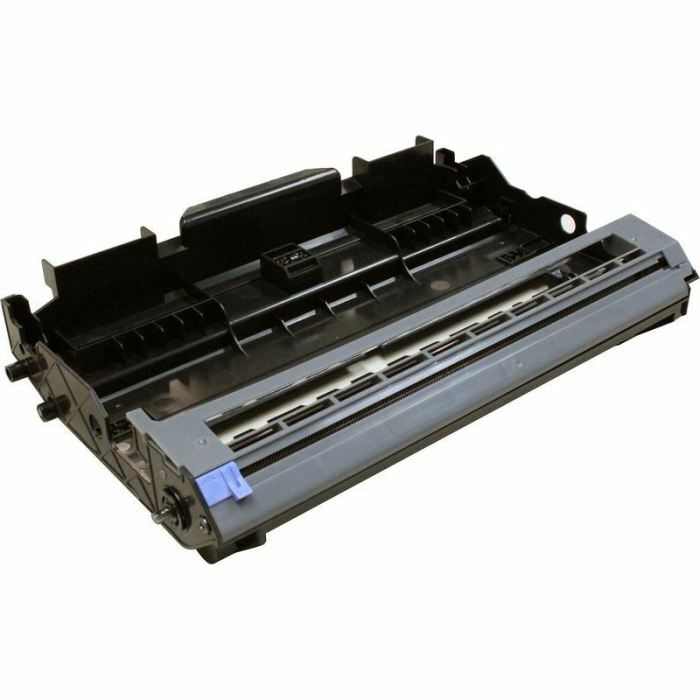 Cartuccia Originale Nero per Canon Lbp 1210, HP Laserjet 1000/1200/1220/3300/3310/3320. 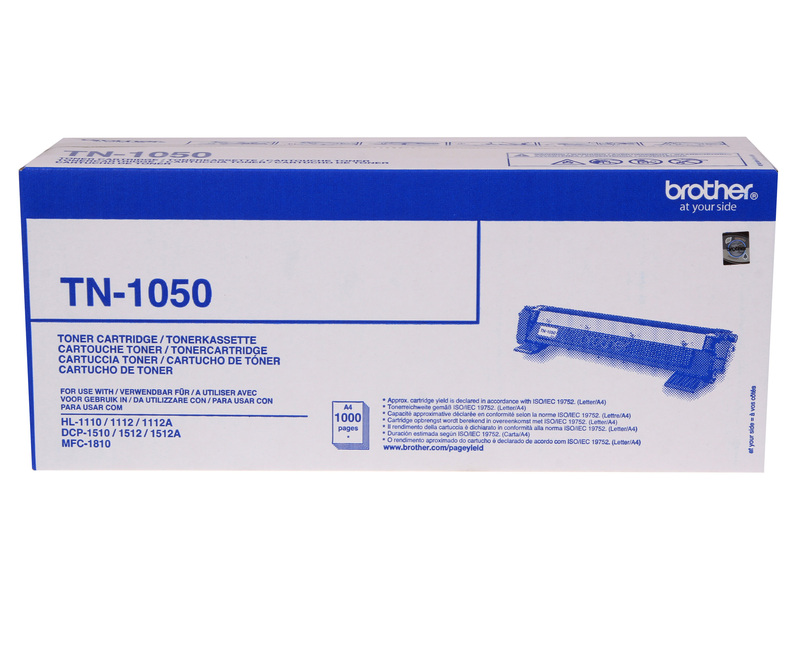 Toner Compatibile Nero per HP Laserjet 4100, 4100N, 4100TN, 4100DTN, 4100MFC. 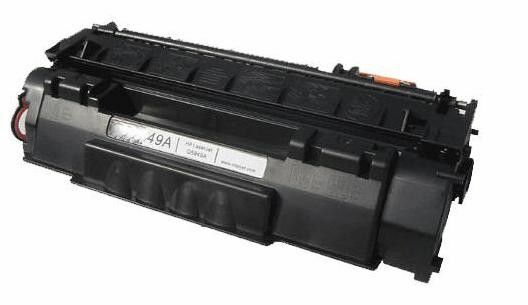 Toner Originale Nero per HP Laserjet 4100, 4100N, 4100TN, 4100DTN, 4100MFC. 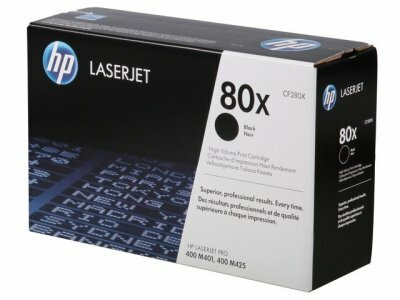 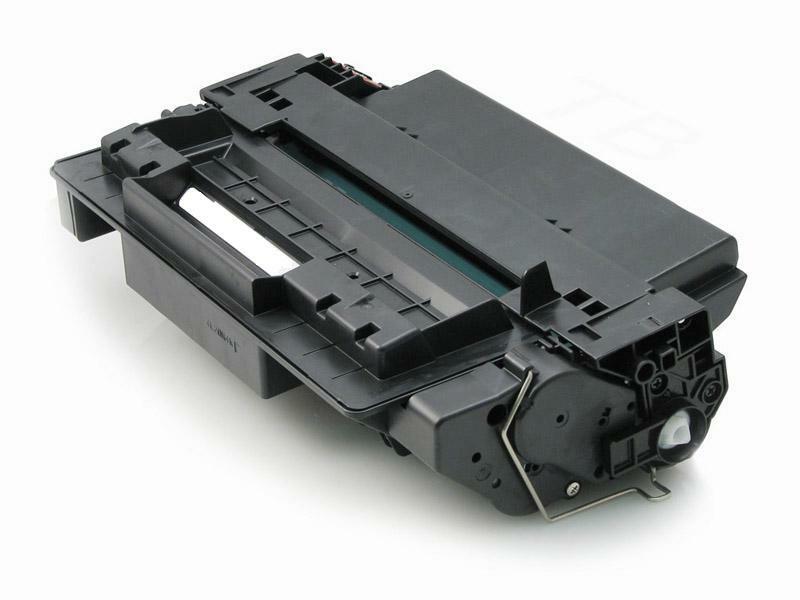 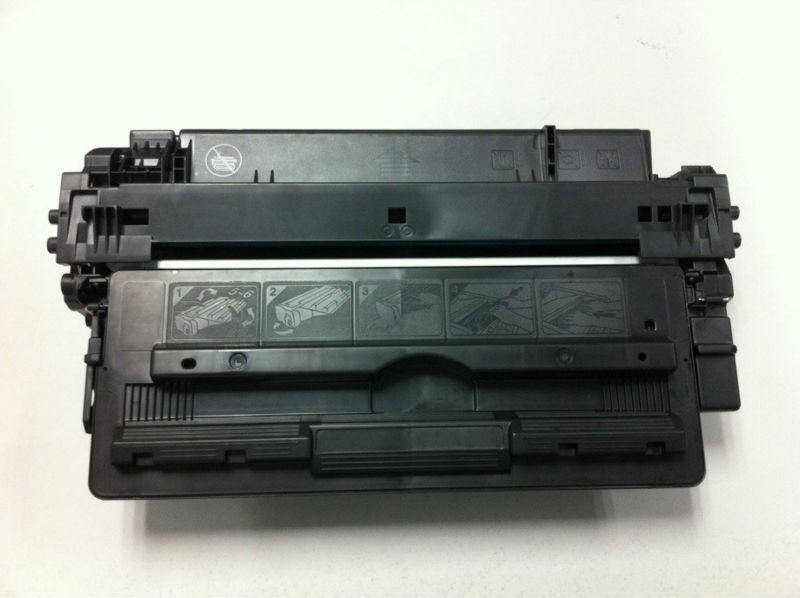 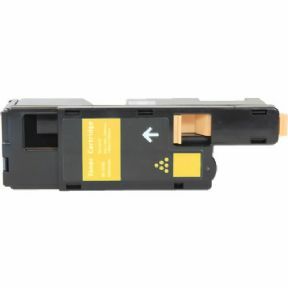 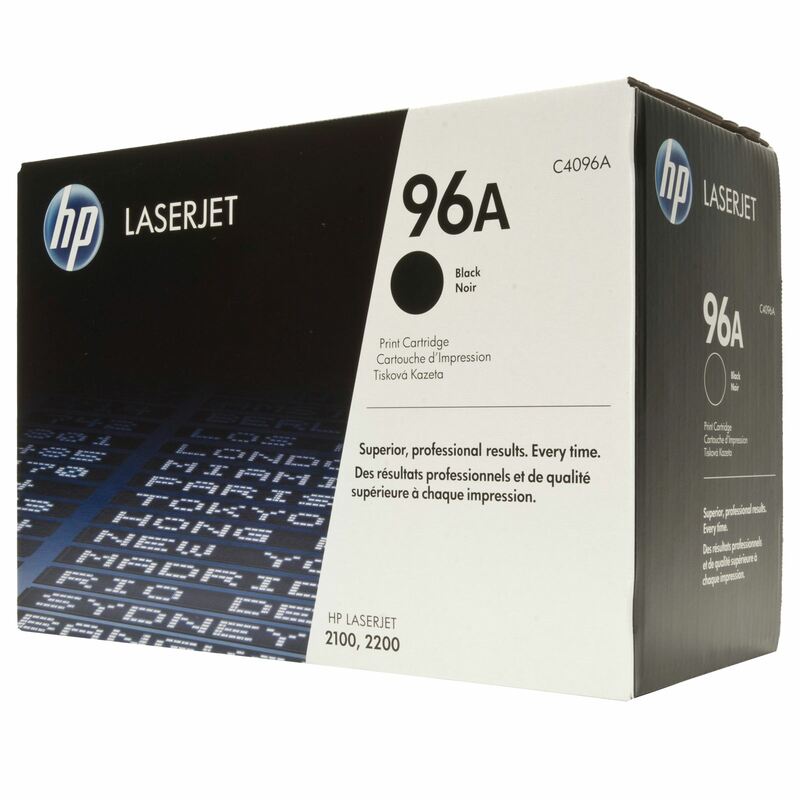 Toner Compatibile Nero per HP Laserjet P1005, P1006. 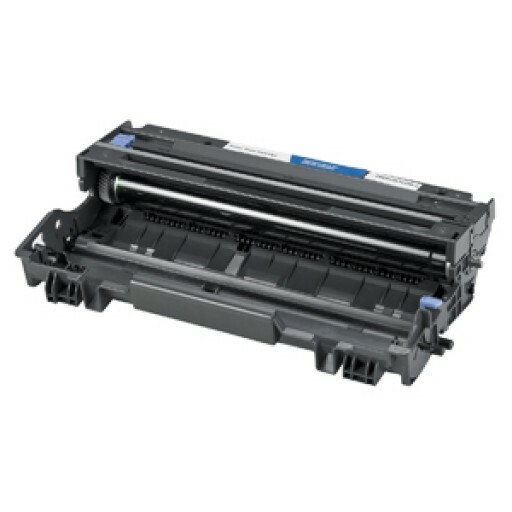 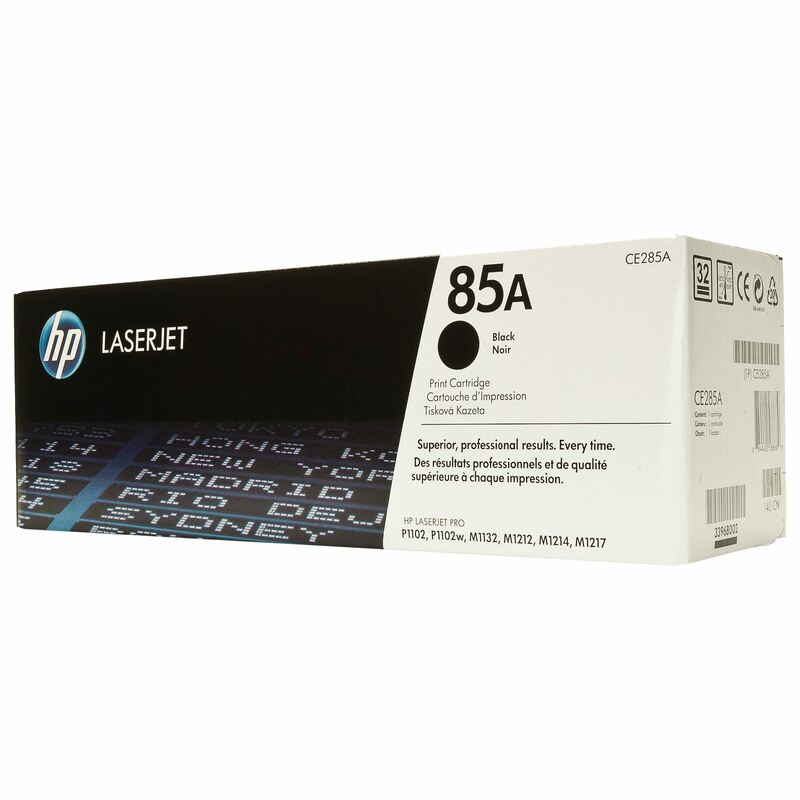 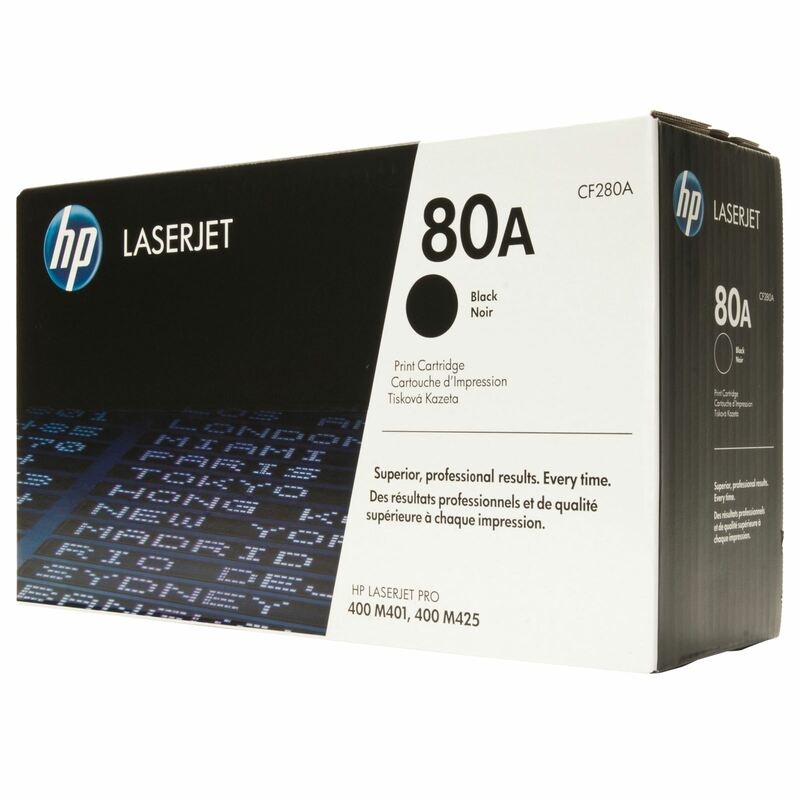 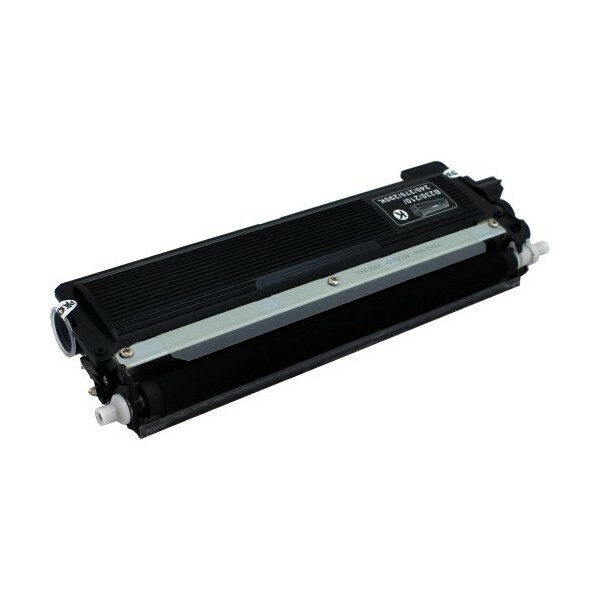 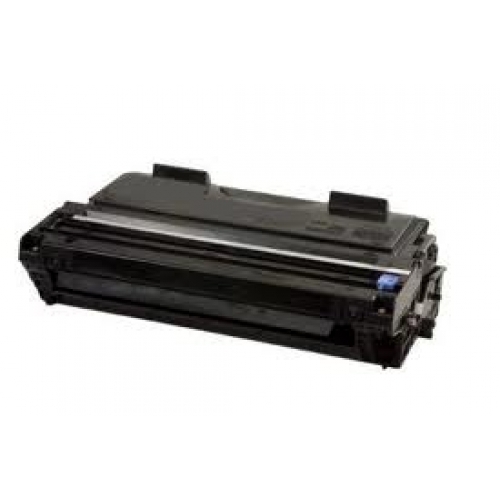 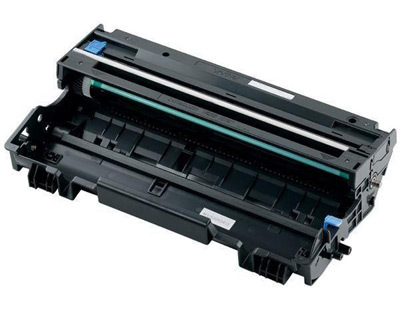 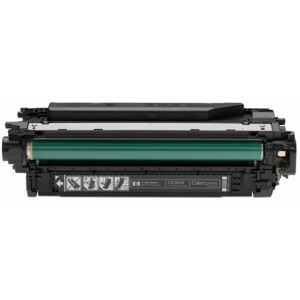 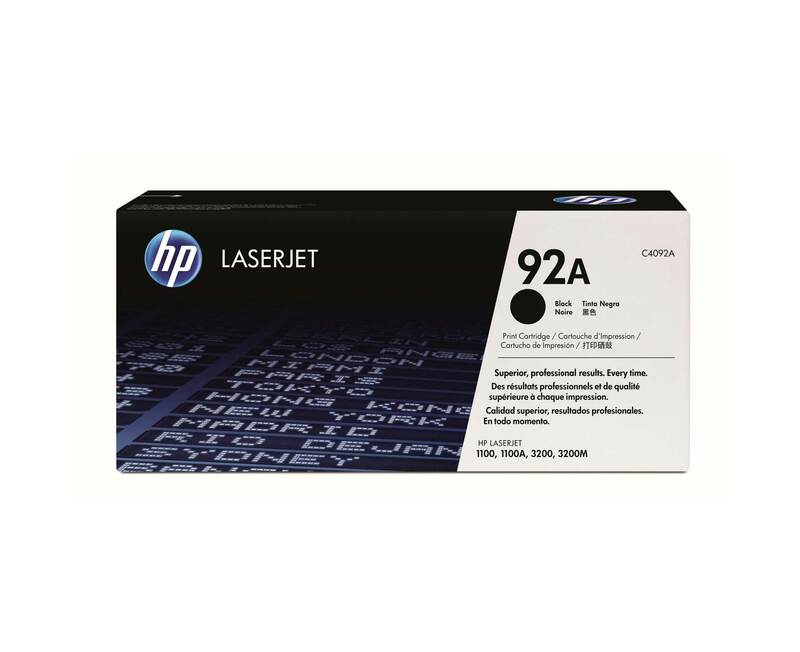 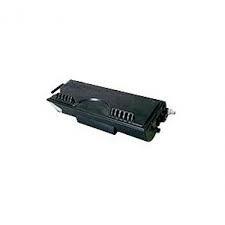 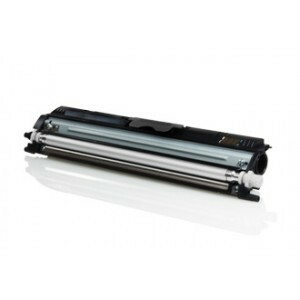 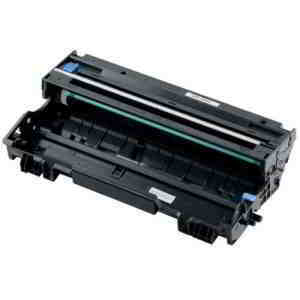 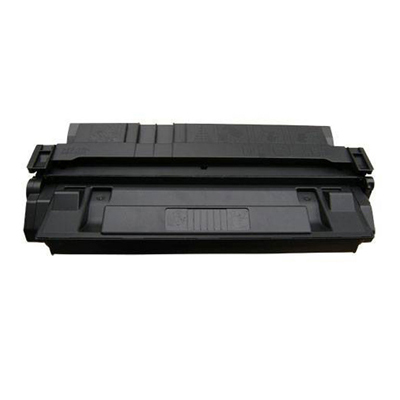 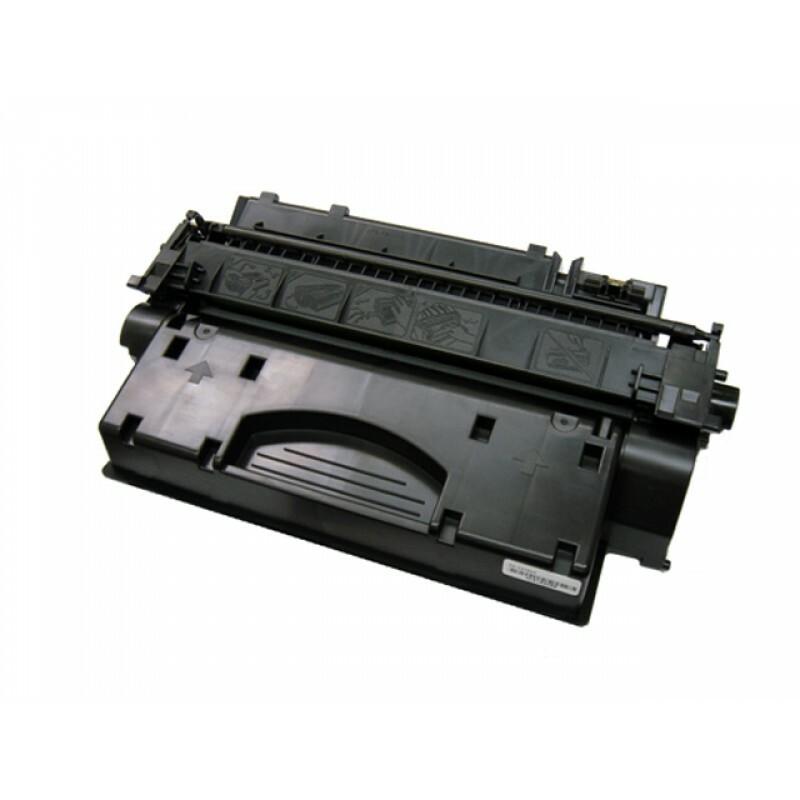 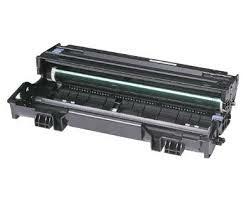 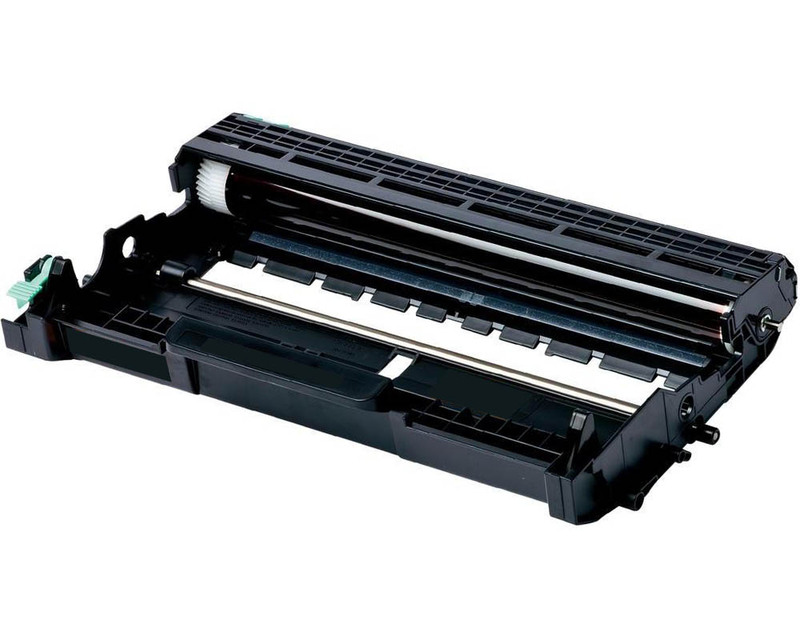 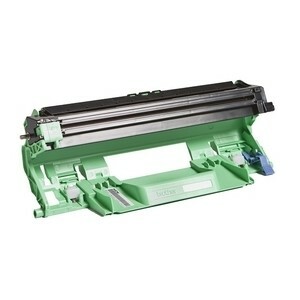 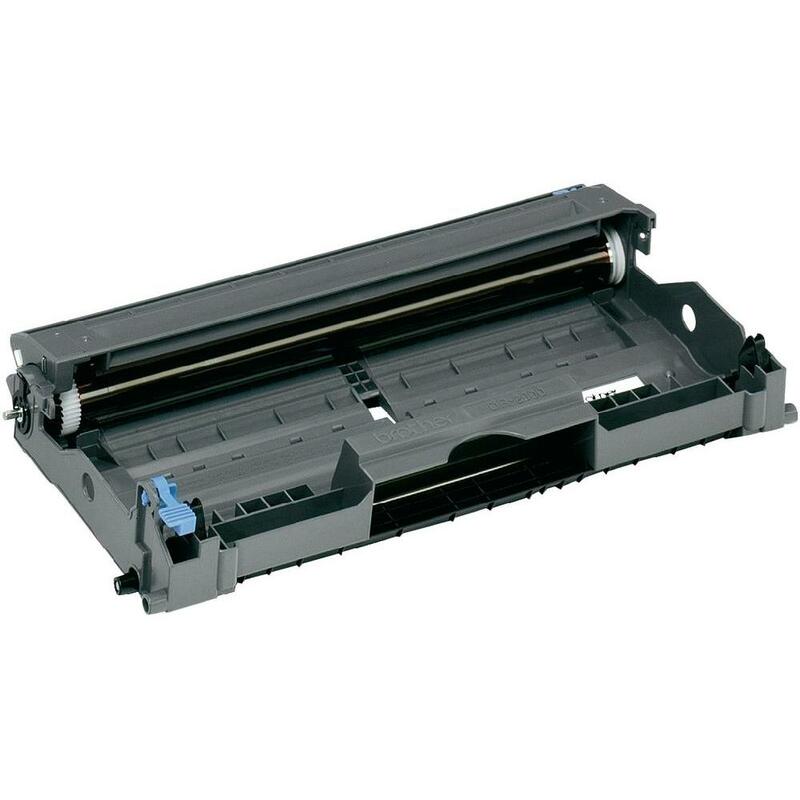 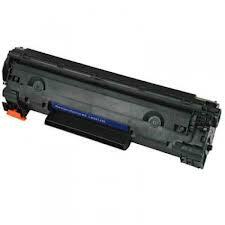 Toner Originale Nero per HP Laserjet P1005, P1006. 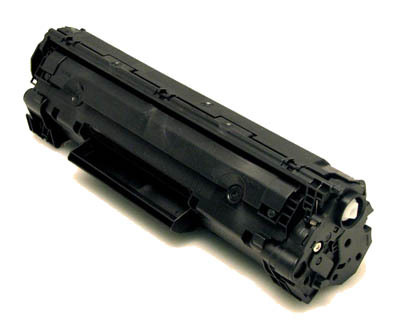 Toner Compatibile Nero per HP Laserjet M 1120, P 1505, M 1120N, P 1505 N, M1522N MFP. 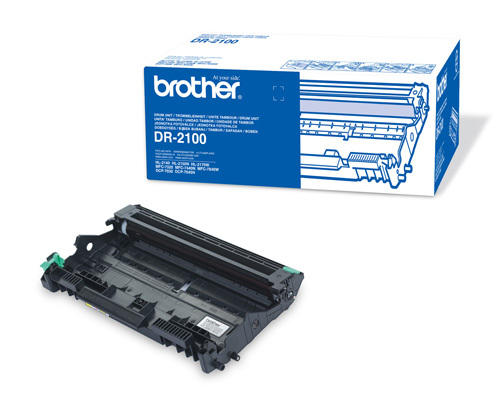 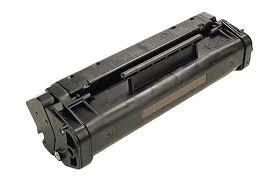 Toner Originale Nero per HP Laserjet M 1120, P 1505, M 1120N, P 1505 N, M1522N MFP. 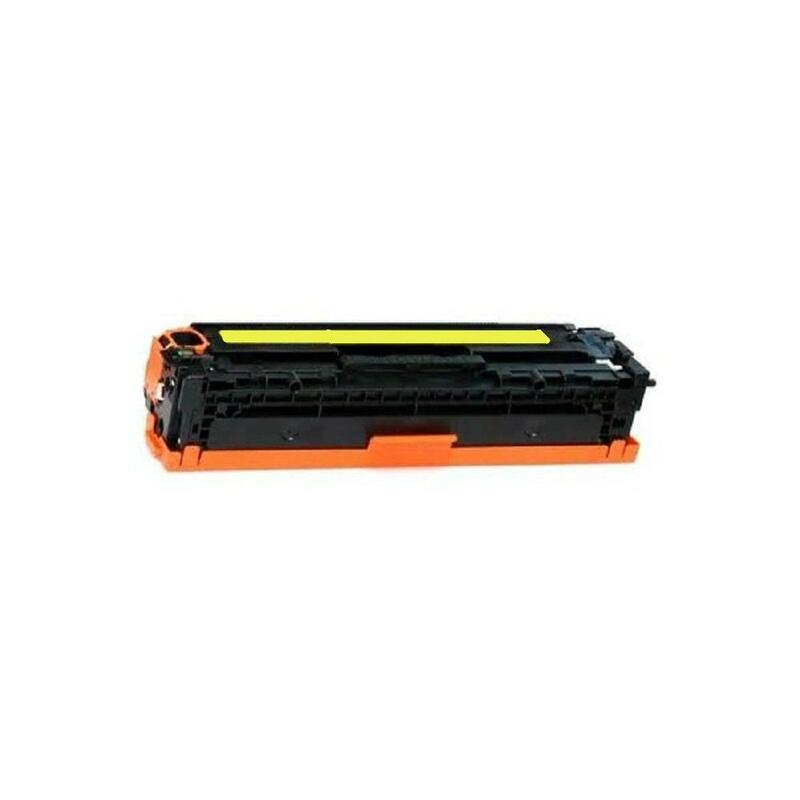 Toner Compatibile Nero per HP Laserjet P 4014 , P 4014N , P 4015 N , P 4015 TN, P 4015 X .
Toner Originale Nero per HP Laserjet P 4014 , P 4014N , P 4015 N , P 4015 TN, P 4015 X .
Toner Compatibile Nero per HP Laserjet P 3015D, P 3015 DN, P 3015 X, P 3015. 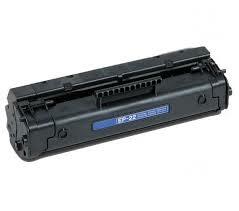 Toner Originale Nero per HP Laserjet P 3015D, P 3015 DN, P 3015 X, P 3015. 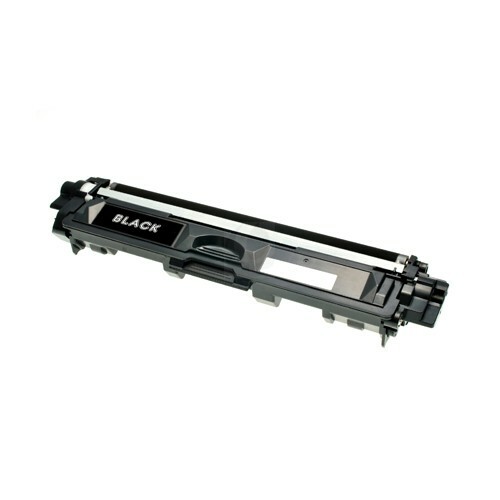 Toner Compatibile Nero per HP Laserjet Pro P1566, P1606DN. 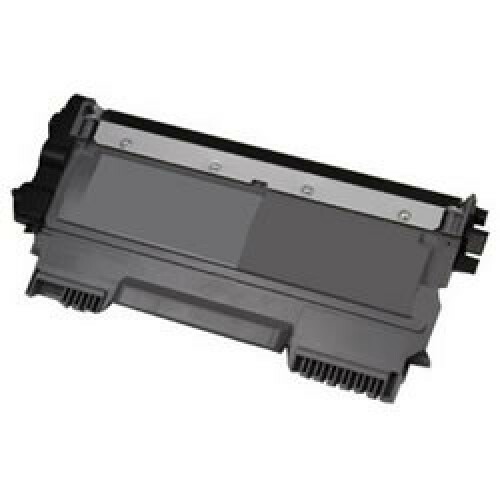 Toner Originale Nero per HP Laserjet Pro P1566, P1606DN. 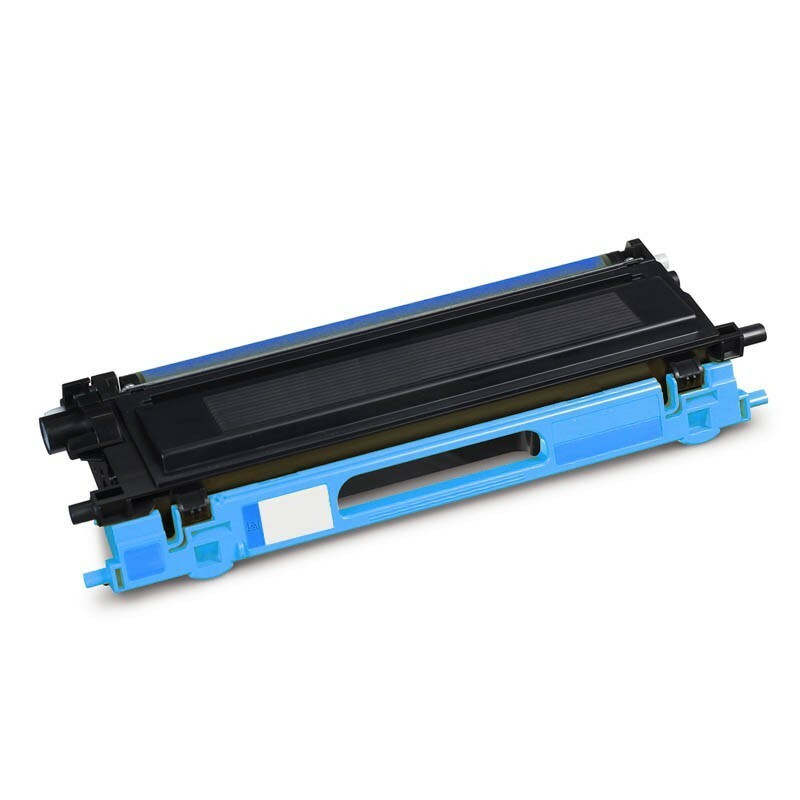 Toner Compatibile Nero per HP Laserjet Pro P1102, P1102W, M1132, M1212NF. 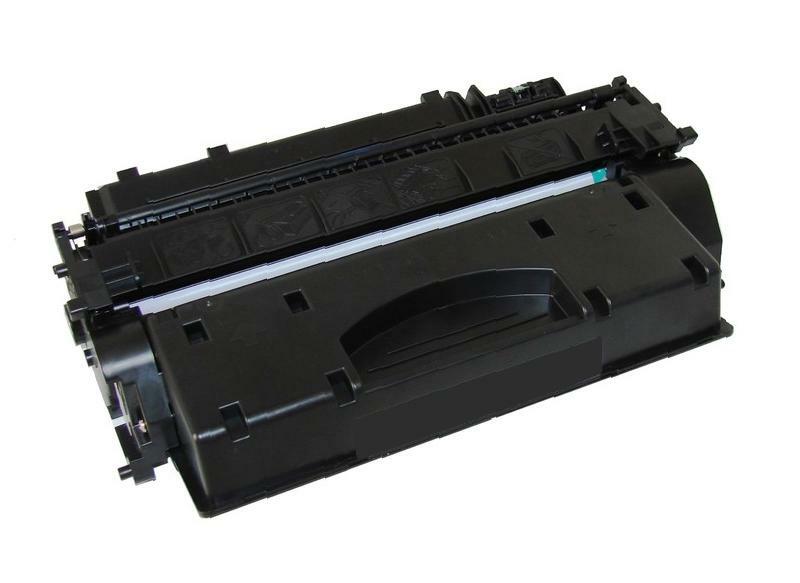 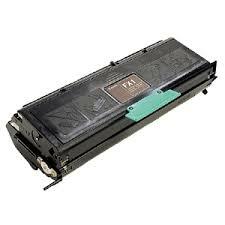 Toner Originale Nero per HP Laserjet Pro P1102, P1102W, M1132, M1212NF. 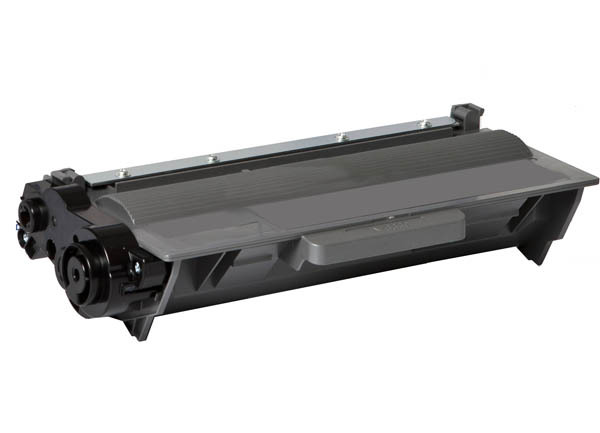 Toner Compatibile Nero per M601DN, M601N, M602N, M602DN, M602X. 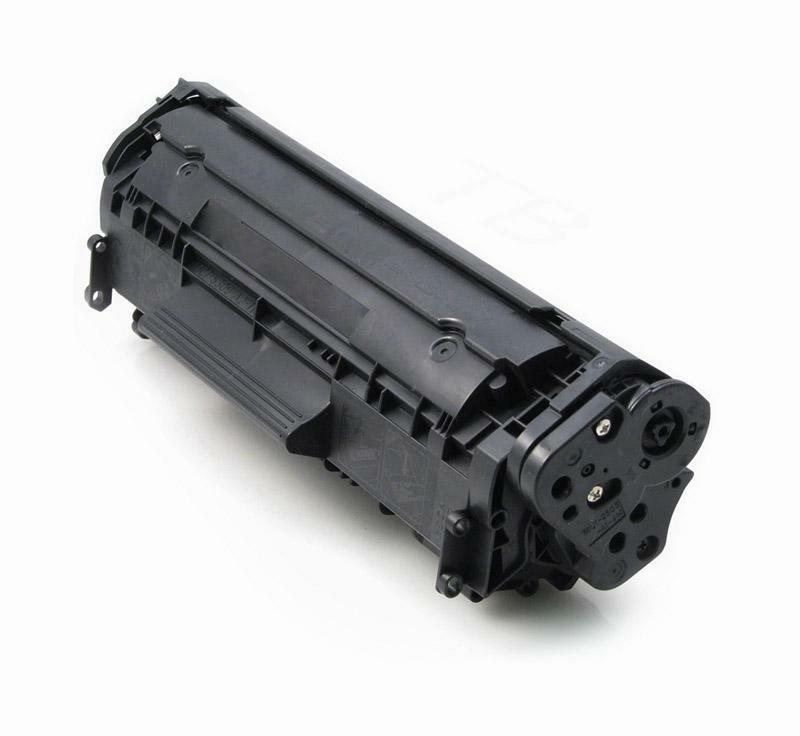 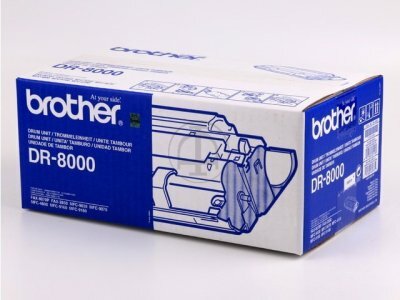 Toner Originale Nero per M601DN, M601N, M602N, M602DN, M602X. 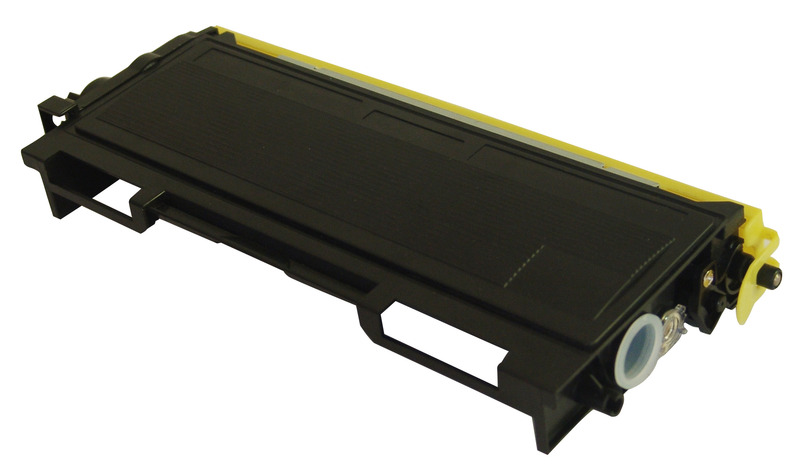 Toner Compatibile Nero per HP Laserjet P 2035, P 2055D, P 2055 DN, P 2050. 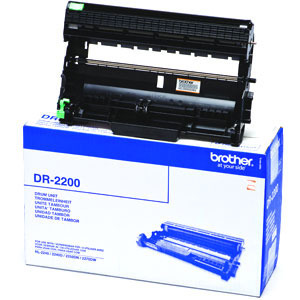 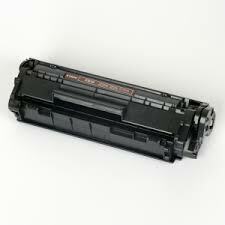 Toner Originale Nero per HP Laserjet P 2035, P 2055D, P 2055 DN, P 2050. 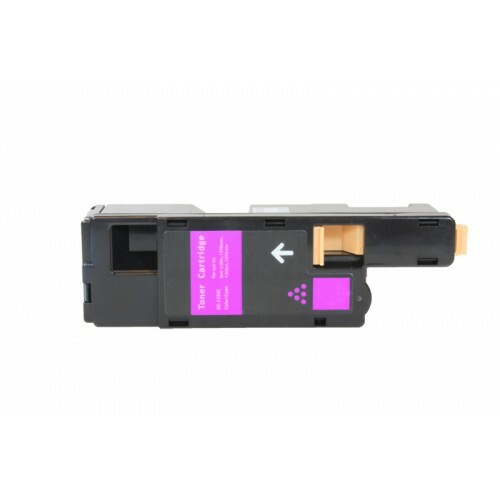 Toner Compatibile Nero per HP Laser Jet Pro M401DN, M401DW, MFP M425DN,MFP M425DW. 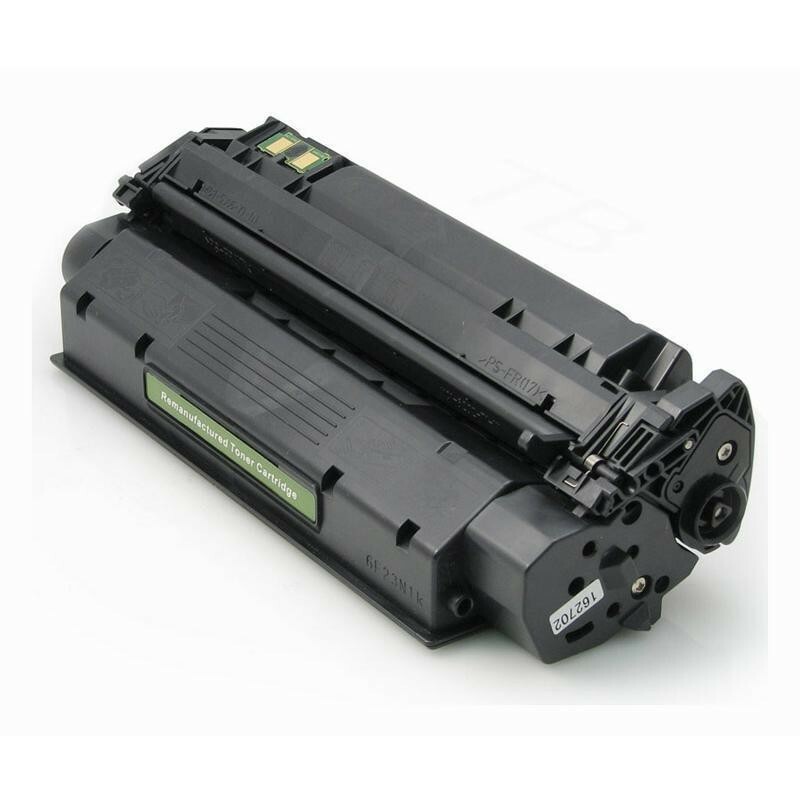 Toner Originale Nero per HP Laser Jet Pro M401DN, M401DW, MFP M425DN,MFP M425DW. 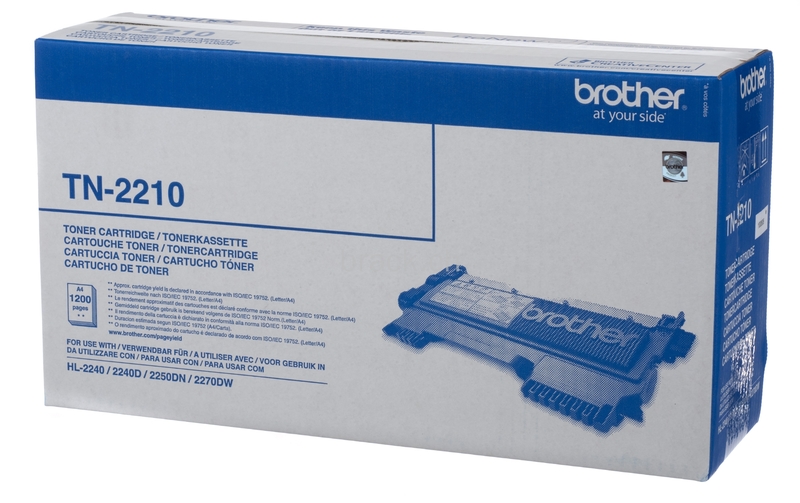 Toner Compatibile Nero per HP Laserjet 1010/1012/1015/3010/3015/3020/3030. 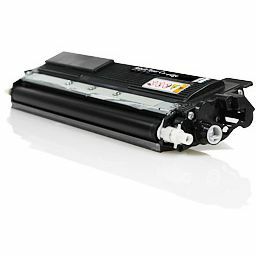 Toner Originale Nero per HP Laserjet 1010/1012/1015/3010/3015/3020/3030. 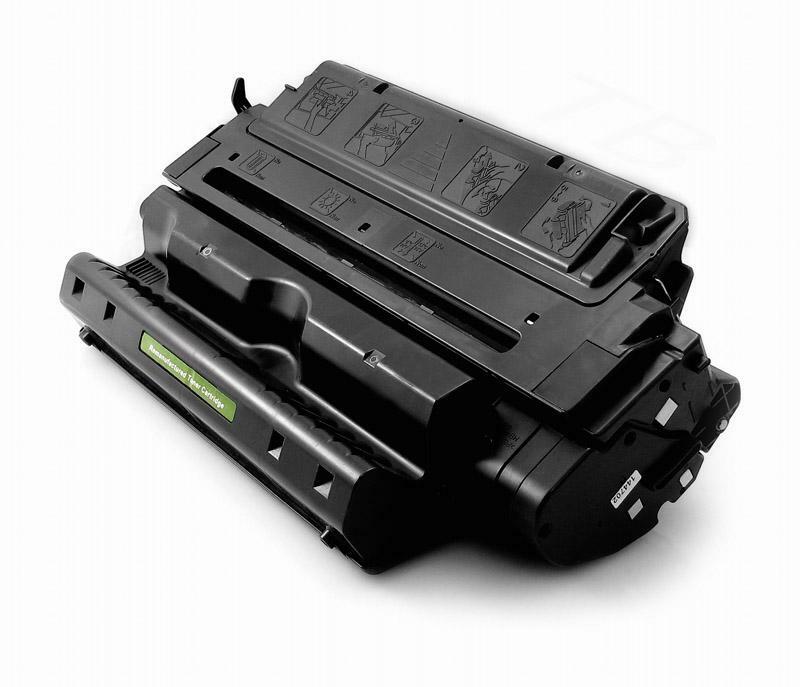 Toner Compatibile Nero per HP Laserjet 4250, 4250DTN, 4250DTNSL, 4250N, 4250TN, 4350. 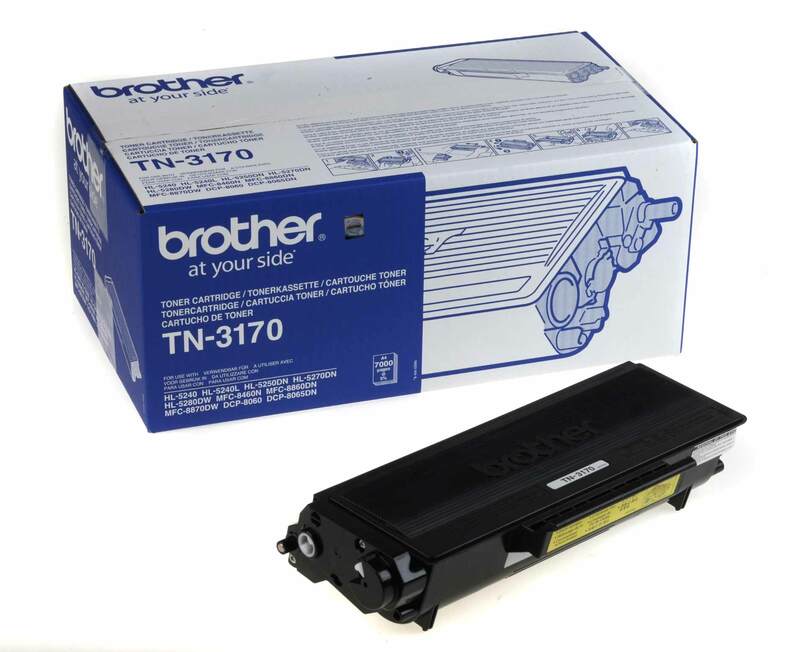 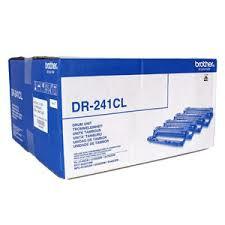 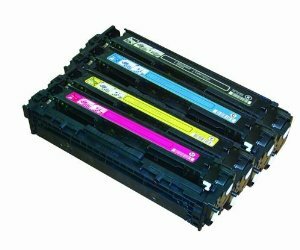 Toner Originale Nero per HP Laserjet 4250, 4250DTN, 4250DTNSL, 4250N, 4250TN, 4350. 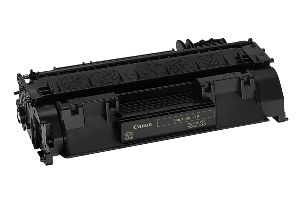 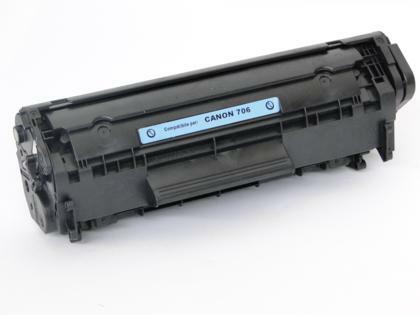 Toner Compatibile Nero per Canon Lbp 3300, 3360, HP Laserjet 1320, 1320N. 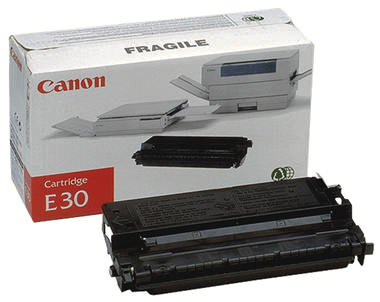 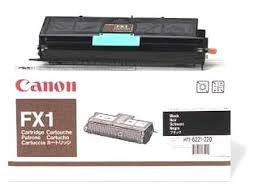 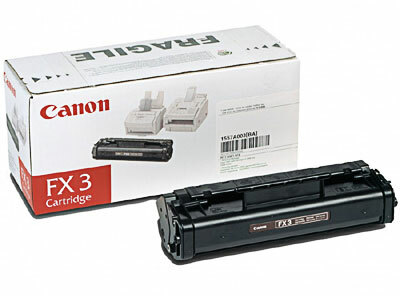 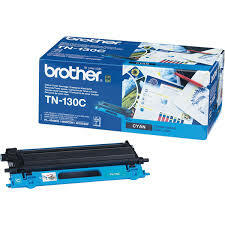 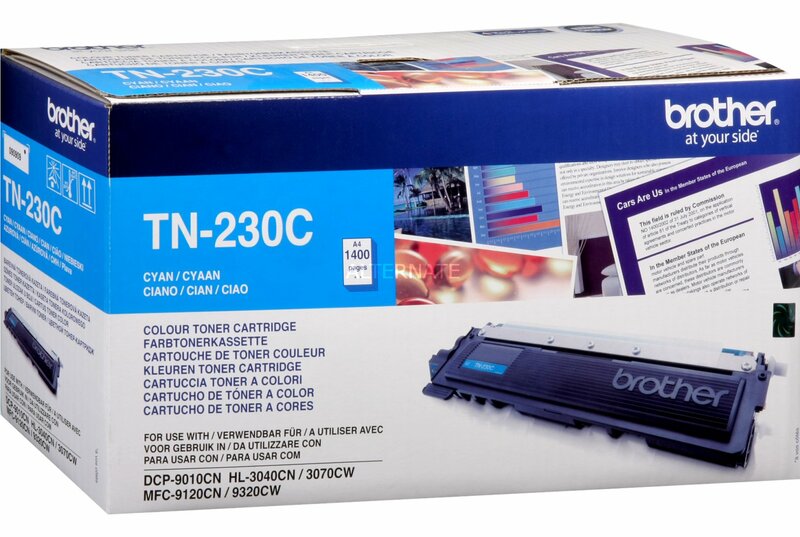 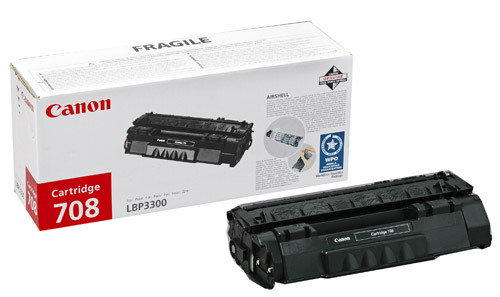 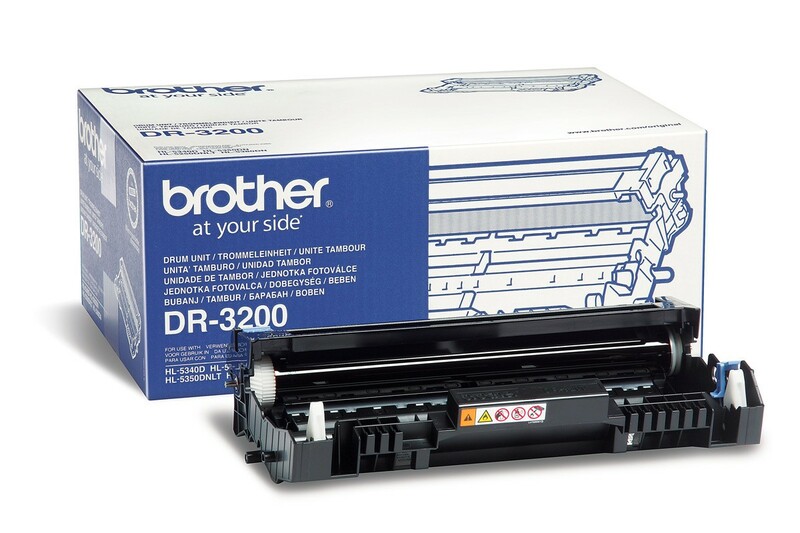 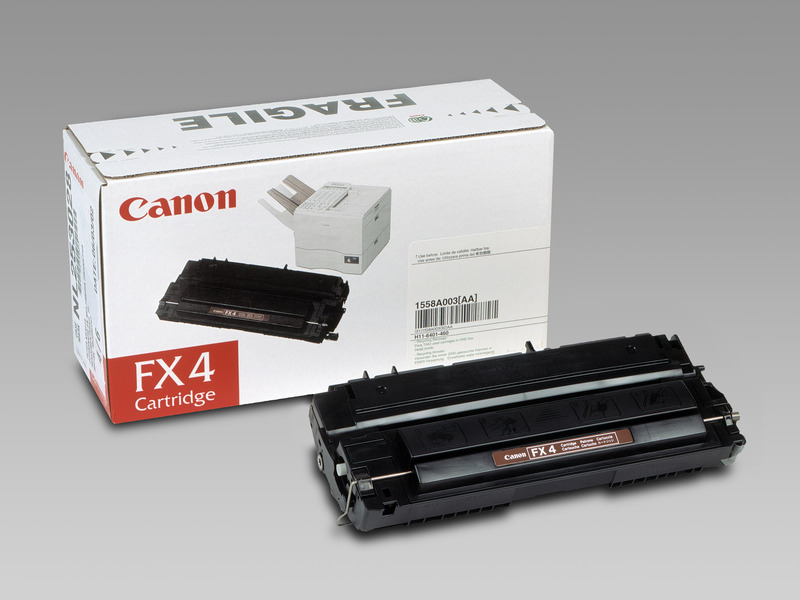 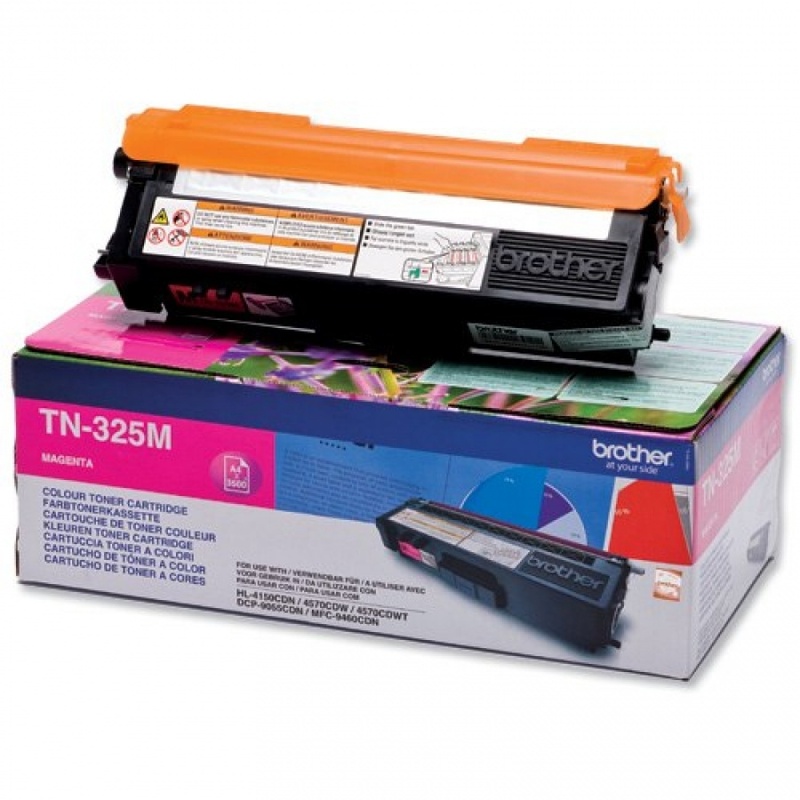 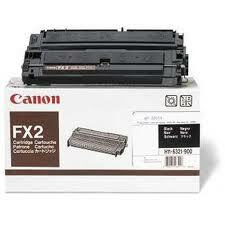 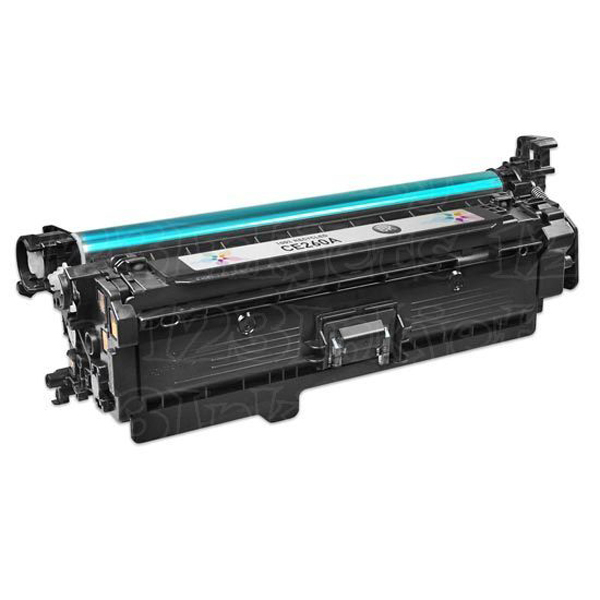 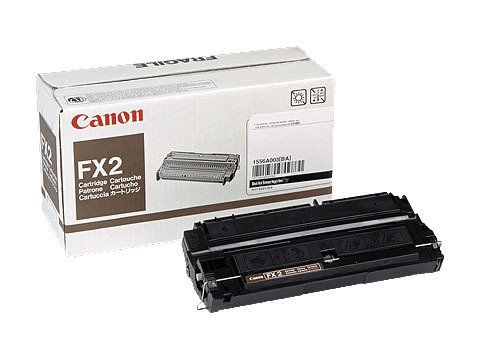 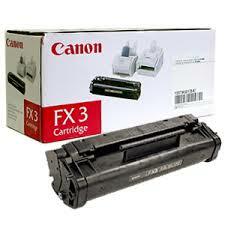 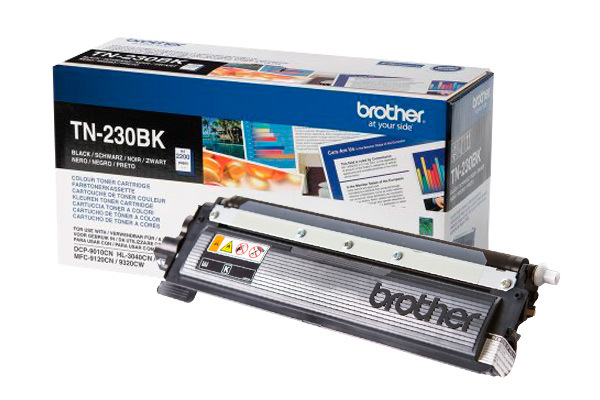 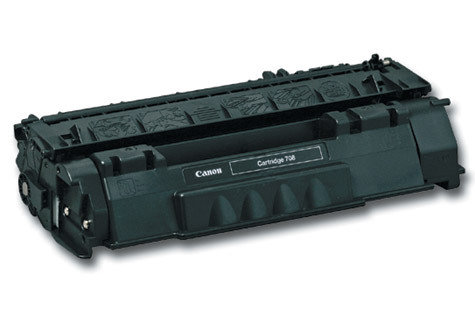 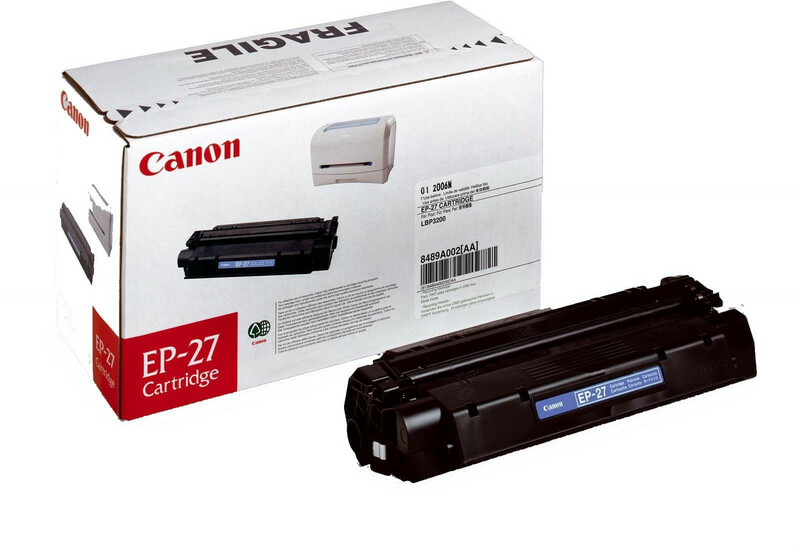 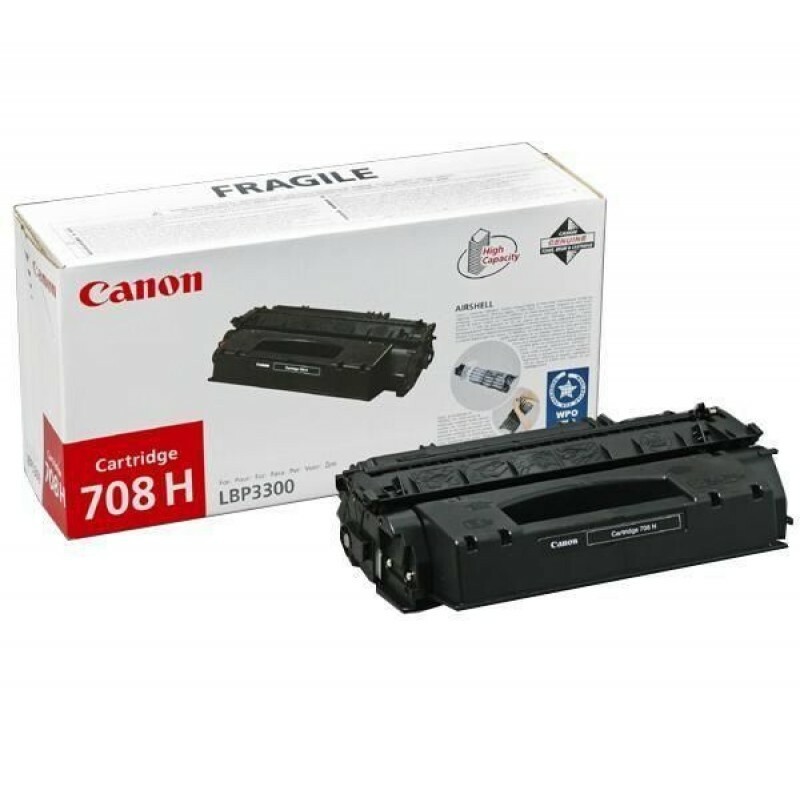 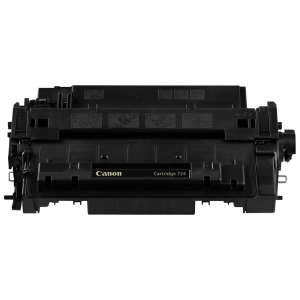 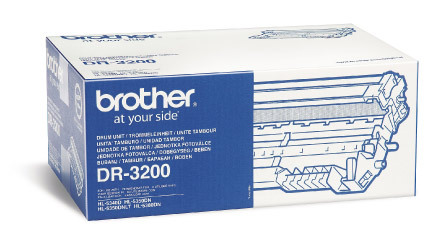 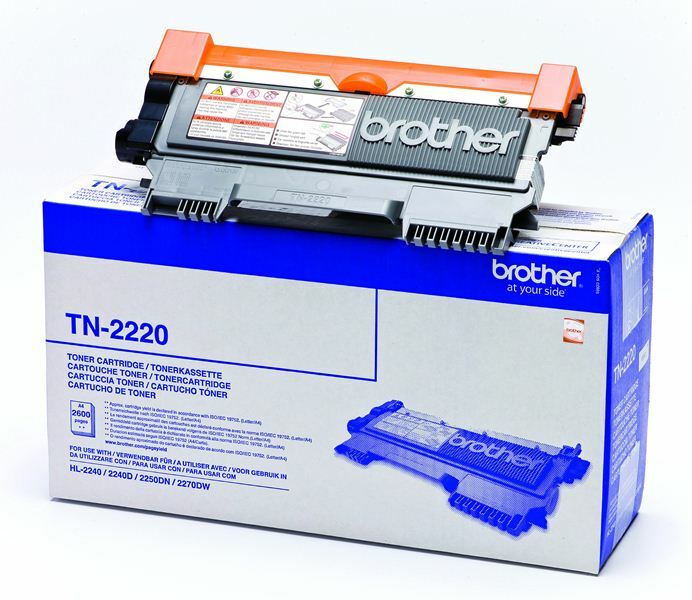 Toner Originale Nero per Canon Lbp 3300, 3360, HP Laserjet 1320, 1320N. 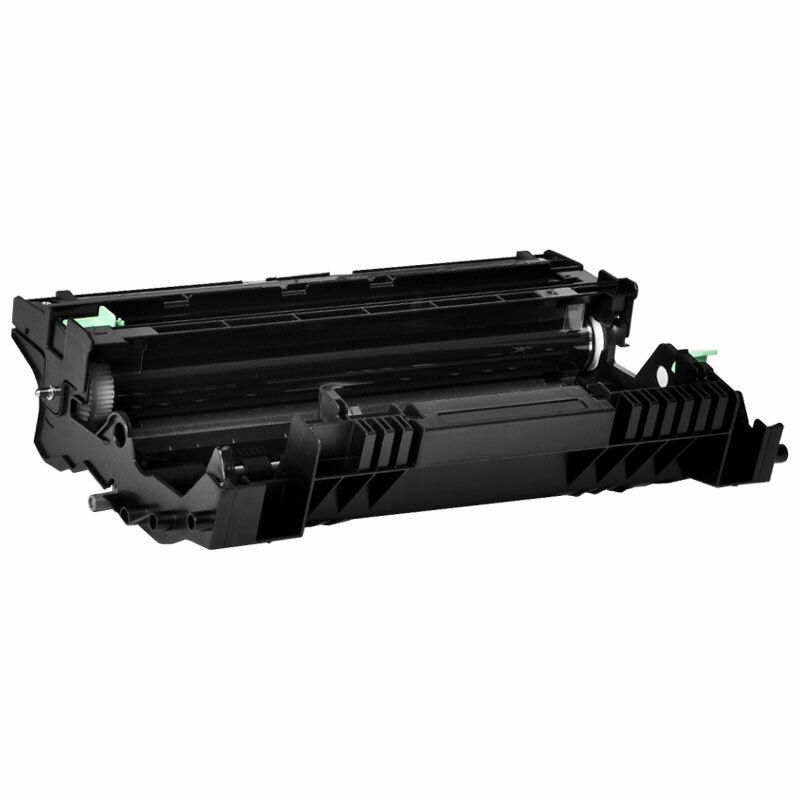 Toner Compatibile Nero per HP Laserjet 5200, 5200TN, 5200DTN. 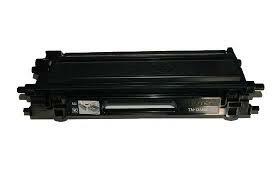 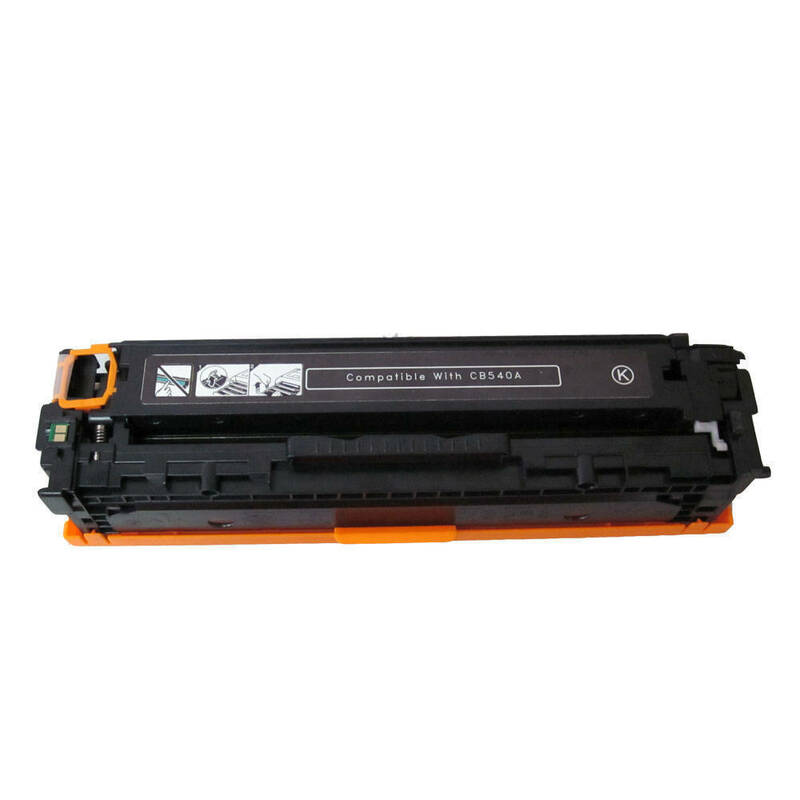 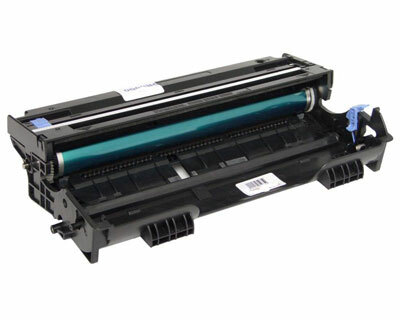 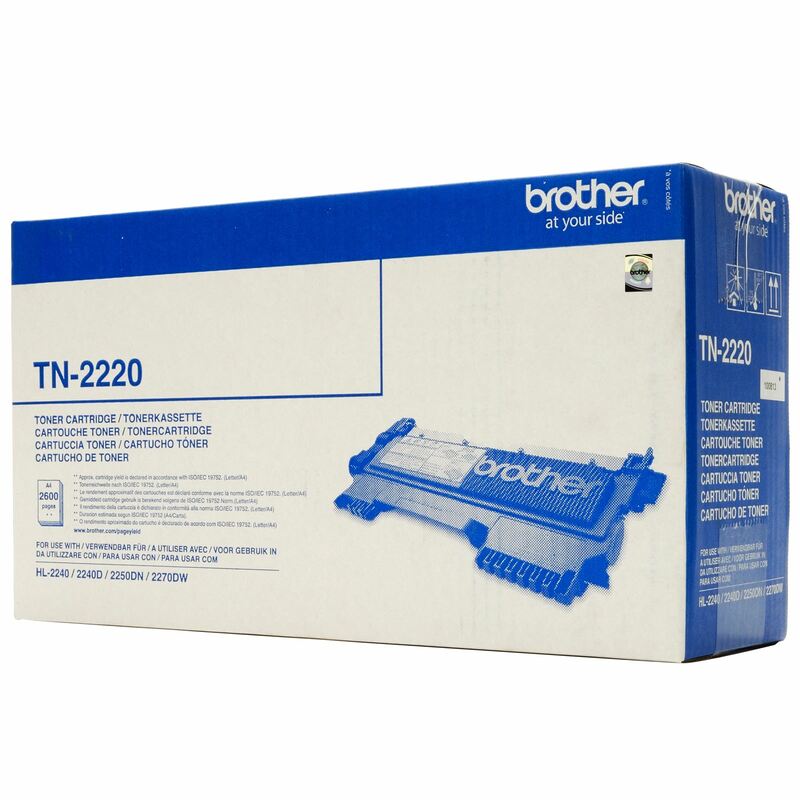 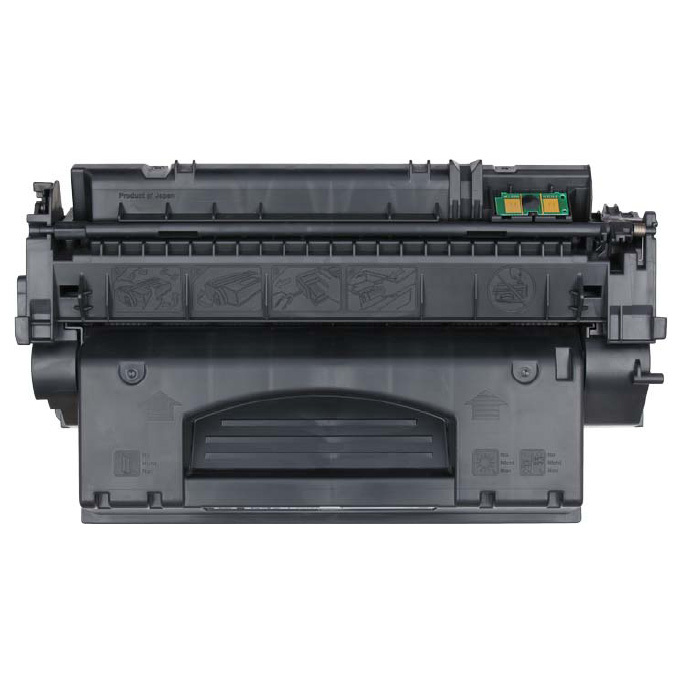 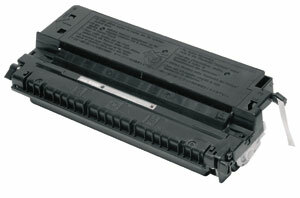 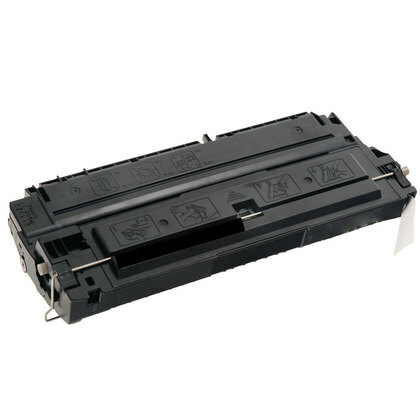 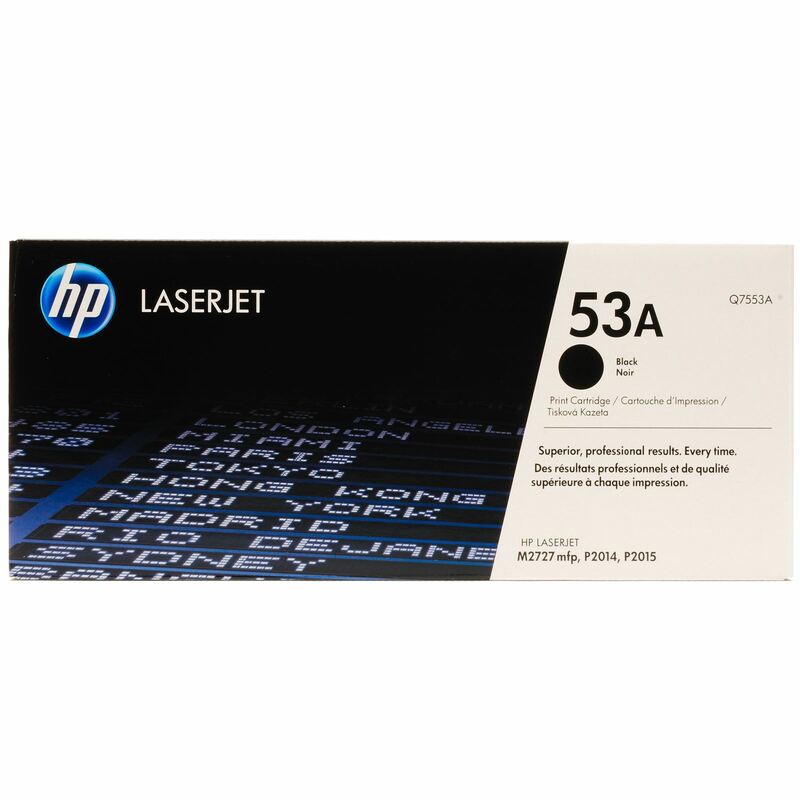 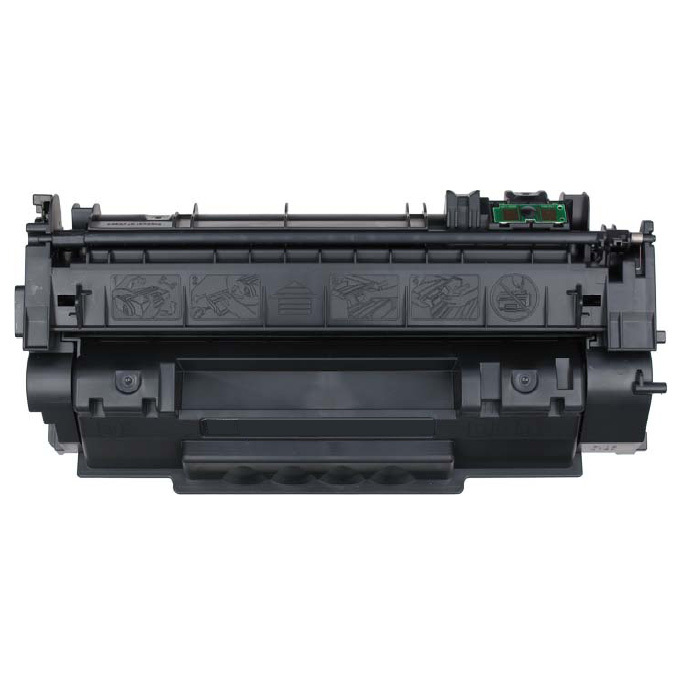 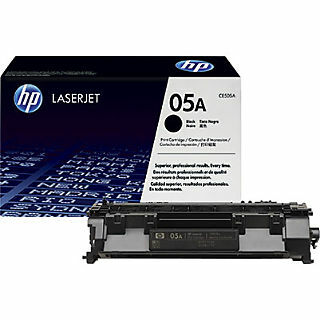 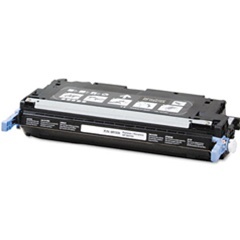 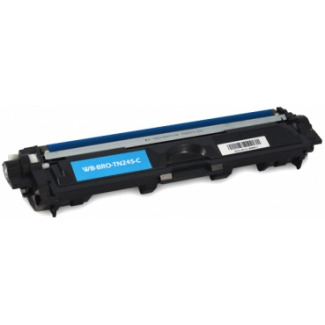 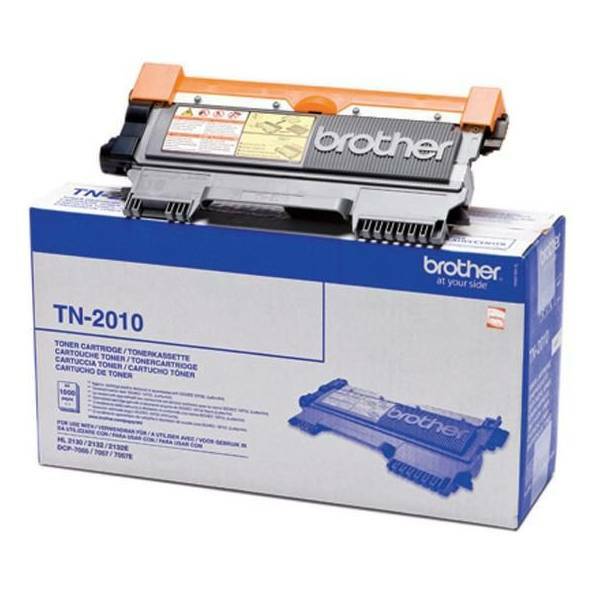 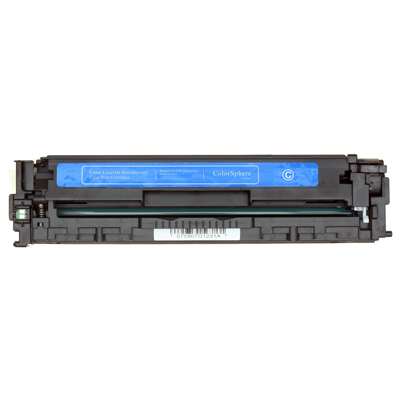 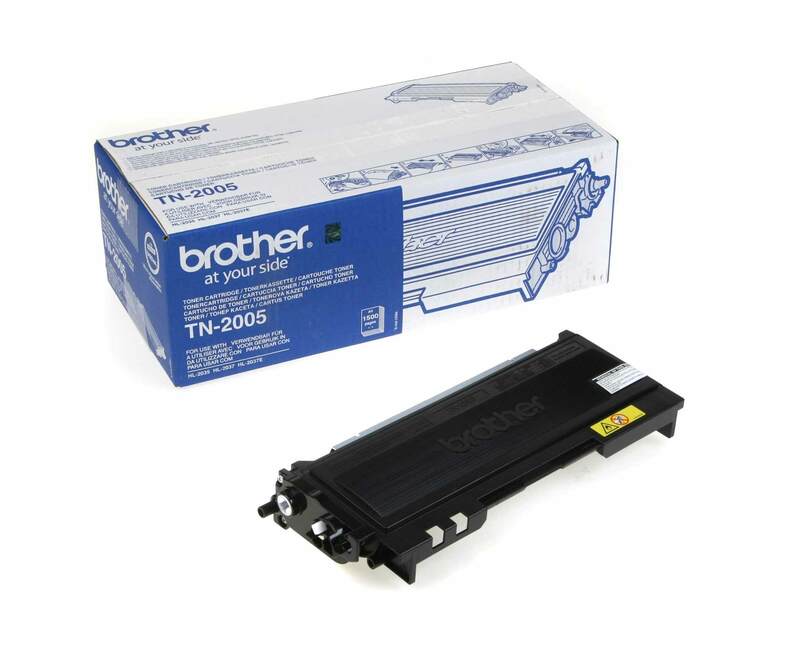 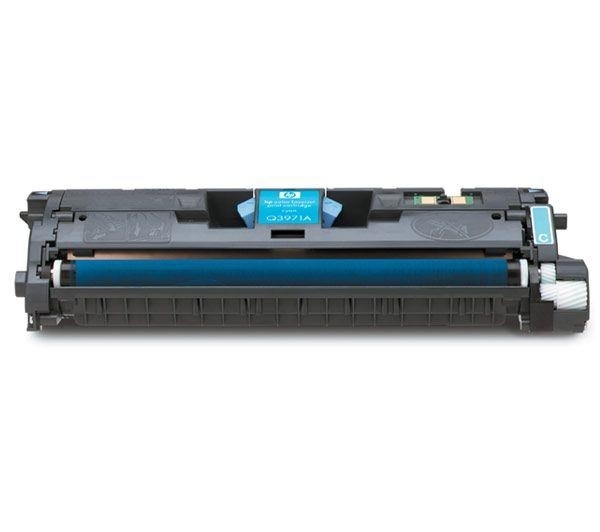 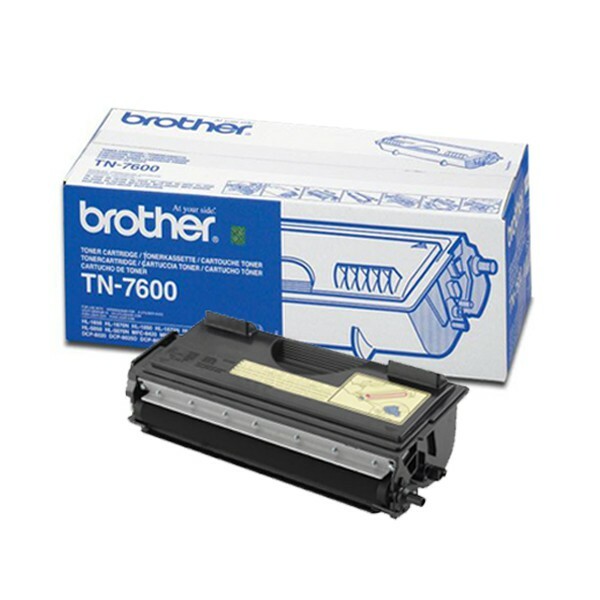 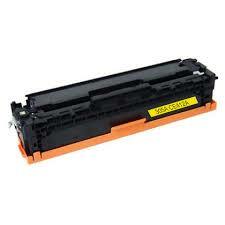 Toner Originale Nero per HP Laserjet 5200, 5200TN, 5200DTN. 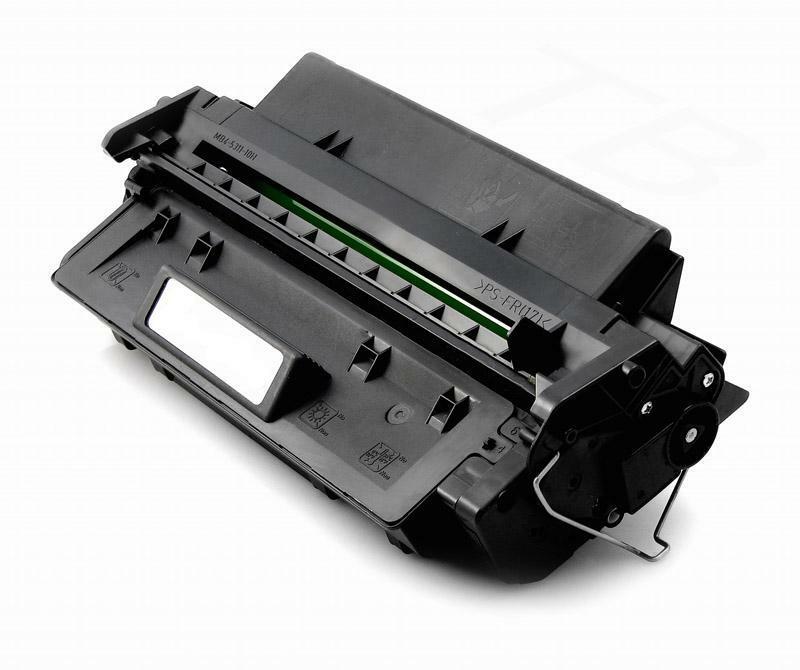 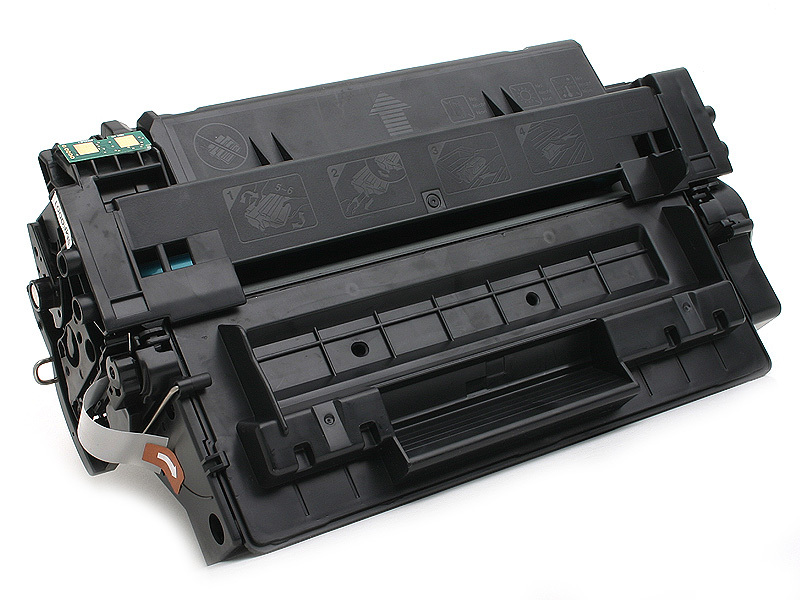 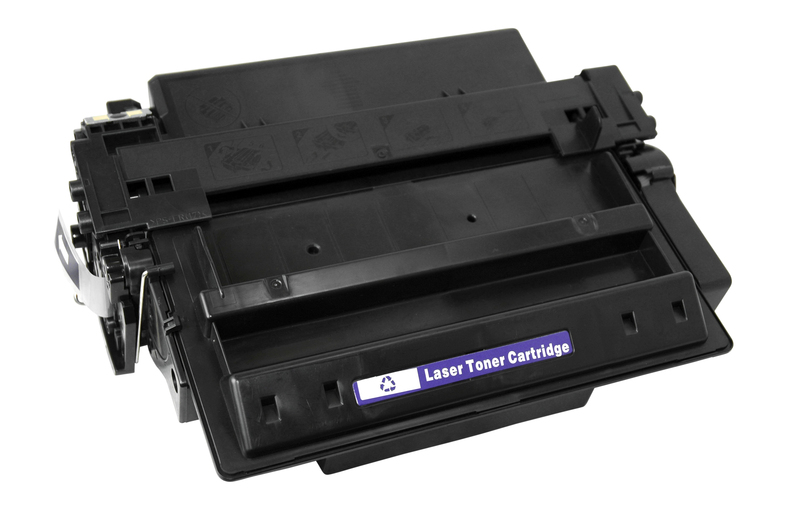 Toner Compatibile Nero per HP Laserjet P2014, P2015, P2015D, P2015N, P2015X. 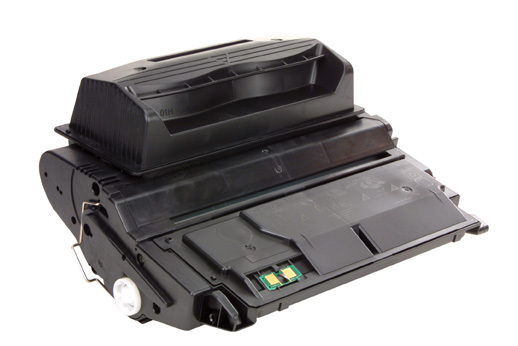 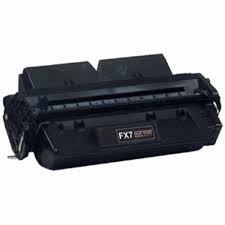 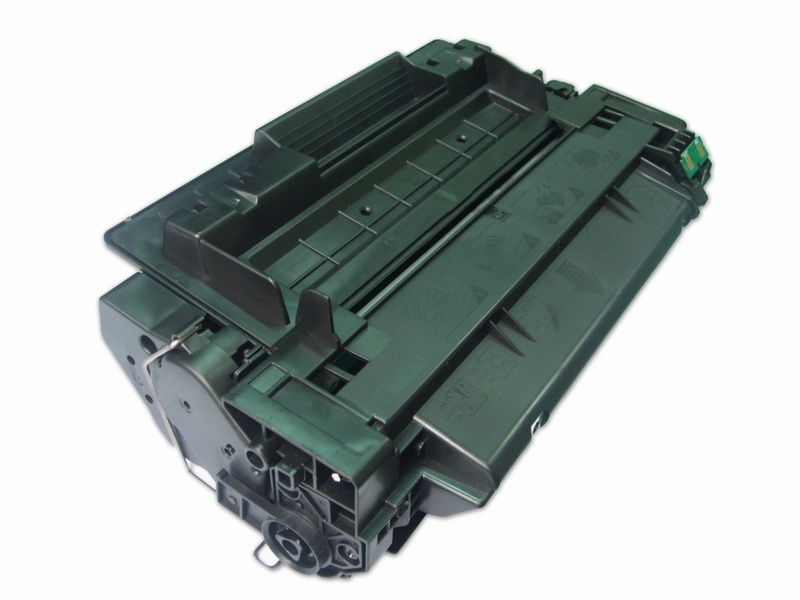 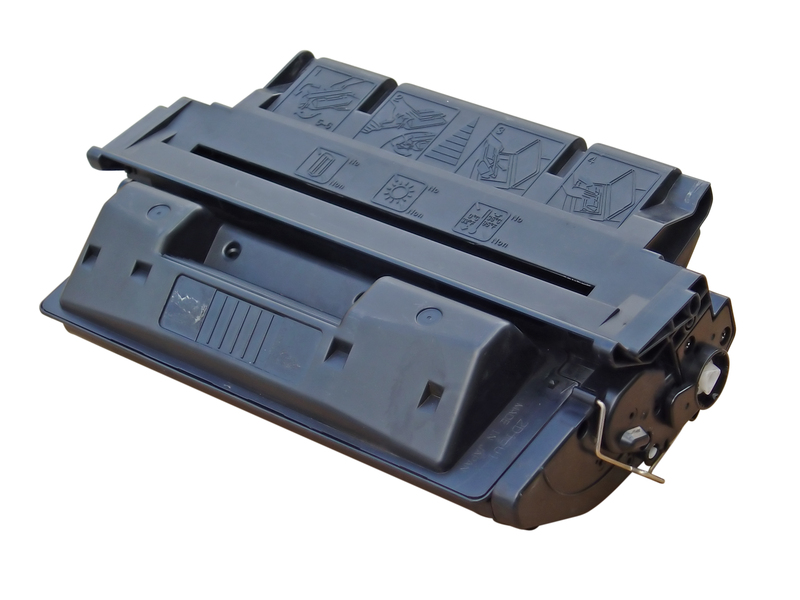 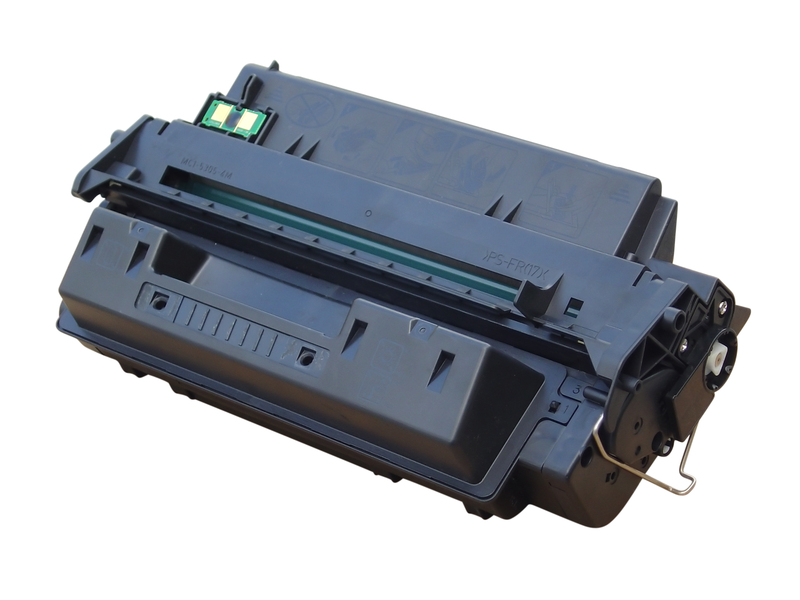 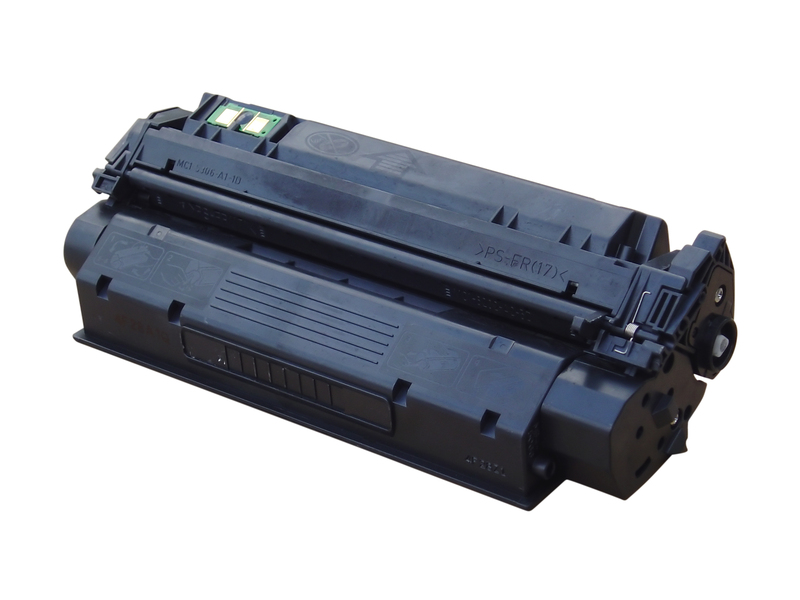 Toner Originale Nero per HP Laserjet P2014, P2015, P2015D, P2015N, P2015X. 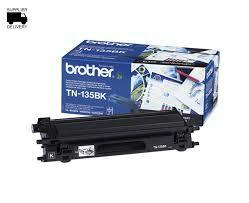 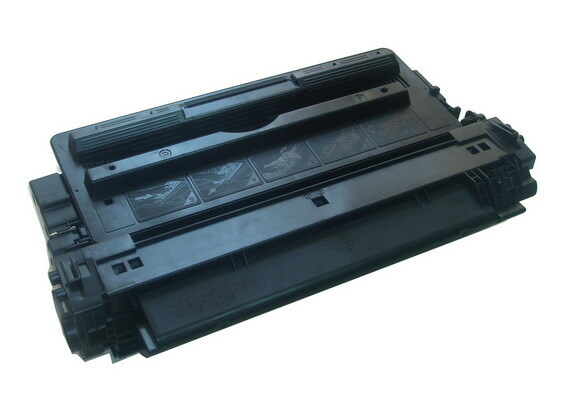 Toner Originale Nero per HP Color Laserjet CM 1312, CP 1215, CP 1515N, CP 1518, CM 1312nfi. 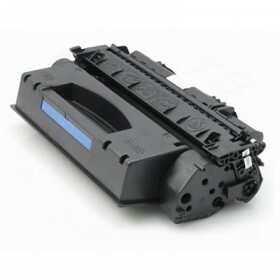 Toner Compatibile Nero per HP Color Laserjet CM 1312, CP 1215, CP 1515N, CP 1518, CM 1312nfi. 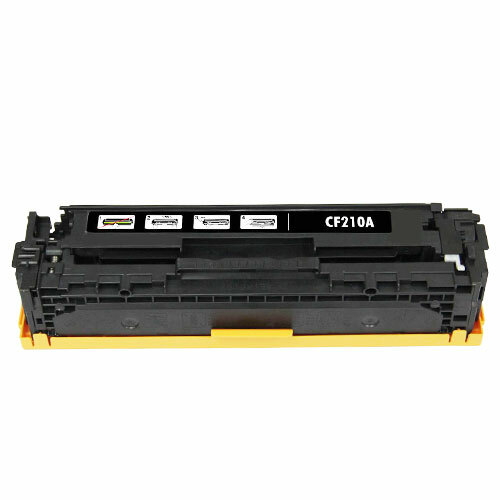 Toner Compatibile Ciano per HP Color Laserjet CM 1312, CP 1215, CP 1515N, CP 1518, CM 1312nfi. 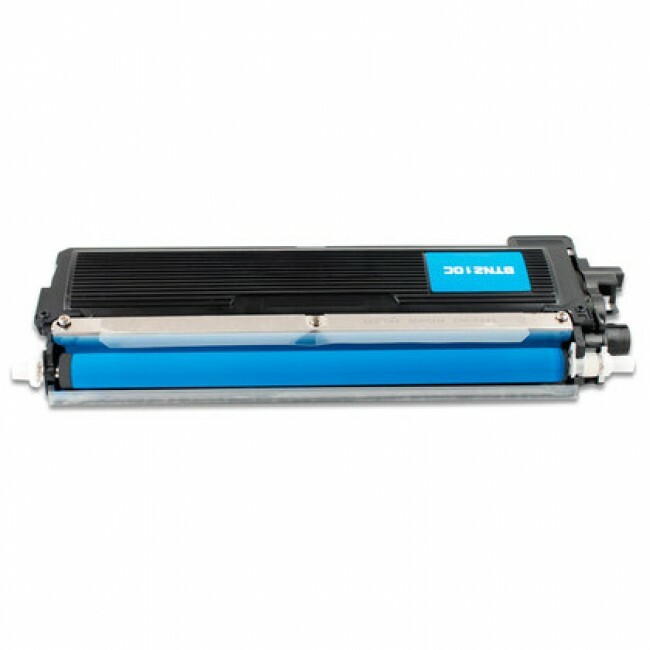 Toner Originale Ciano per HP Color Laserjet CM 1312, CP 1215, CP 1515N, CP 1518, CM 1312nfi. 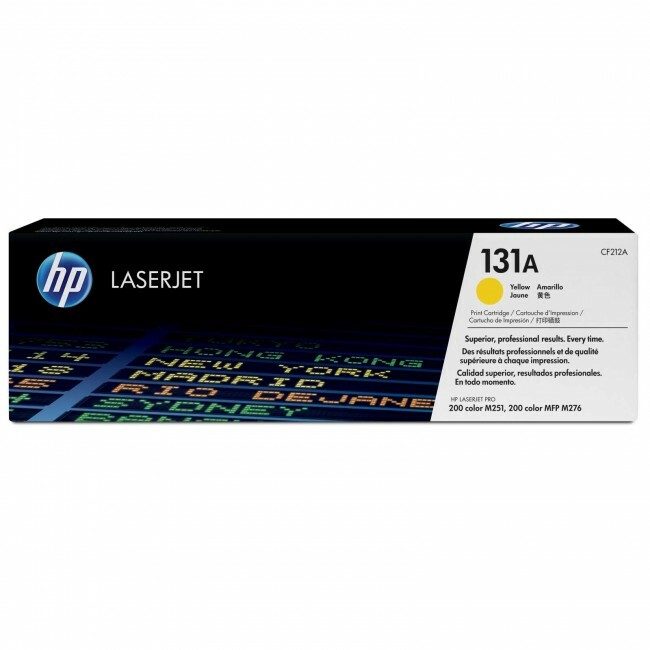 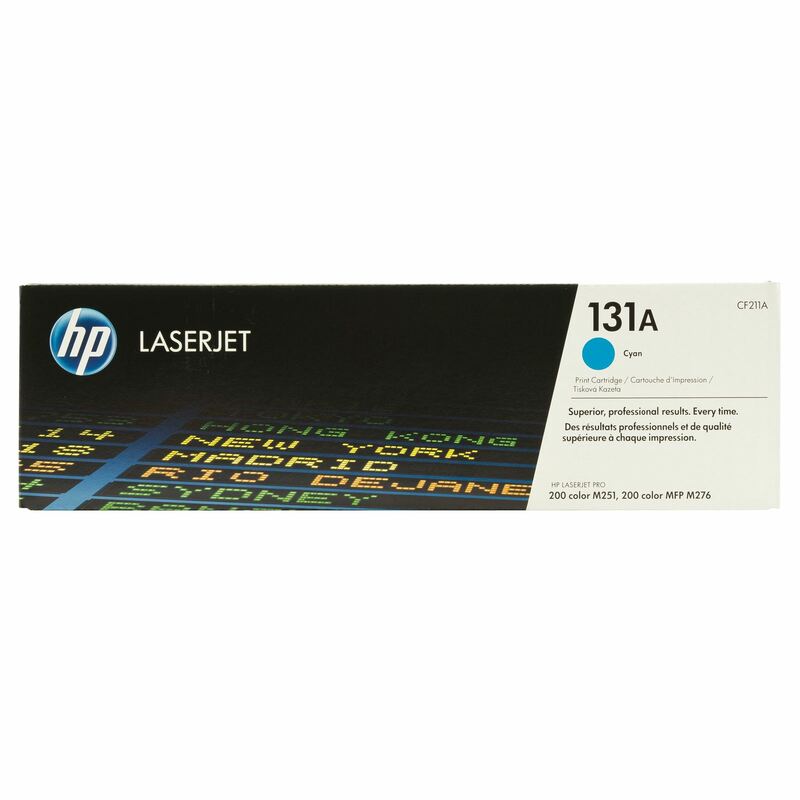 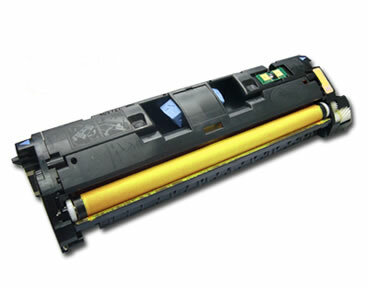 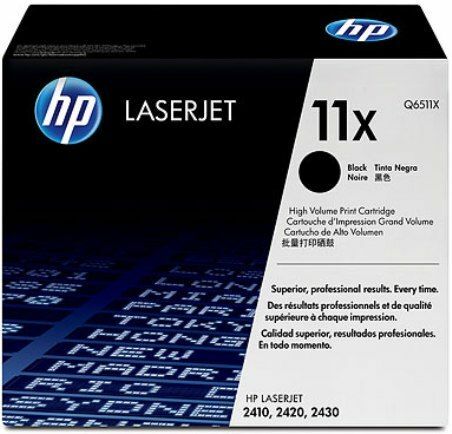 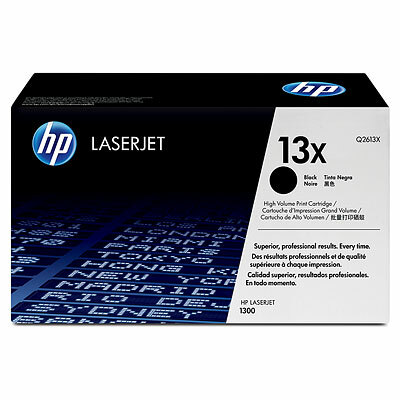 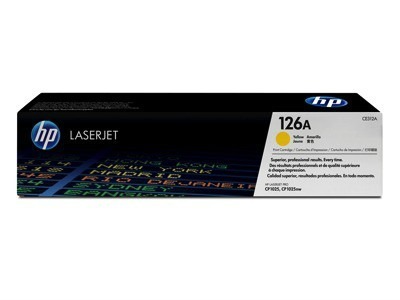 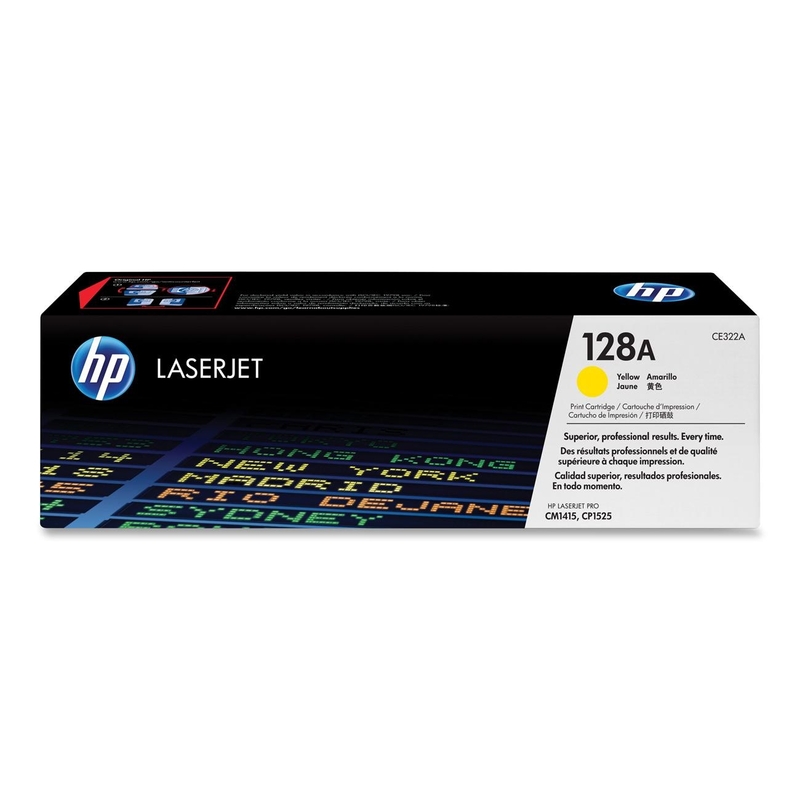 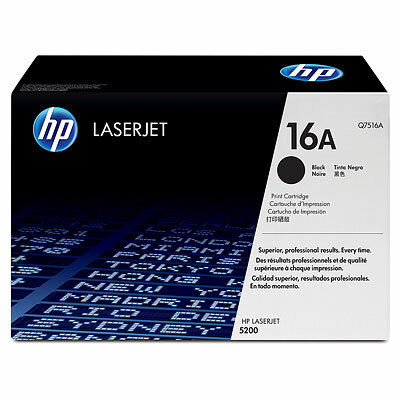 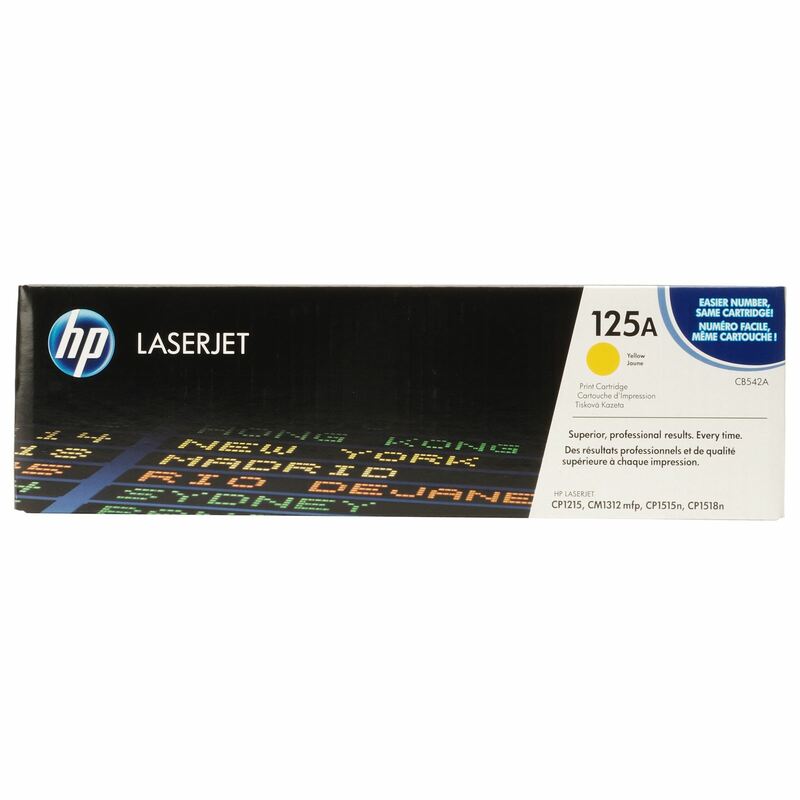 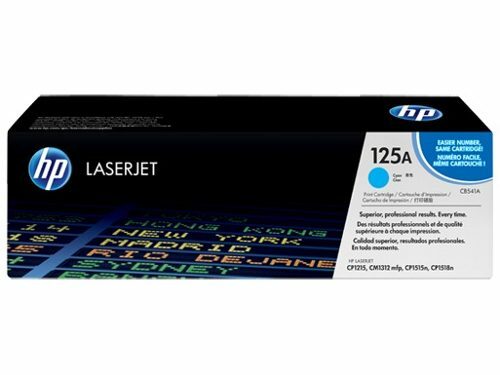 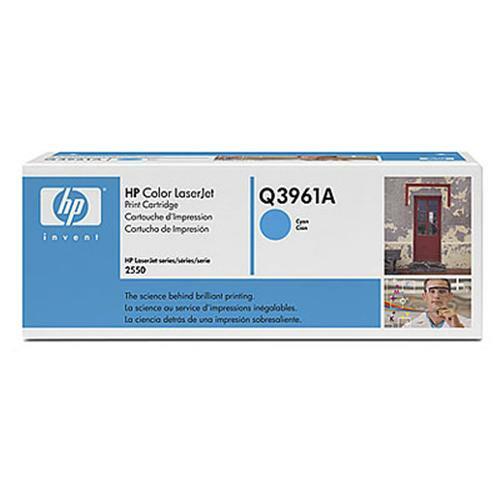 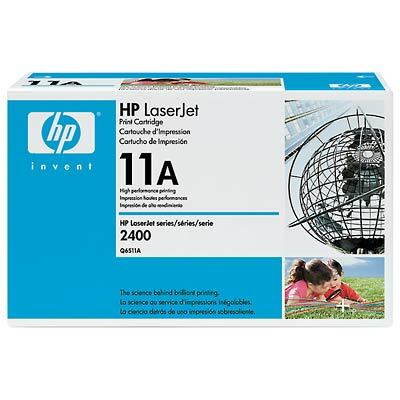 Toner Compatibile Giallo per HP Color Laserjet CM 1312, CP 1215, CP 1515N, CP 1518, CM 1312nfi. 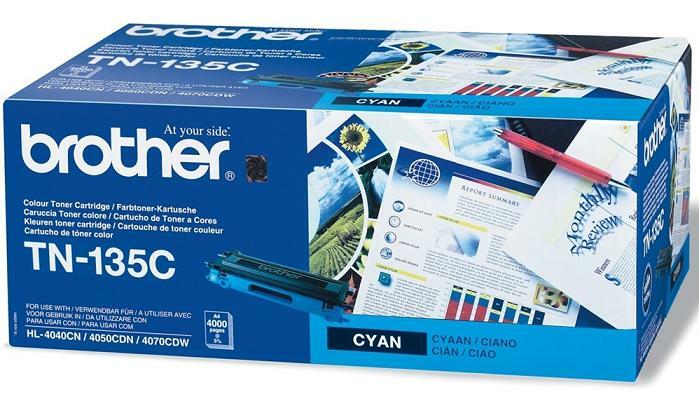 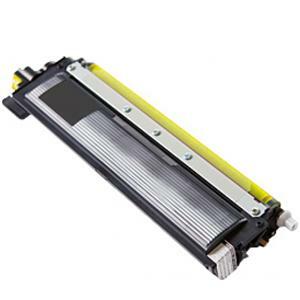 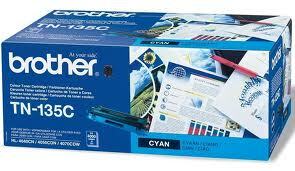 Toner Originale Giallo per HP Color Laserjet CM 1312, CP 1215, CP 1515N, CP 1518, CM 1312nfi. 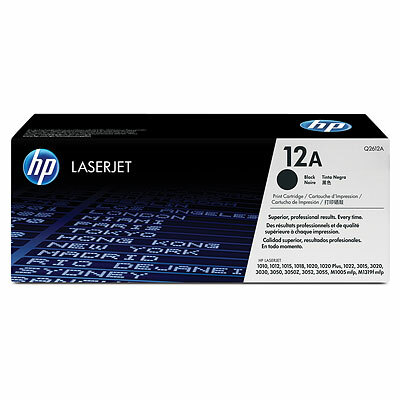 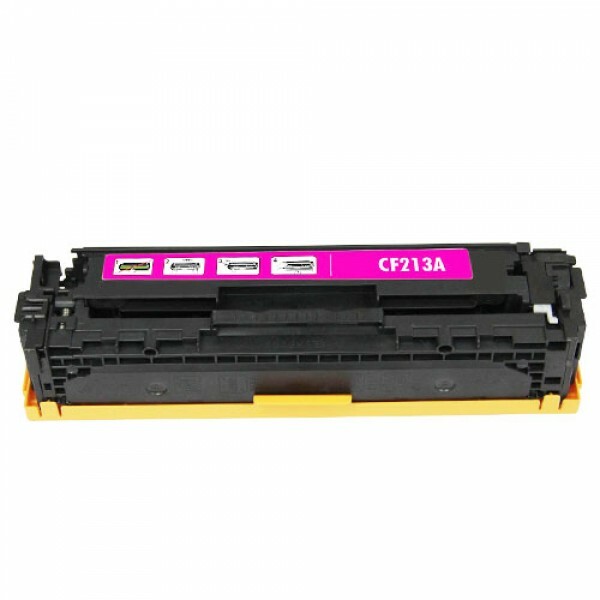 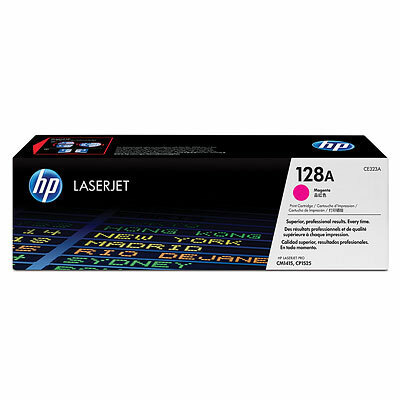 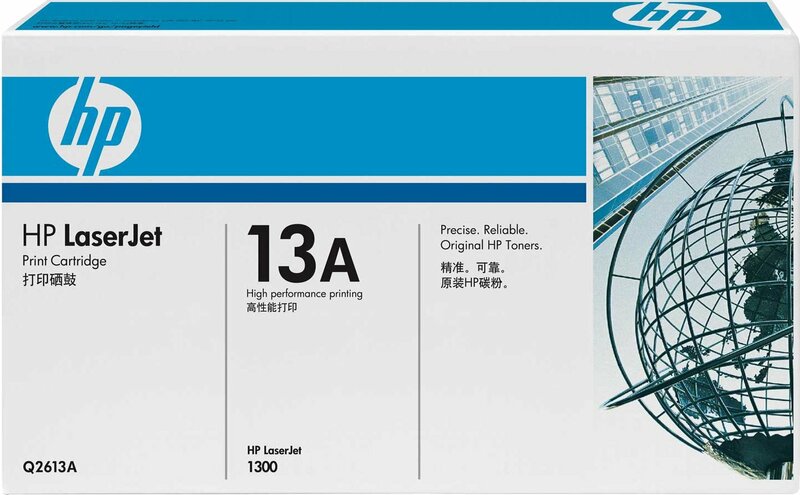 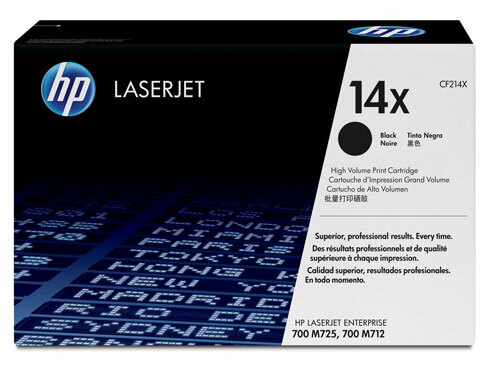 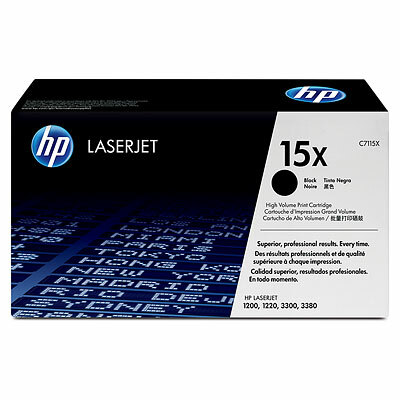 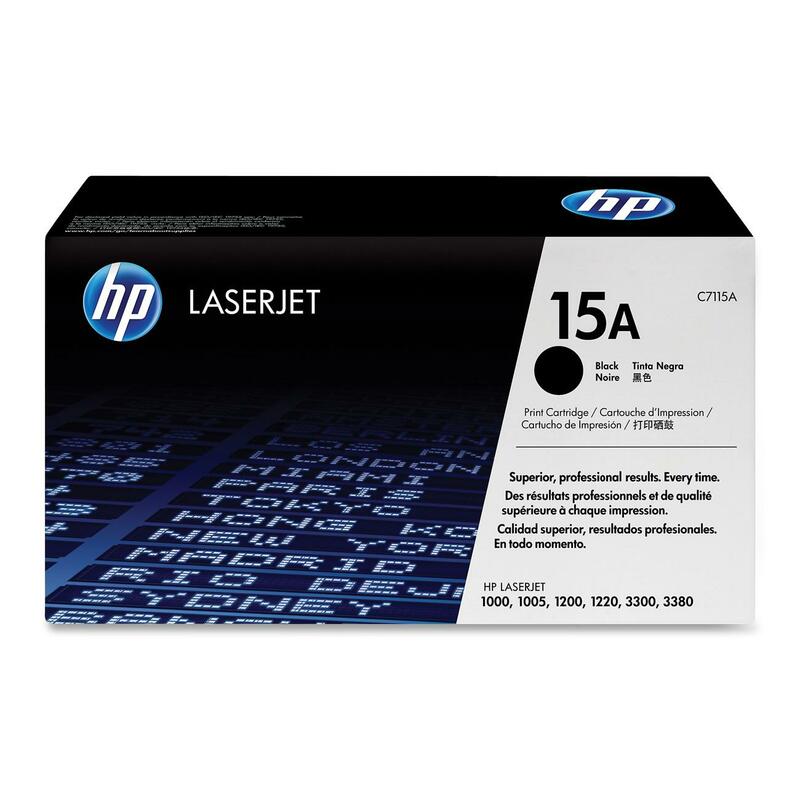 Toner Compatibile Magenta per HP Color Laserjet CM 1312, CP 1215, CP 1515N, CP 1518, CM 1312nfi. 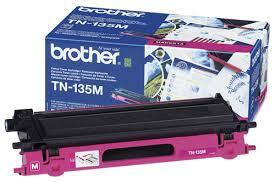 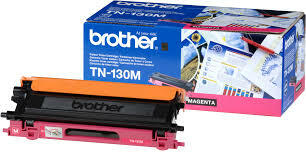 Toner Originale Magenta per HP Color Laserjet CM 1312, CP 1215, CP 1515N, CP 1518, CM 1312nfi. 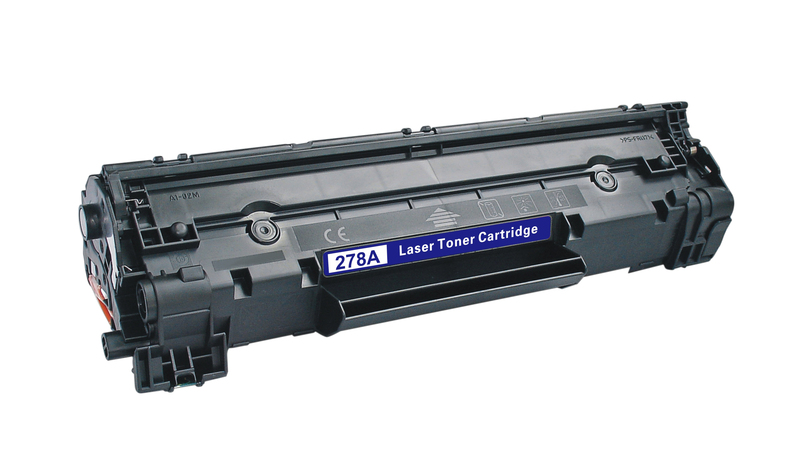 Toner Compatibile Nero per HP Color Laserjet CP 2025N, CP 2025 DN, CM 2320 NF, CM 2320NXI. 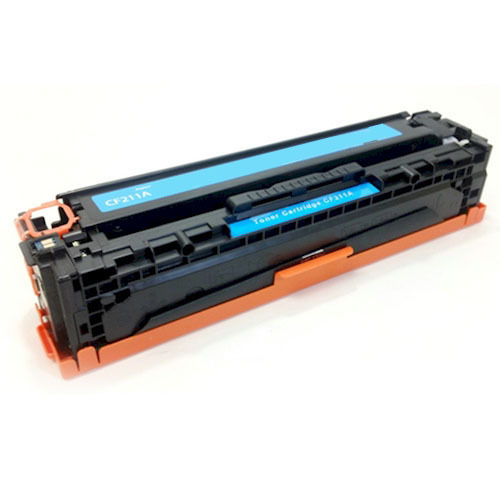 Toner Originale Nero per HP Color Laserjet CP 2025N, CP 2025 DN, CM 2320 NF, CM 2320NXI. 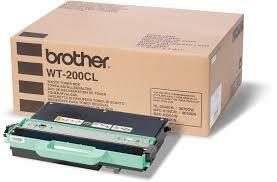 Toner Compatibile Ciano per HP Color Laserjet CP 2025N, CP 2025 DN, CM 2320 NF, CM 2320NXI. Toner Originale Ciano per HP Color Laserjet CP 2025N, CP 2025 DN, CM 2320 NF, CM 2320NXI. 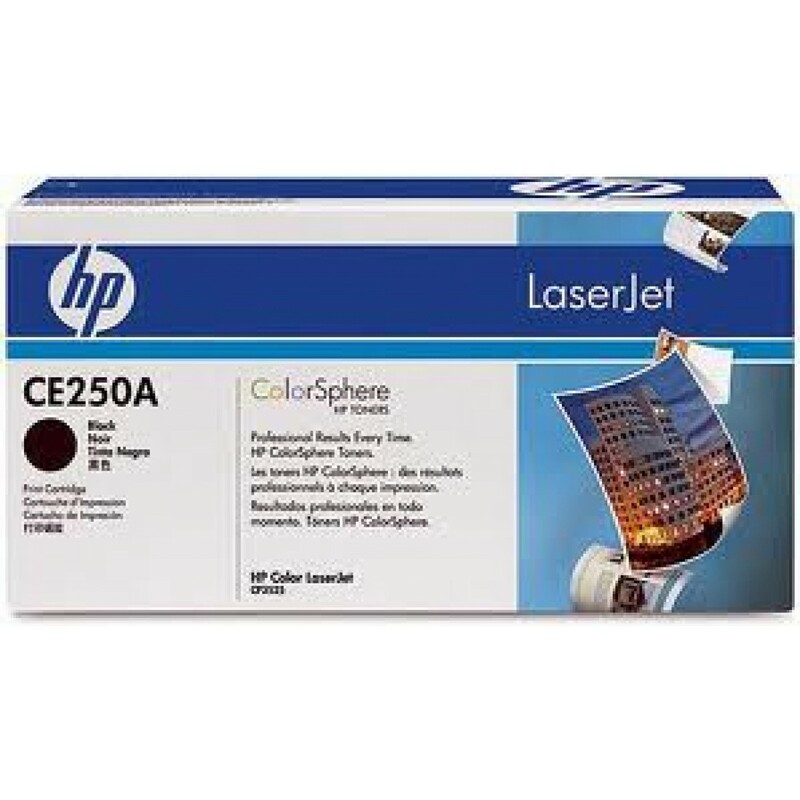 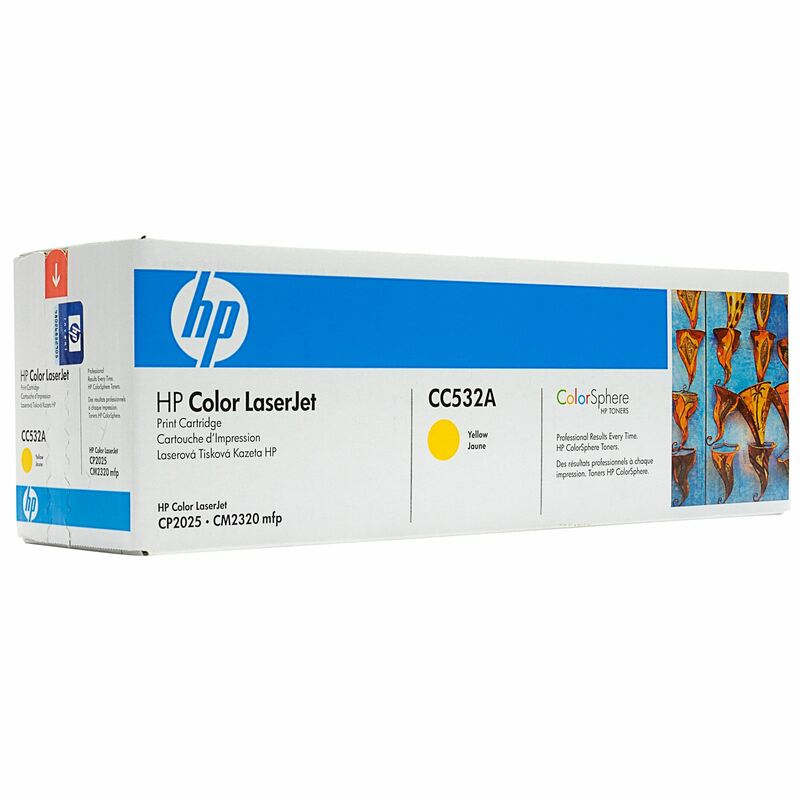 Toner Compatibile Giallo per HP Color Laserjet CP 2025N, CP 2025 DN, CM 2320 NF, CM 2320NXI. 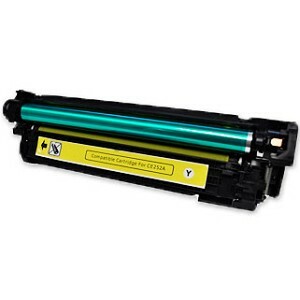 Toner Originale Giallo per HP Color Laserjet CP 2025N, CP 2025 DN, CM 2320 NF, CM 2320NXI. 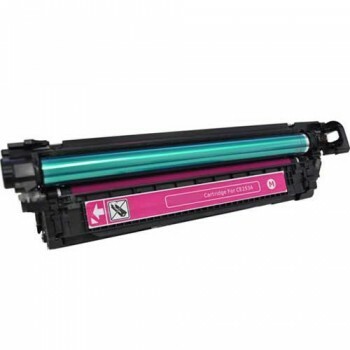 Toner Compatibile Magenta per HP Color Laserjet CP 2025N, CP 2025 DN, CM 2320 NF, CM 2320NXI. 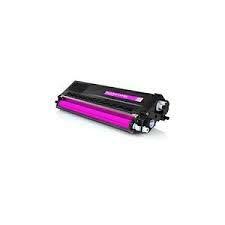 Toner Originale Magenta per HP Color Laserjet CP 2025N, CP 2025 DN, CM 2320 NF, CM 2320NXI. 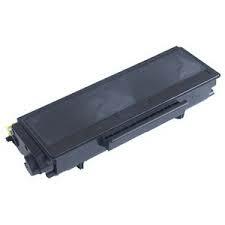 Toner Compatibile Nero per HP Laserjet Color CP 3525N, CP 3525 DN, CP 3525 X, CM 3530 FS, CM3530MFP. 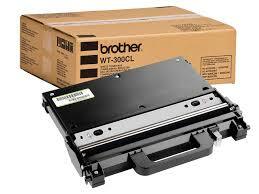 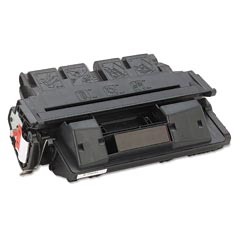 Toner Originale Nero per HP Laserjet Color CP 3525N, CP 3525 DN, CP 3525 X, CM 3530 FS, CM3530MFP. 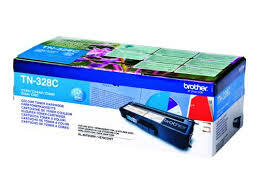 Toner Compatibile Ciano per HP Laserjet Color CP 3525N, CP 3525 DN, CP 3525 X, CM 3530 FS, CM3530MFP. 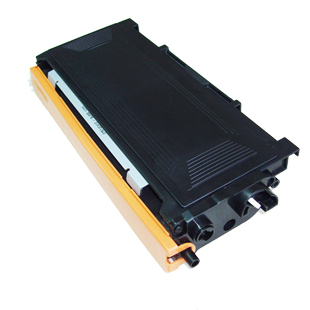 Toner Originale Ciano per HP Laserjet Color CP 3525N, CP 3525 DN, CP 3525 X, CM 3530 FS, CM3530MFP. 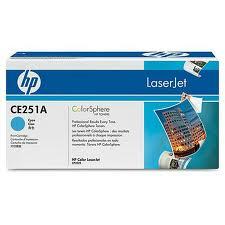 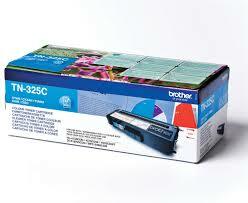 Toner Compatibile Giallo per HP Laserjet Color CP 3525N, CP 3525 DN, CP 3525 X, CM 3530 FS, CM3530MFP. 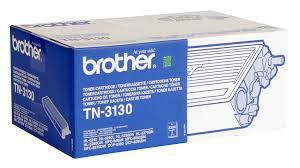 Toner Originale Giallo per HP Laserjet Color CP 3525N, CP 3525 DN, CP 3525 X, CM 3530 FS, CM3530MFP. 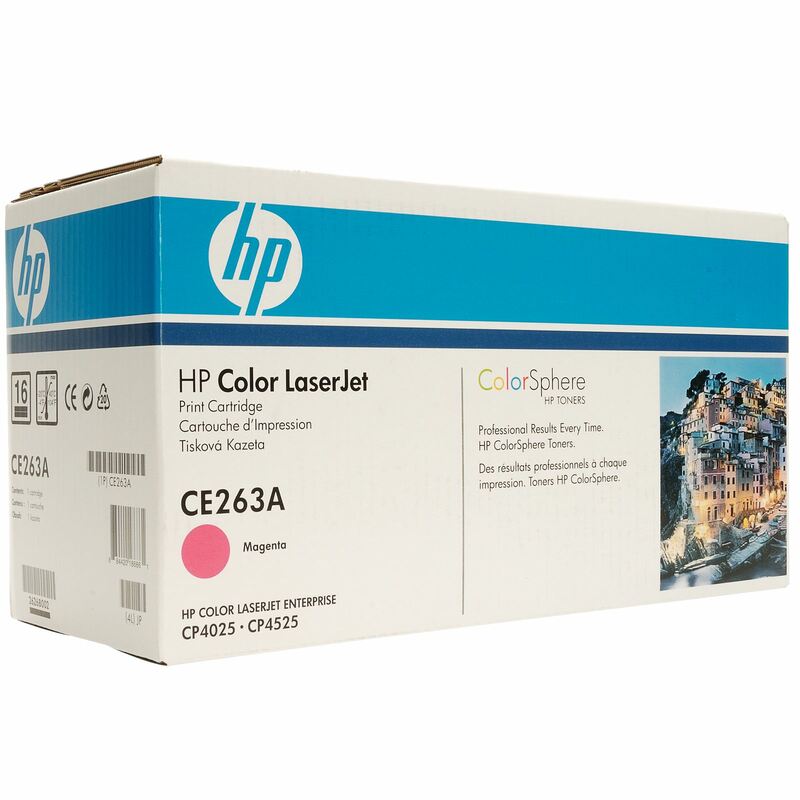 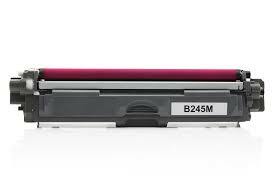 Toner Compatibile Magenta per HP Laserjet Color CP 3525N, CP 3525 DN, CP 3525 X, CM 3530 FS, CM3530MFP. 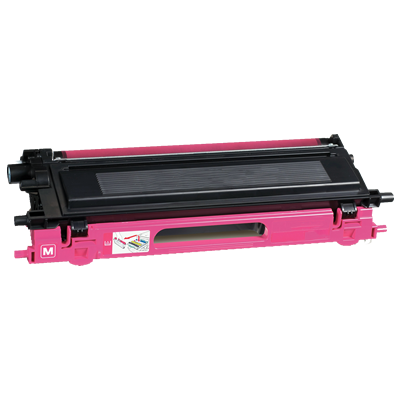 Toner Originale Magenta per HP Laserjet Color CP 3525N, CP 3525 DN, CP 3525 X, CM 3530 FS, CM3530MFP. 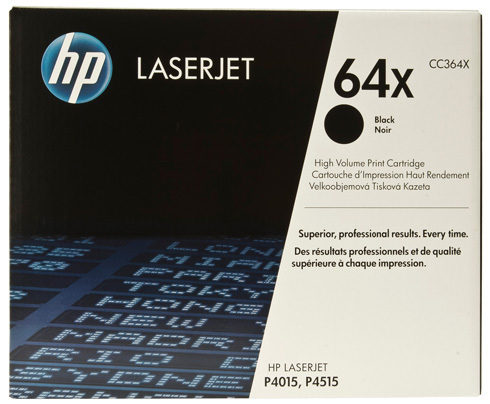 Toner Compatibile Nero per HP Laserjet Color CP4525DN, CP4525N, CP4525XH. 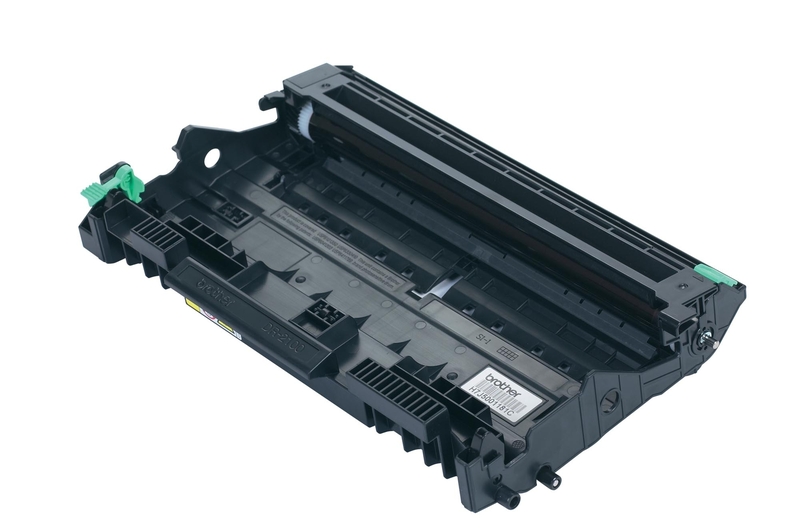 Toner Originale Nero per HP Laserjet Color CP4525DN, CP4525N, CP4525XH. 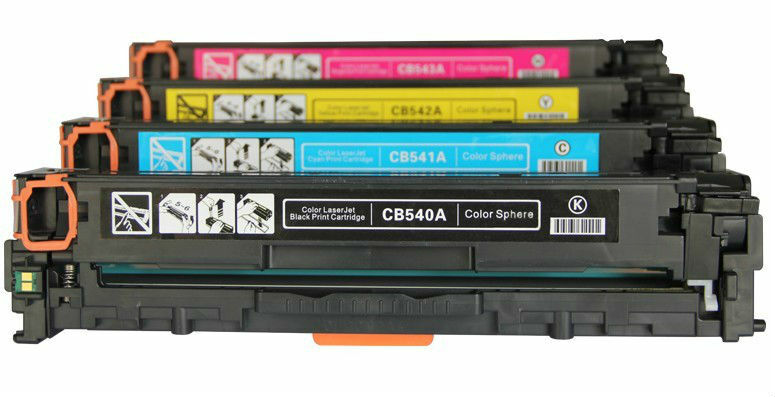 Toner Compatibile Ciano per HP Laserjet Color CP4525DN, CP4525N, CP4525XH. 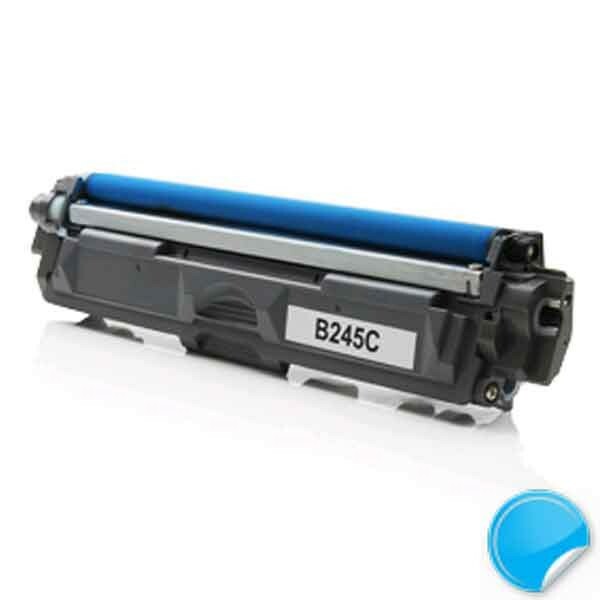 Toner Originale Ciano per HP Laserjet Color CP4525DN, CP4525N, CP4525XH. 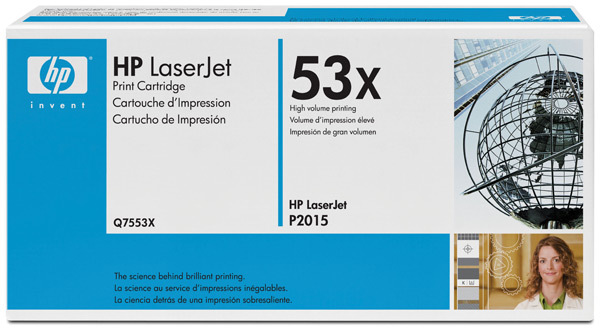 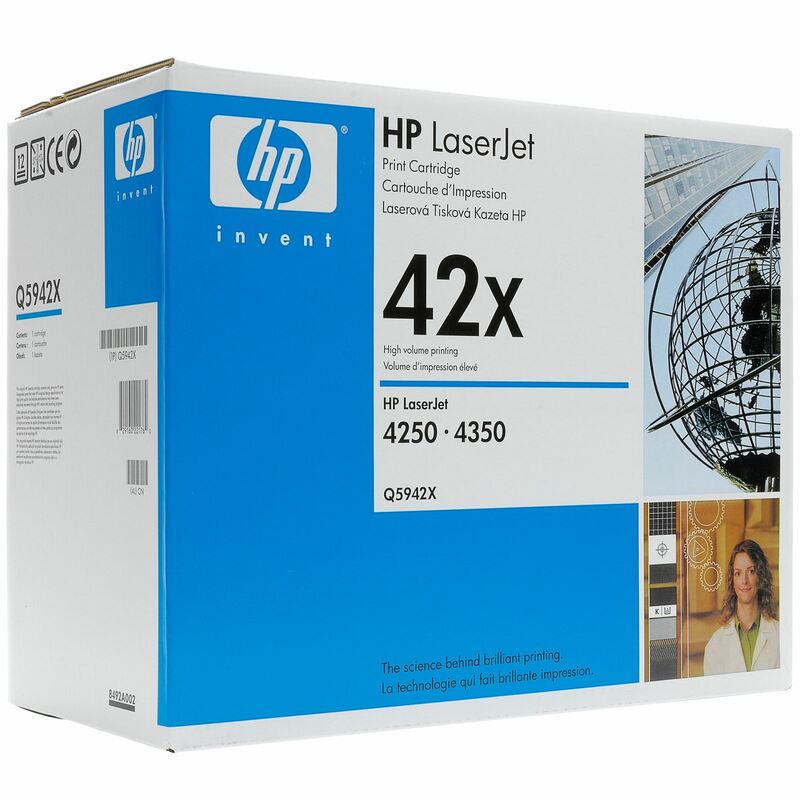 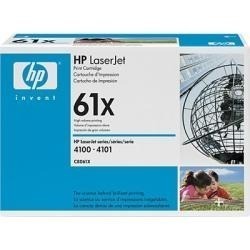 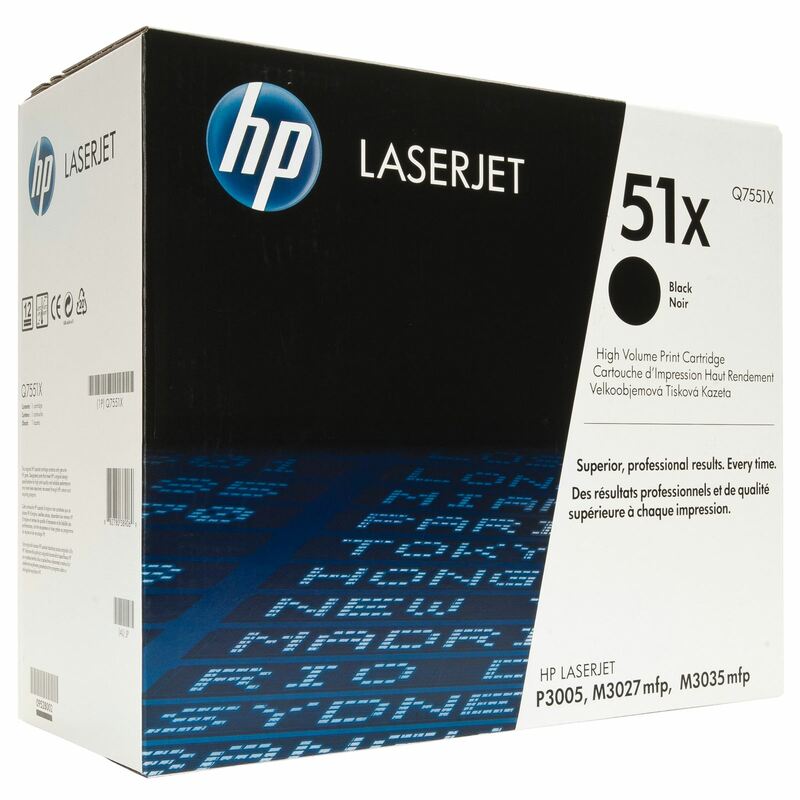 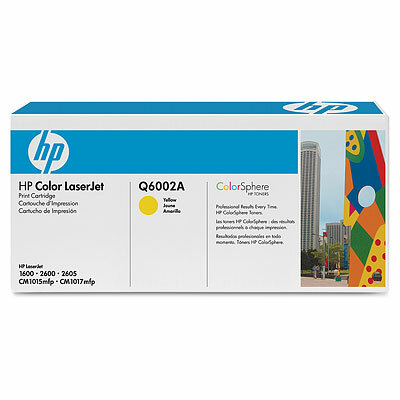 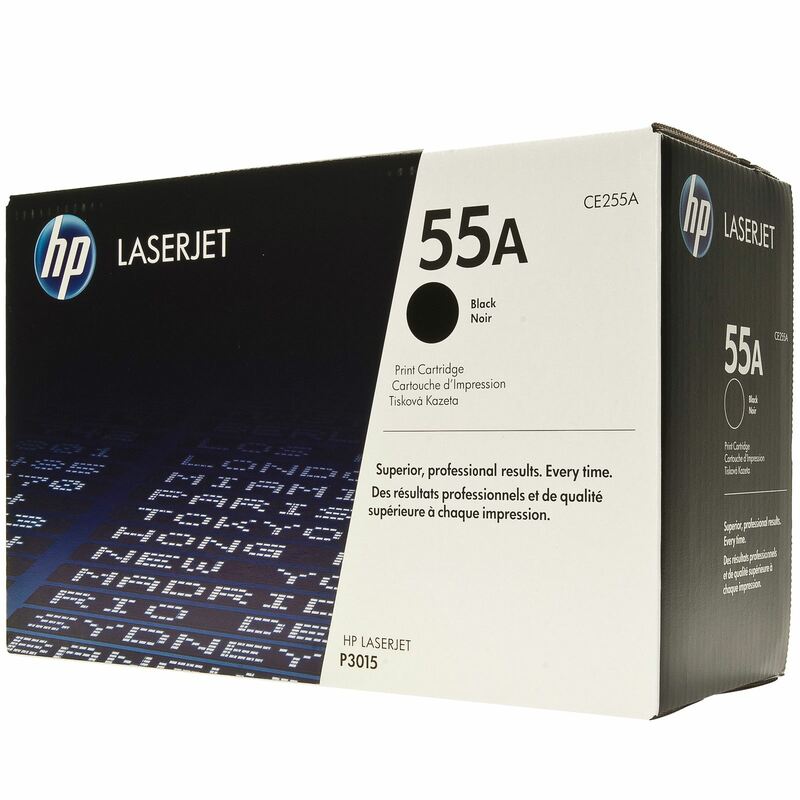 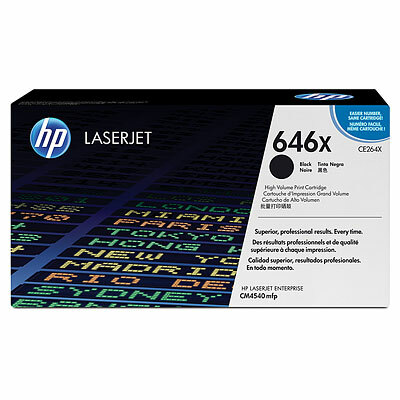 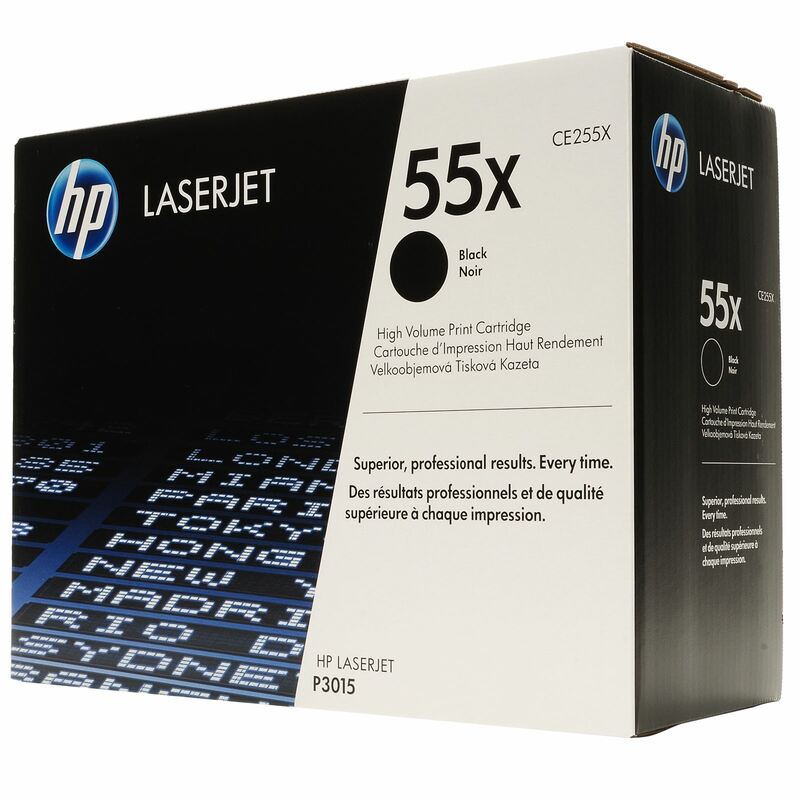 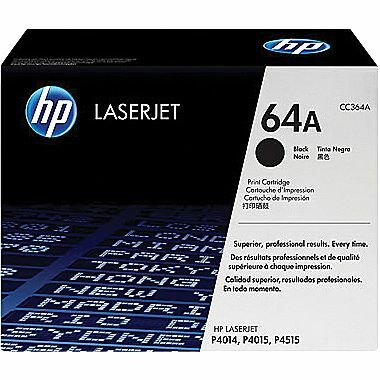 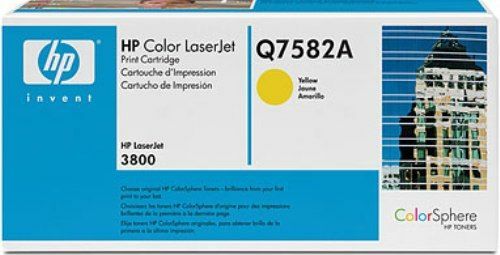 Toner Compatibile Giallo per HP Laserjet Color CP4525DN, CP4525N, CP4525XH. 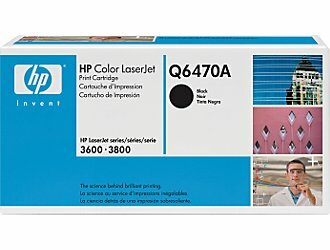 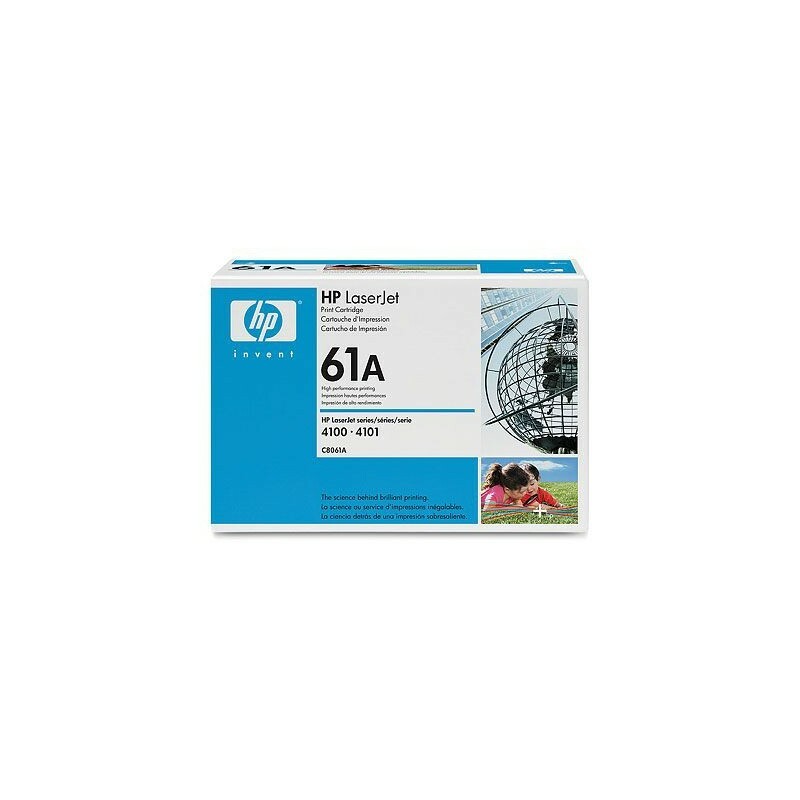 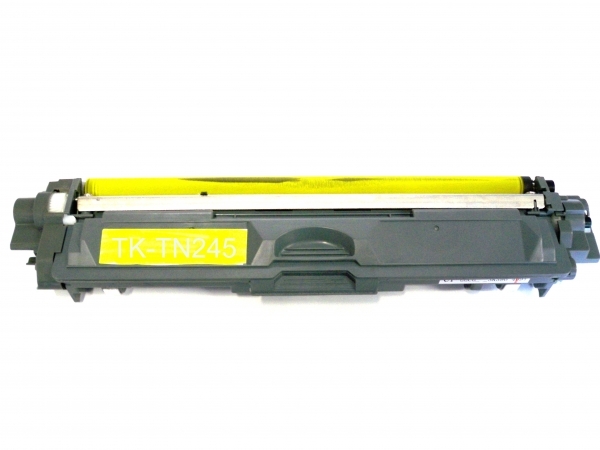 Toner Originale Giallo per HP Laserjet Color CP4525DN, CP4525N, CP4525XH. Toner Compatibile Magenta per HP Laserjet Color CP4525DN, CP4525N, CP4525XH. 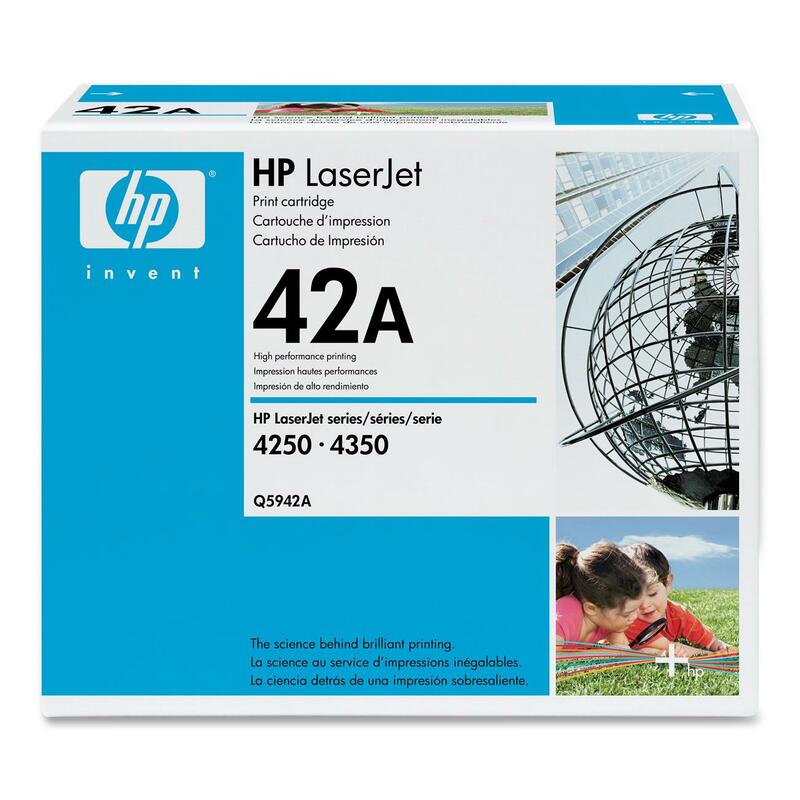 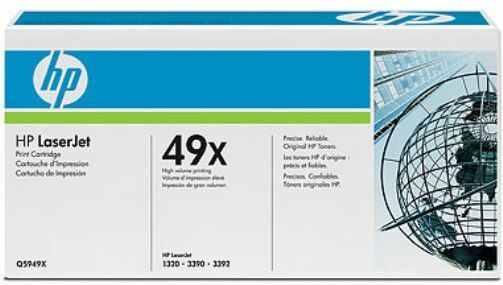 Toner Originale Magenta per HP Laserjet Color CP4525DN, CP4525N, CP4525XH. 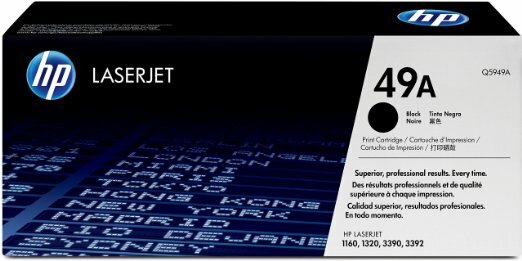 Toner Compatibile Nero per HP Laserjet Enterprise Color CM4540 MFP, CM4540F MFP, CM4540FSKM MFP. 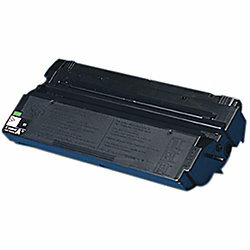 Toner Originale Nero per HP Laserjet Enterprise Color CM4540 MFP, CM4540F MFP, CM4540FSKM MFP. 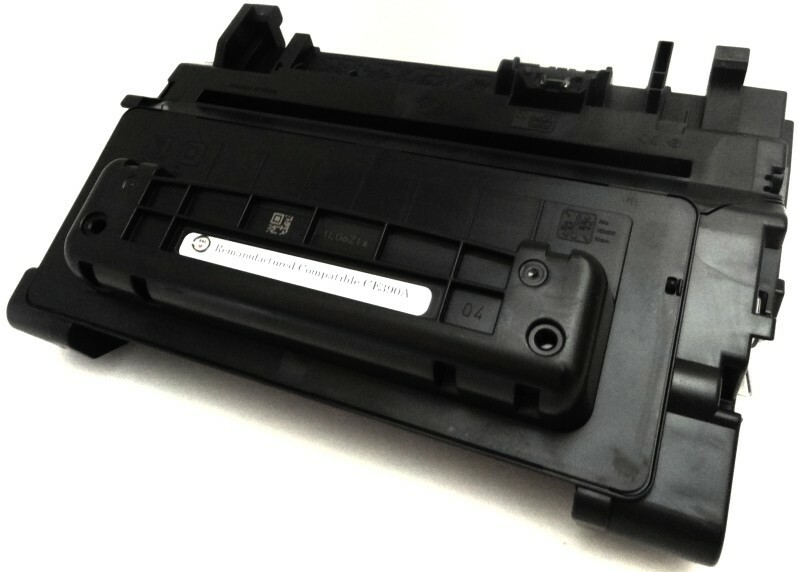 Toner Compatibile Nero per HP Laserjet Pro CP1025, CP1025NW. 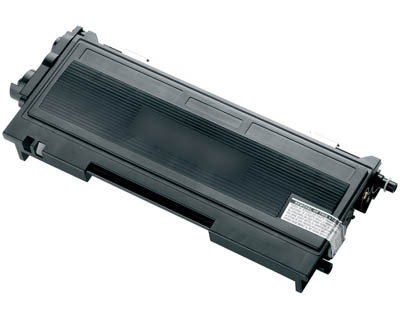 Toner Originale Nero per HP Laserjet Pro CP1025, CP1025NW. 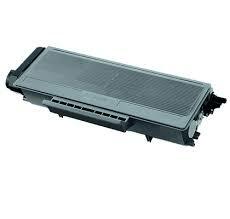 Toner Compatibile Ciano per HP Laserjet Pro CP1025, CP1025NW. Toner Originale Ciano per HP Laserjet Pro CP1025, CP1025NW. 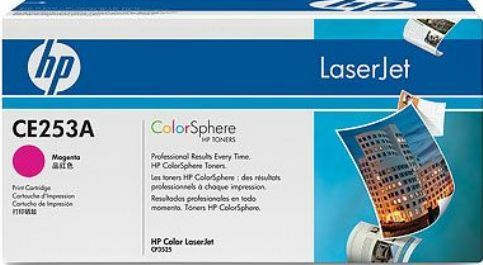 Toner Compatibile Giallo per HP Laserjet Pro CP1025, CP1025NW. 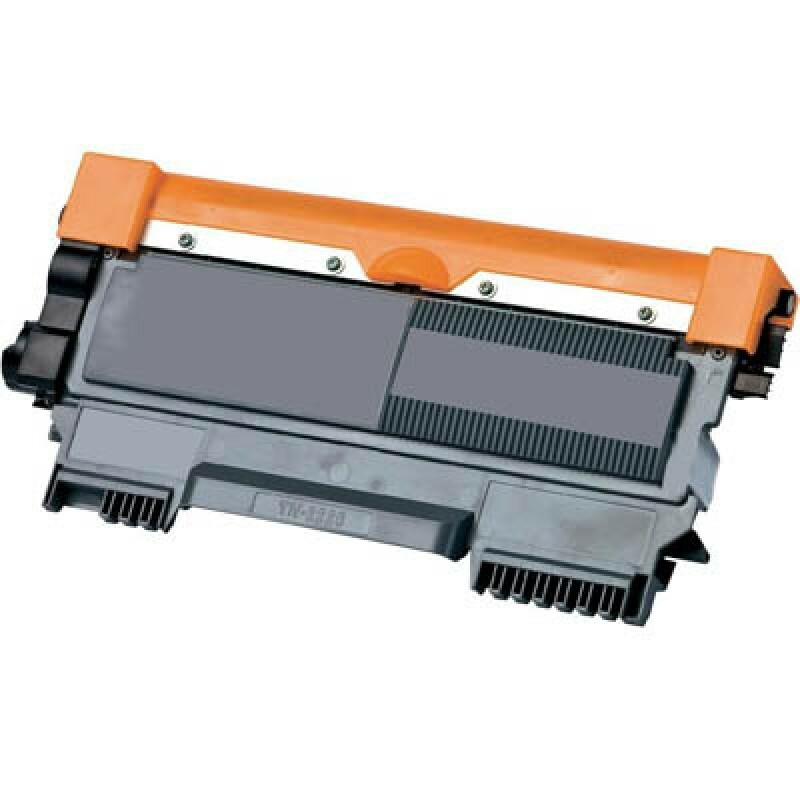 Toner Originale Giallo per HP Laserjet Pro CP1025, CP1025NW. 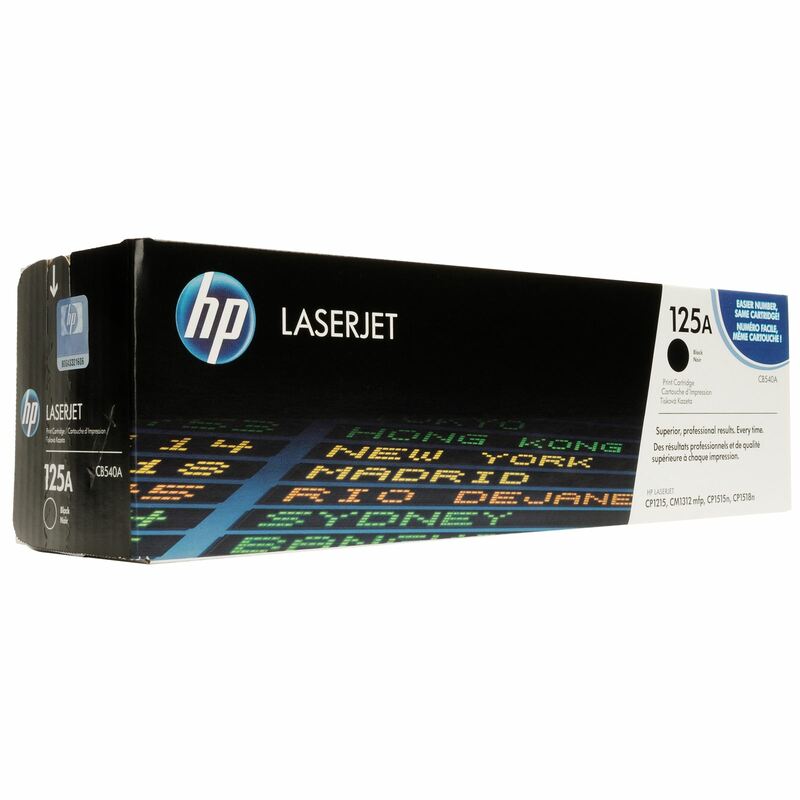 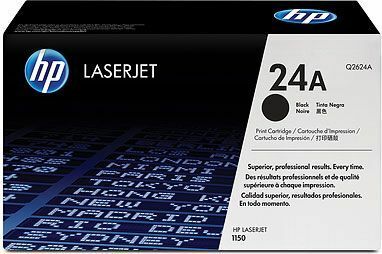 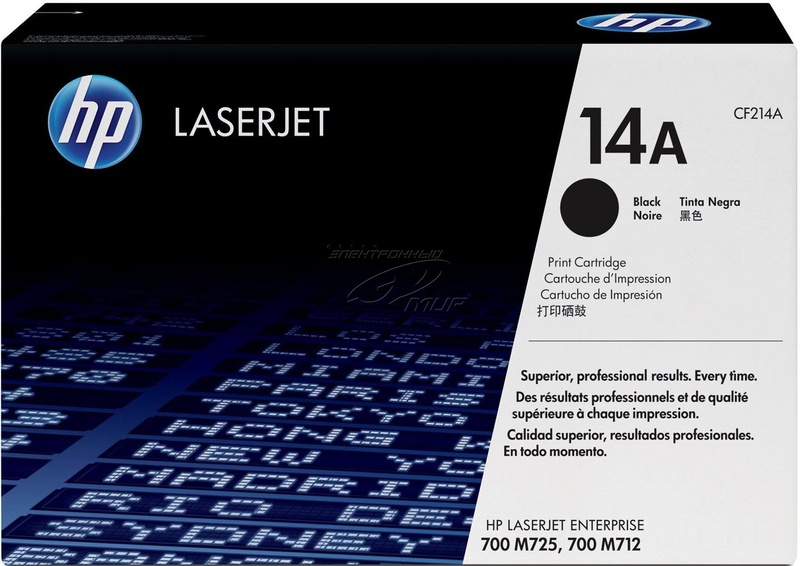 Toner Compatibile Magenta per HP Laserjet Pro CP1025, CP1025NW. 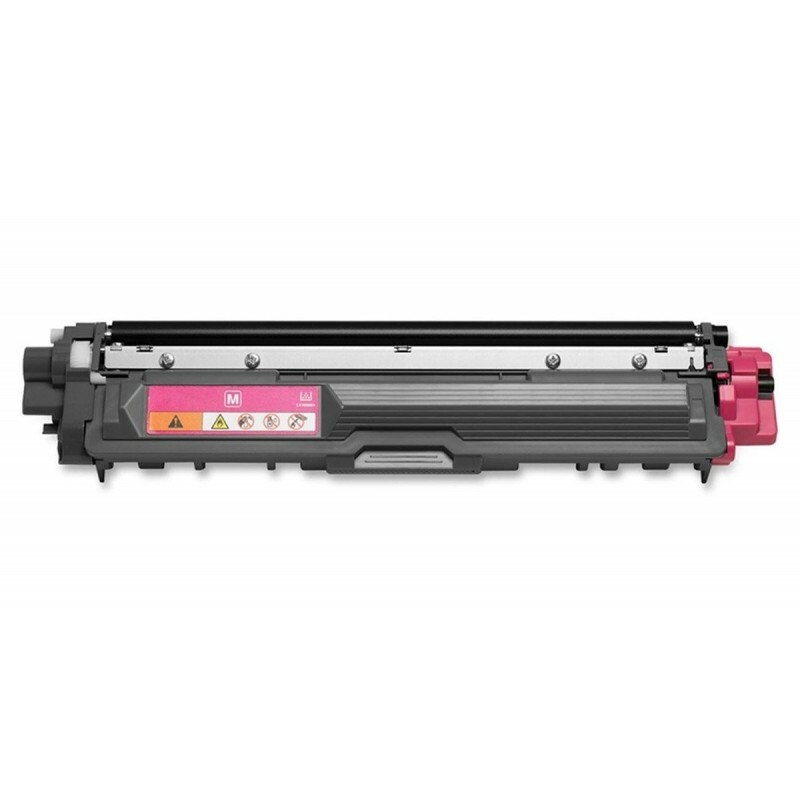 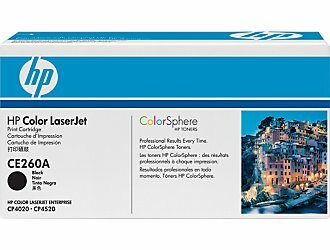 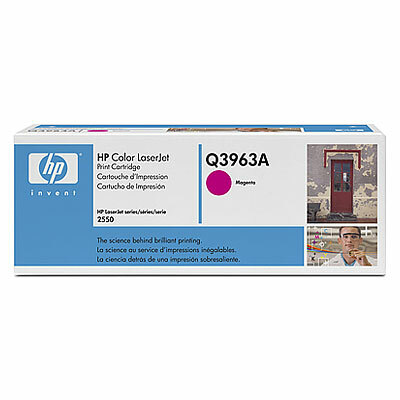 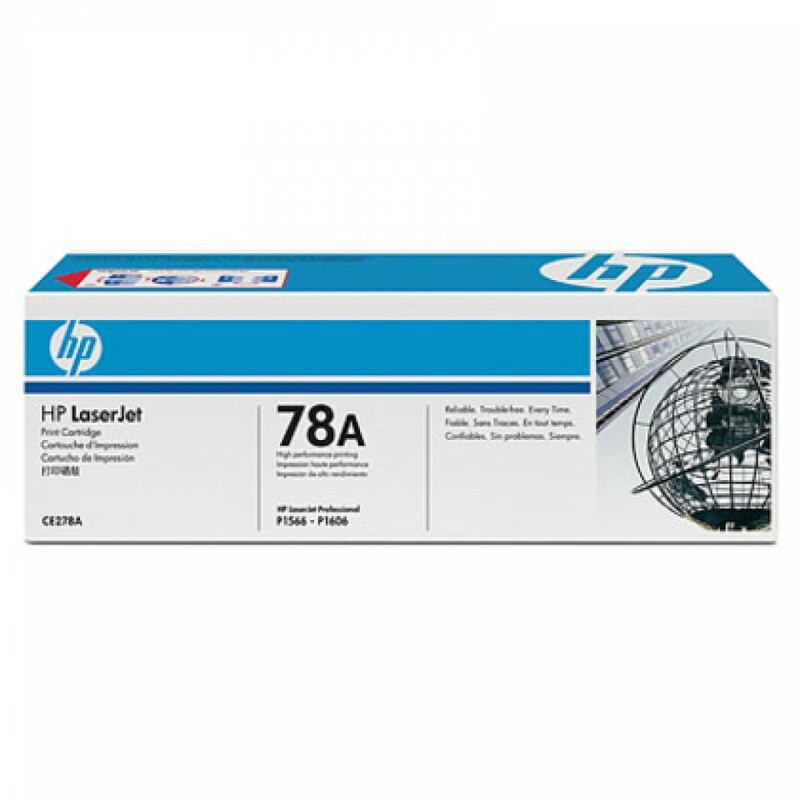 Toner Originale Magenta per HP Laserjet Pro CP1025, CP1025NW. 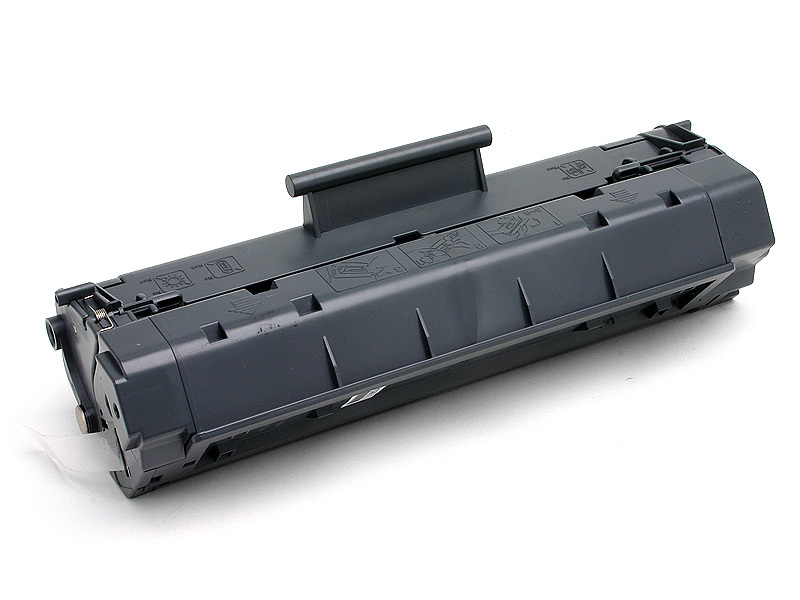 Toner Compatibile Nero per HP Laserjet Pro CP1525N, CP1525NW, CM1415FNW, CM1415FN. 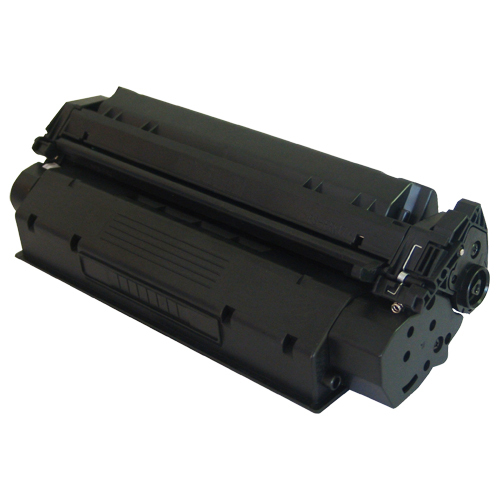 Toner Originale Nero per HP Laserjet Pro CP1525N, CP1525NW, CM1415FNW, CM1415FN. 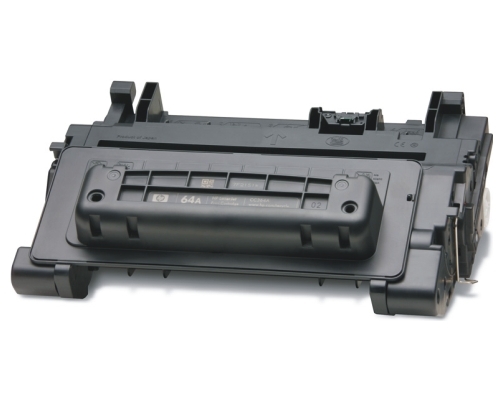 Toner Compatibile Ciano per HP Laserjet Pro CP1525N, CP1525NW, CM1415FNW, CM1415FN. 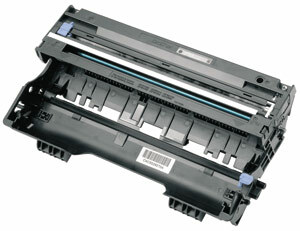 Toner Originale Ciano per HP Laserjet Pro CP1525N, CP1525NW, CM1415FNW, CM1415FN. Toner Compatibile Giallo per HP Laserjet Pro CP1525N, CP1525NW, CM1415FNW, CM1415FN. 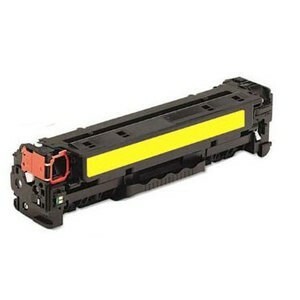 Toner Originale Giallo per HP Laserjet Pro CP1525N, CP1525NW, CM1415FNW, CM1415FN. 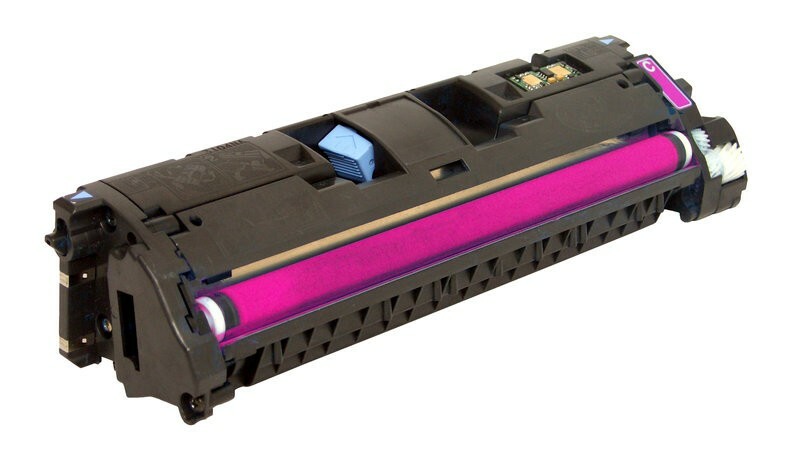 Toner Compatibile Magenta per HP Laserjet Pro CP1525N, CP1525NW, CM1415FNW, CM1415FN. Toner Originale Magenta per HP Laserjet Pro CP1525N, CP1525NW, CM1415FNW, CM1415FN. 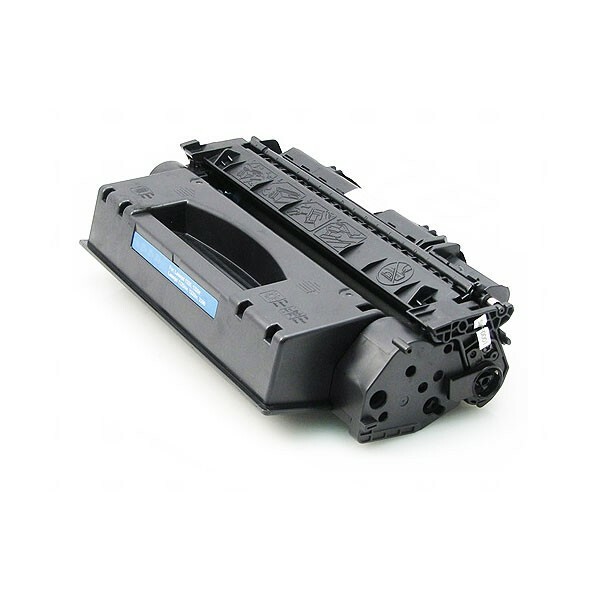 Toner Compatibile Nero per HP Laserjet Enterprise M602N, M602DN, M602X, M603DN, M603N. 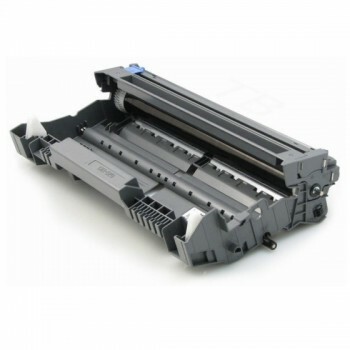 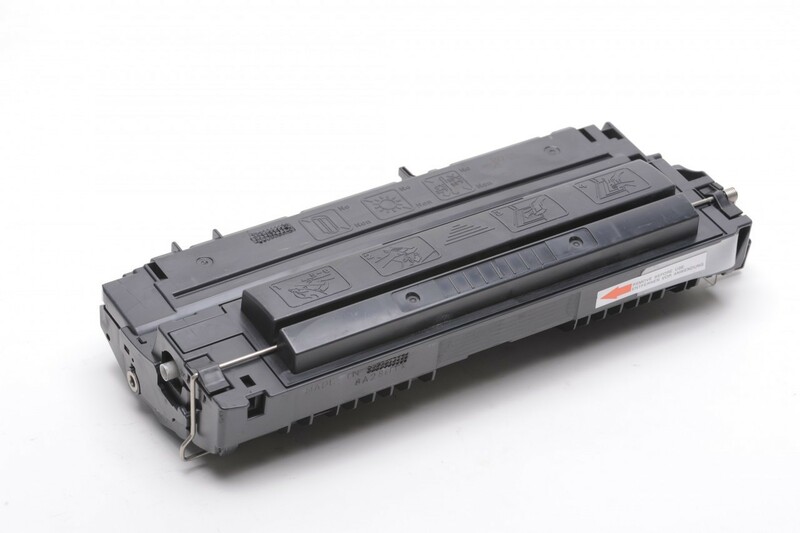 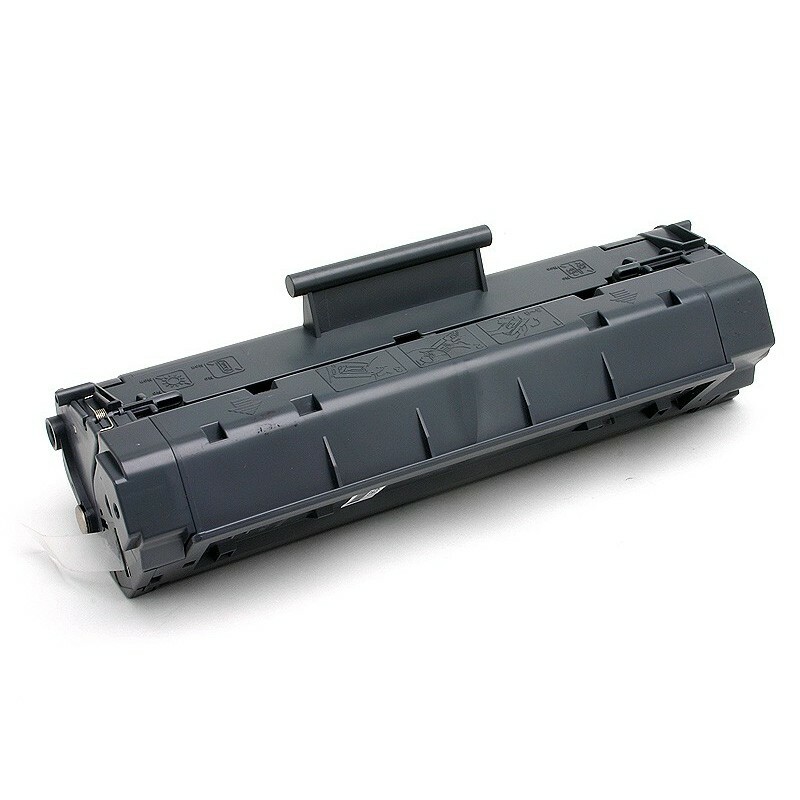 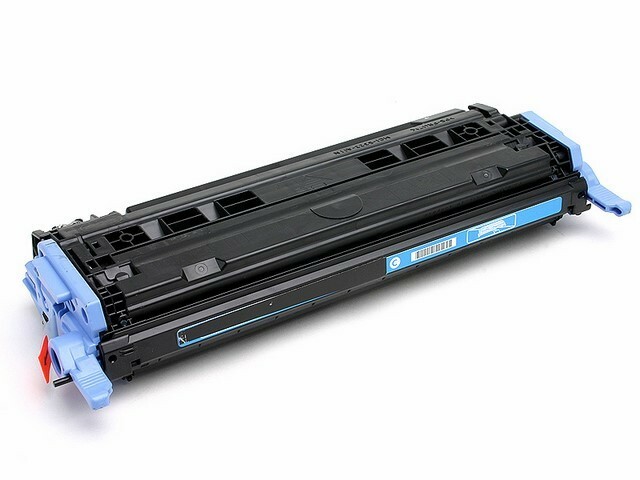 Toner Originale Nero per HP Laserjet Enterprise M602N, M602DN, M602X, M603DN, M603N. 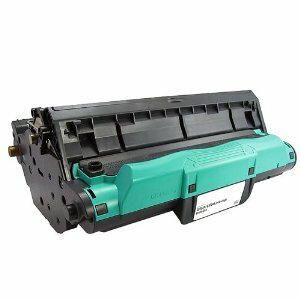 Toner Compatibile Nero per HP Laserjet Pro Color M451DN, M451DW, M451NW, MPF M475DN, MPF M475DW. 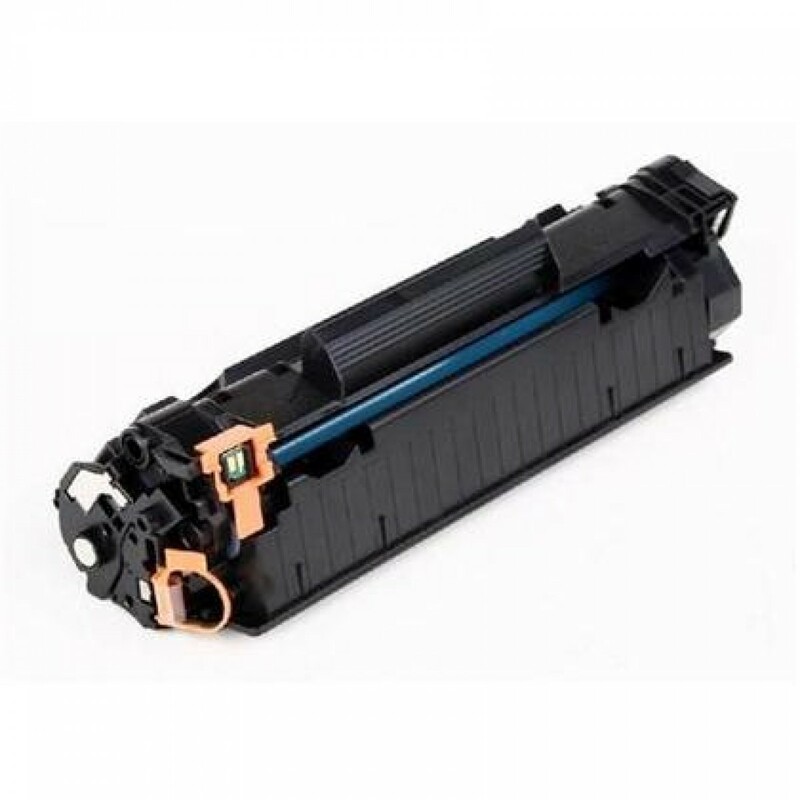 Toner Originale Nero per HP Laserjet Pro Color M451DN, M451DW, M451NW, MPF M475DN, MPF M475DW. 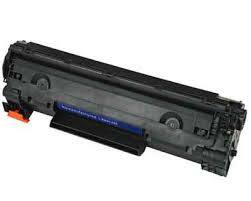 Toner Compatibile Ciano per HP Laserjet Pro Color M451DN, M451DW, M451NW, MPF M475DN, MPF M475DW. 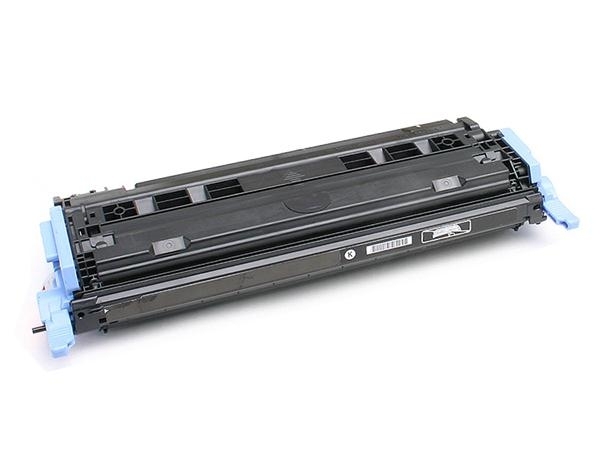 Toner Originale Ciano per HP Laserjet Pro Color M451DN, M451DW, M451NW, MPF M475DN, MPF M475DW. 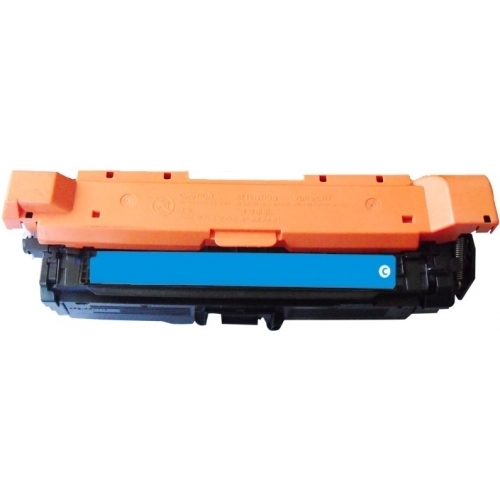 Toner Compatibile Giallo per HP Laserjet Pro Color M451DN, M451DW, M451NW, MPF M475DN, MPF M475DW. 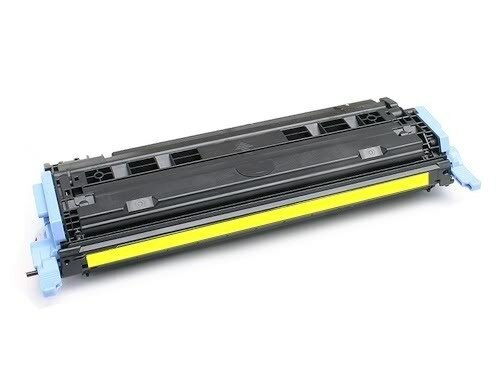 Toner Originale Giallo per HP Laserjet Pro Color M451DN, M451DW, M451NW, MPF M475DN, MPF M475DW. 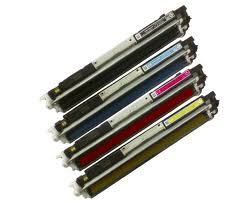 Toner Compatibile Magenta per HP Laserjet Pro Color M451DN, M451DW, M451NW, MPF M475DN, MPF M475DW. 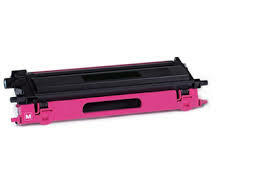 Toner Originale Magenta per HP Laserjet Pro Color M451DN, M451DW, M451NW, MPF M475DN, MPF M475DW. 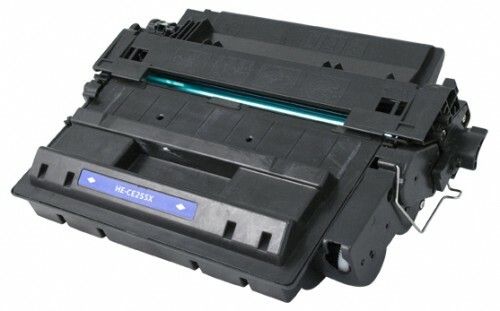 Toner Compatibile Nero per HP Laserjet Pro Color M251N, M251NW, M276NW MFP, M276N MFP. 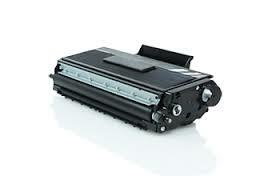 Toner Originale Nero per HP Laserjet Pro Color M251N, M251NW, M276NW MFP, M276N MFP. 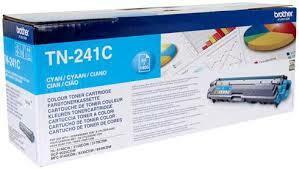 Toner Compatibile Ciano per HP Laserjet Pro Color M251N, M251NW, M276NW MFP, M276N MFP. 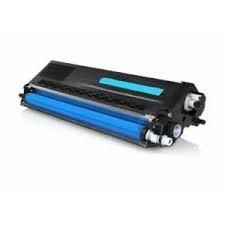 Toner Originale Ciano per HP Laserjet Pro Color M251N, M251NW, M276NW MFP, M276N MFP. 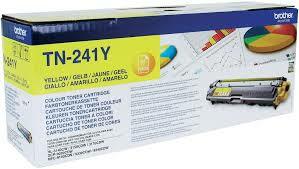 Toner Compatibile Giallo per HP Laserjet Pro Color M251N, M251NW, M276NW MFP, M276N MFP. 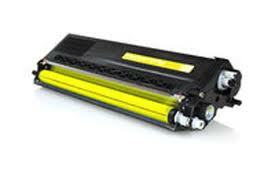 Toner Originale Giallo per HP Laserjet Pro Color M251N, M251NW, M276NW MFP, M276N MFP. 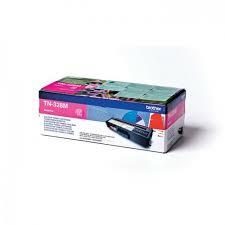 Toner Originale Magenta per HP Laserjet Pro Color M251N, M251NW, M276NW MFP, M276N MFP. 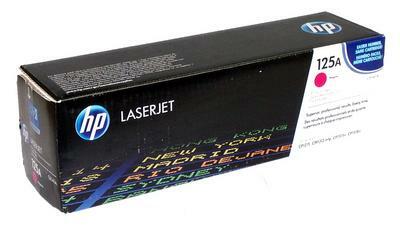 Toner Compatibile Magenta per HP Laserjet Pro Color M251N, M251NW, M276NW MFP, M276N MFP. 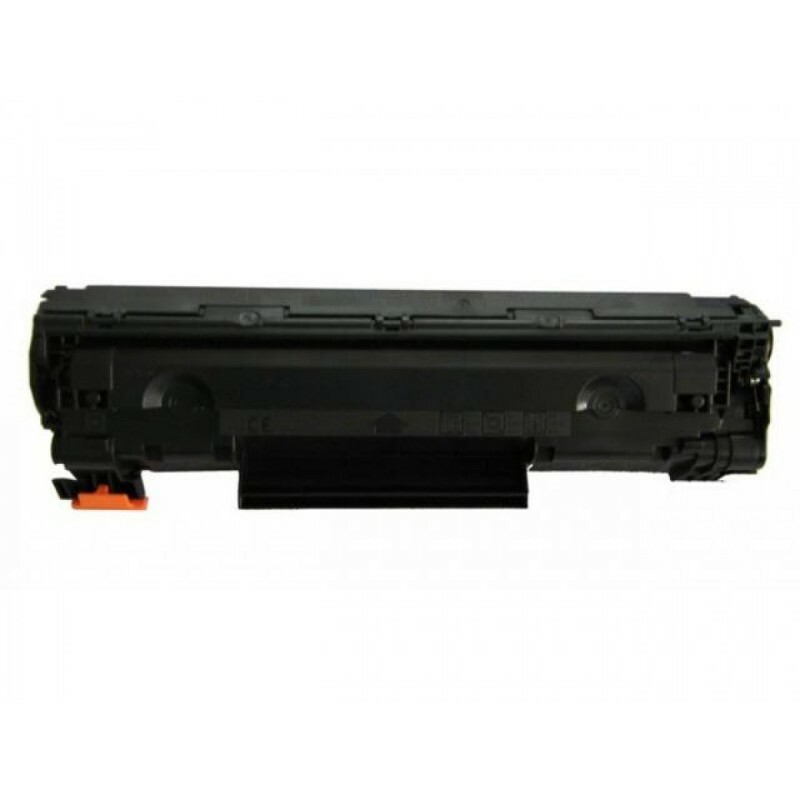 Toner Compatibile Nero per HP Laserjet Enterprise M715, M715DN,M715XN. 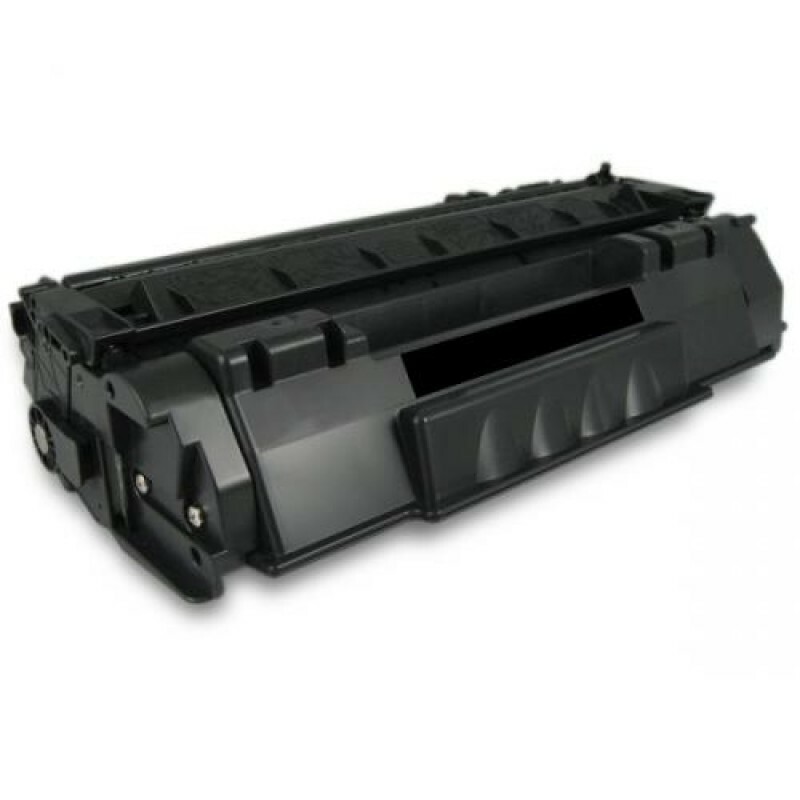 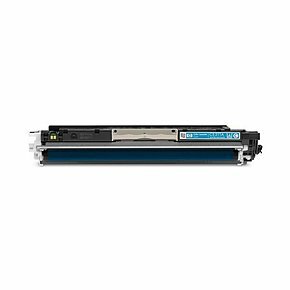 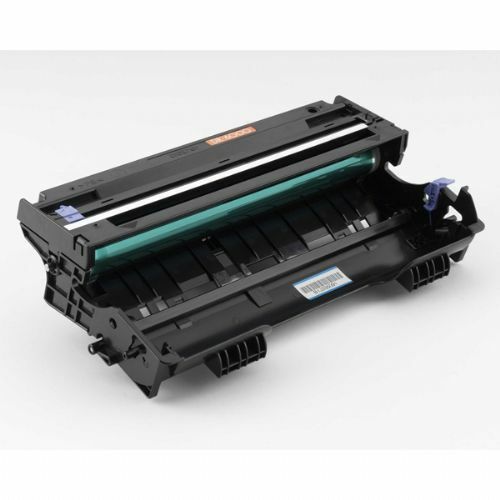 Toner Originale Nero per HP Laserjet Enterprise M715, M715DN,M715XN. 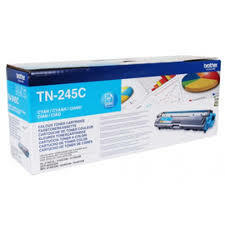 Toner Nero Compatibile per HP Color Laserjet 2550/2820/2840. 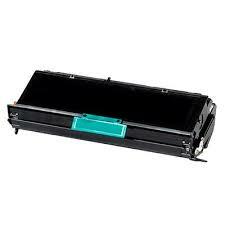 Toner Nero Originale per HP Color Laserjet 2550/2820/2840. 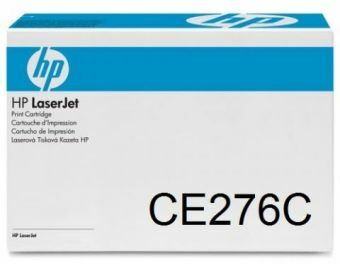 Toner Compatibile Ciano per HP Color Laserjet 2550/2820/2840. 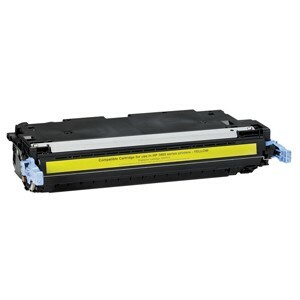 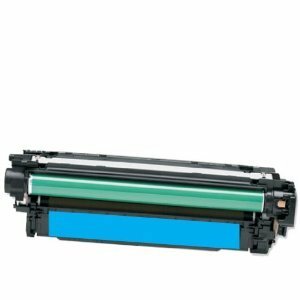 Toner Originale Ciano per HP Color Laserjet 2550/2820/2840. 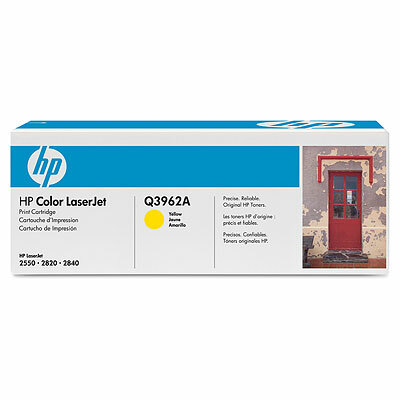 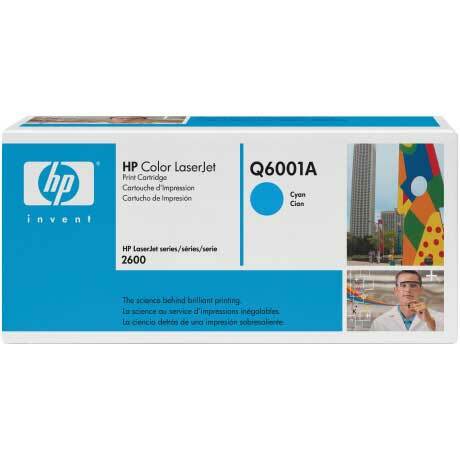 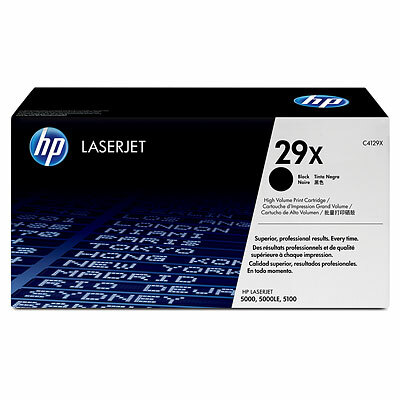 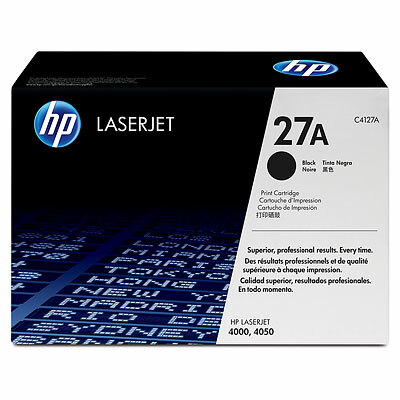 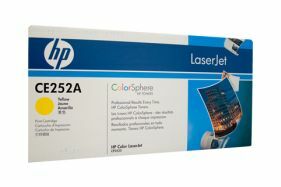 Toner Compatibile Giallo per HP Color Laserjet 2550/2820/2840. 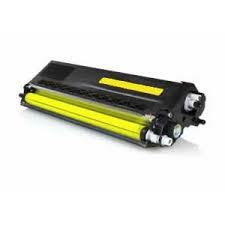 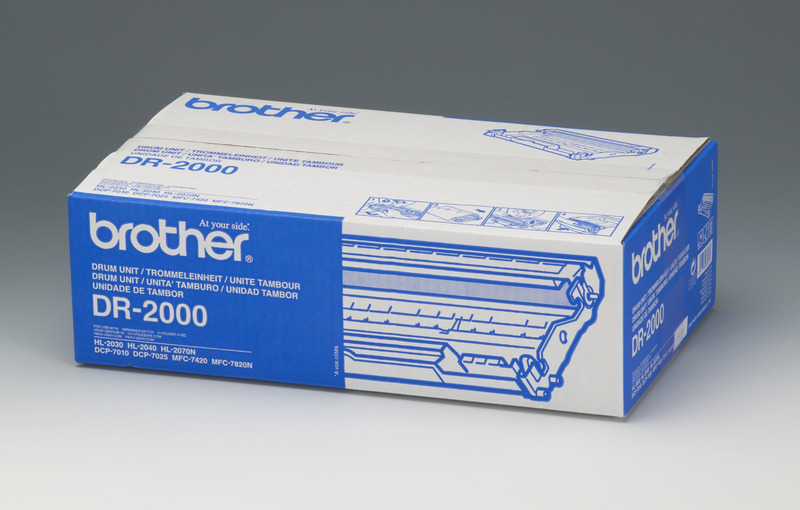 Toner Originale Giallo per HP Color Laserjet 2550/2820/2840. 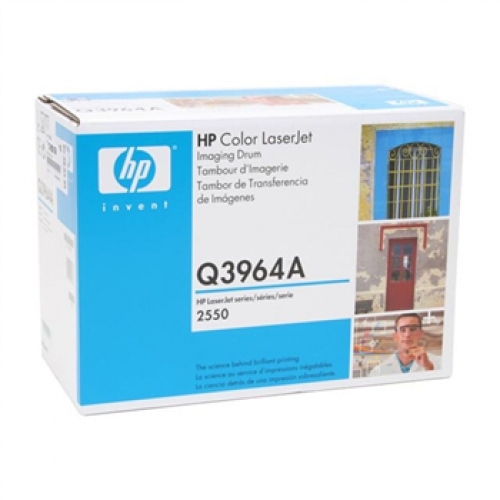 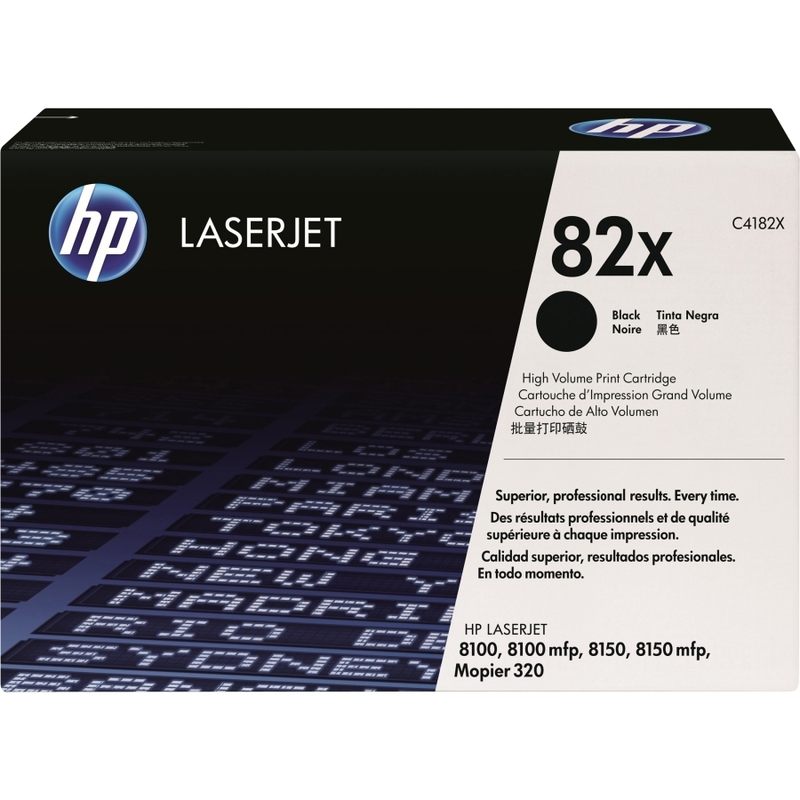 Toner Compatibile Magenta per HP Color Laserjet 2550/2820/2840. 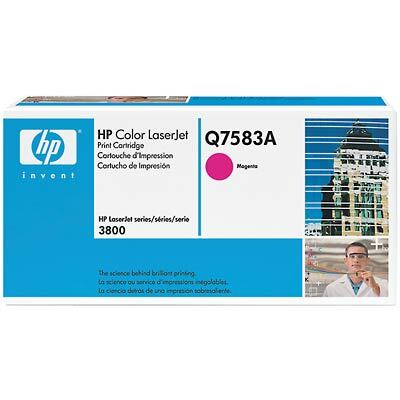 Toner Originale Magenta per HP Color Laserjet 2550/2820/2840. 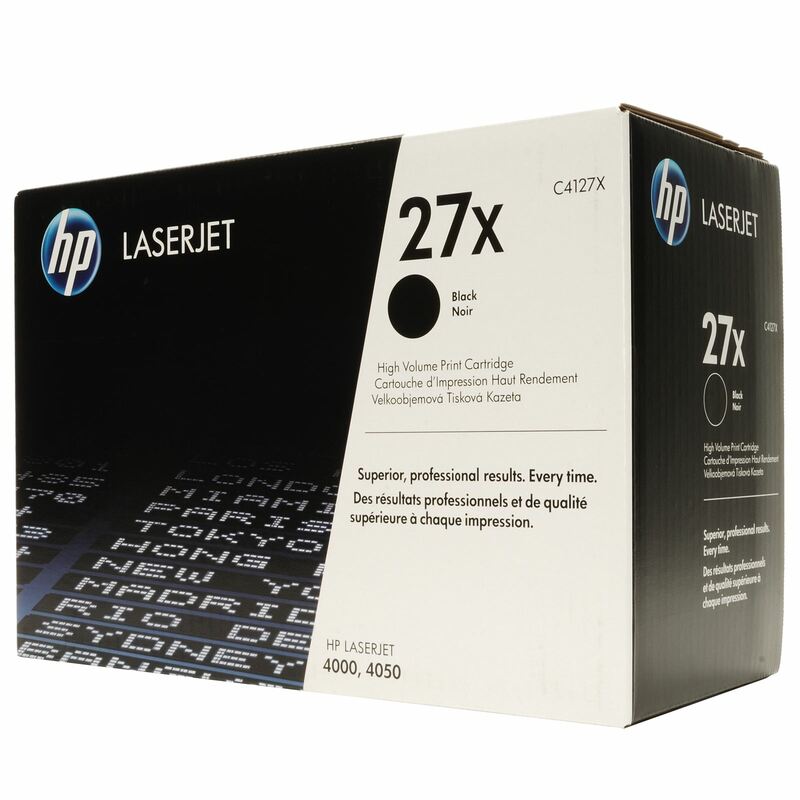 Toner Compatibile Nero per HP Color Laserjet 2550/2820/2840. 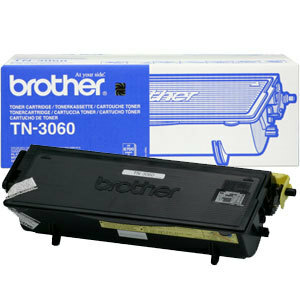 Toner Originale Nero per HP Laserjet Color 3600, 3800, 3600N, 3800N, 3600DN. 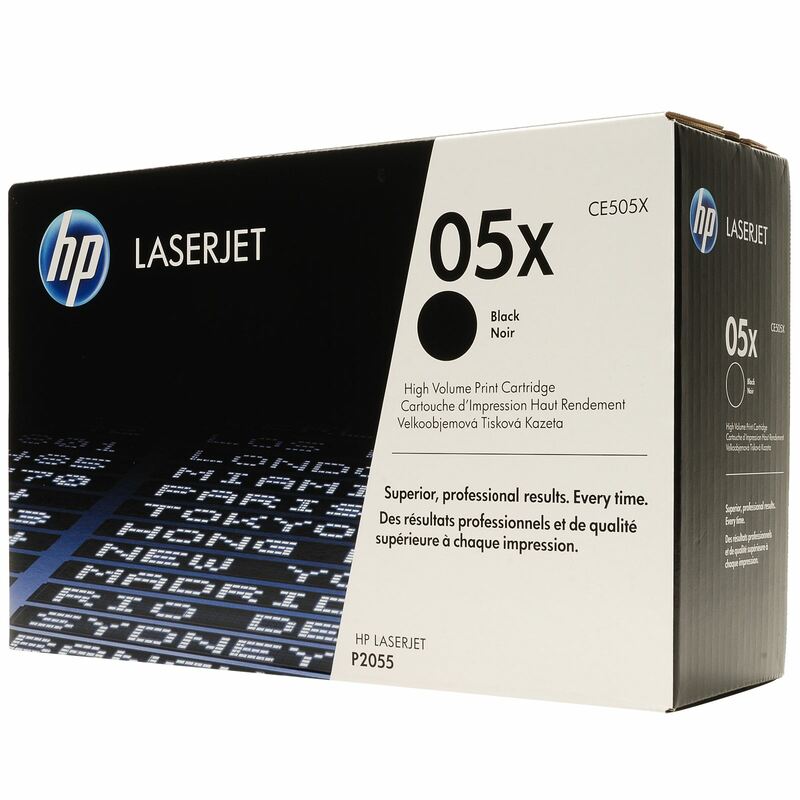 Toner Compatibile Nero per HP Laserjet Color 3600, 3800, 3600N, 3800N, 3600DN. 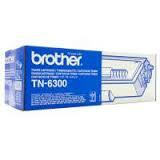 Toner Compatibile Ciano per HP Laserjet Color 3600, 3800, 3600N, 3800N, 3600DN. 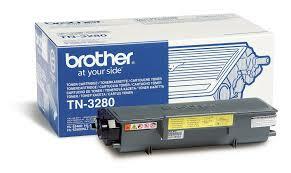 Toner Originale Ciano per HP Laserjet Color 3600, 3800, 3600N, 3800N, 3600DN. 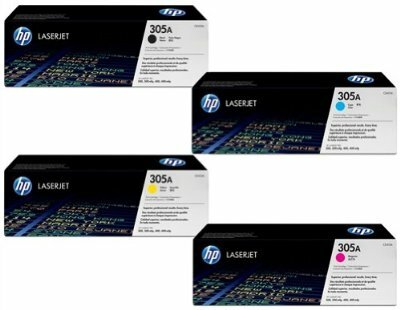 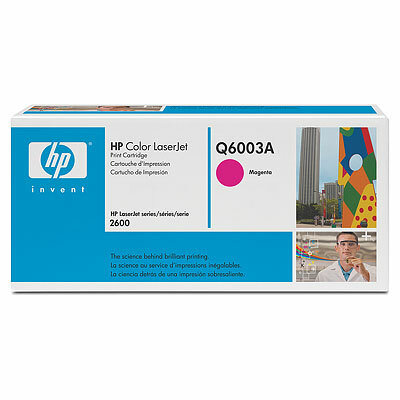 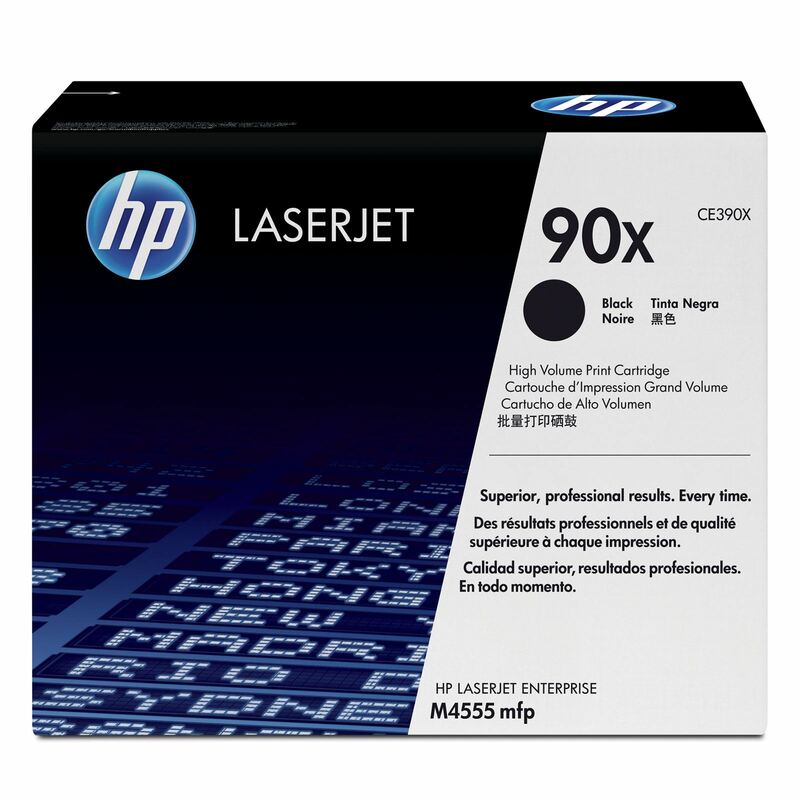 Toner Compatibile Giallo per HP Laserjet Color 3600, 3800, 3600N, 3800N, 3600DN. 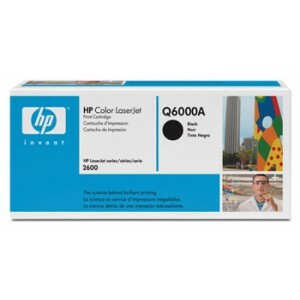 Toner Originale Giallo per HP Laserjet Color 3600, 3800, 3600N, 3800N, 3600DN. 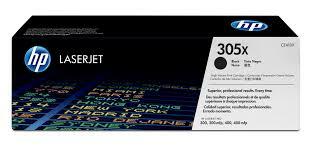 Toner Compatibile Magenta per HP Laserjet Color 3600, 3800, 3600N, 3800N, 3600DN. 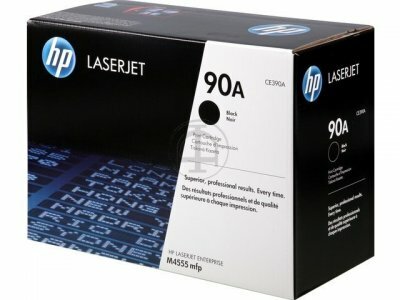 Toner Originale Magenta per HP Laserjet Color 3600, 3800, 3600N, 3800N, 3600DN.